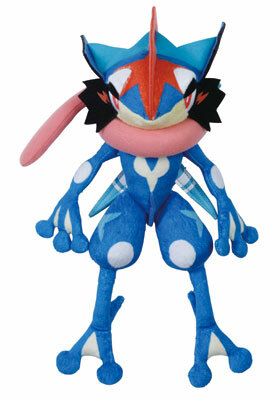 The new Magnetic Ash Greninja plush is currently available for purchase and can cling to itself on various objects as well as metal surfaces! What a cool idea! 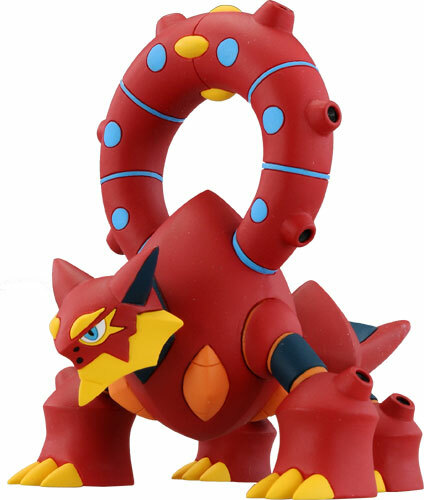 Also on the way this month are new Shiny Mega Evolution figures and a new Volcanion! 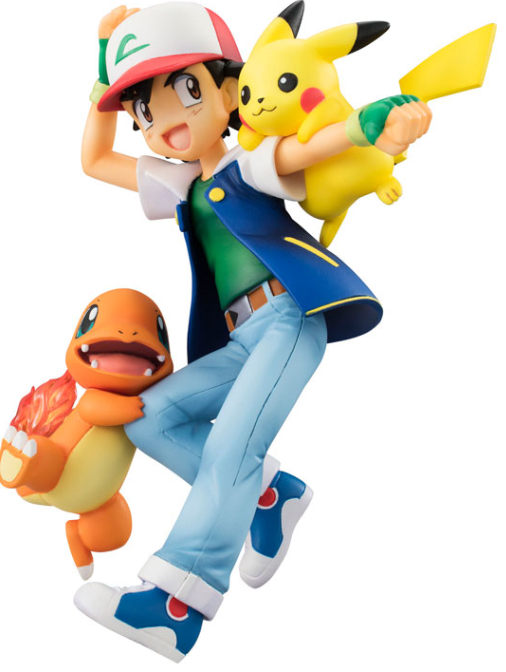 Expand your collection at Amiami.com! 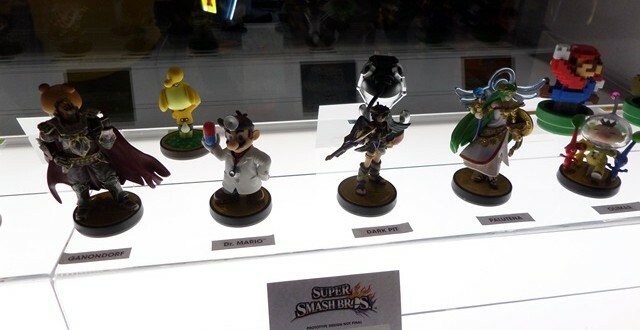 Amiibo will have an awesome new way to display your figures with stands of both a Smash Bros. and Kirby variety! 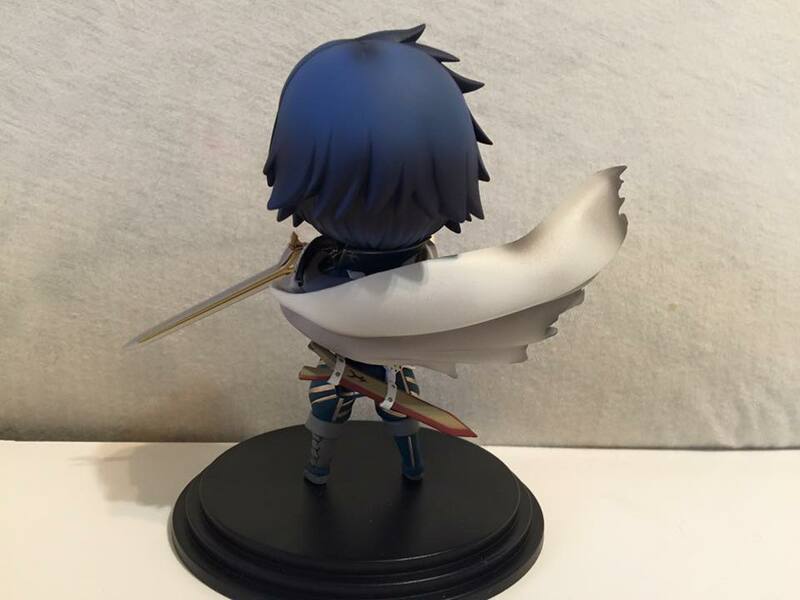 Grab yours from Amiami.com! In celebration of the Legend of Zelda 30th Anniversary, were getting an awesome 6 new rubber straps to show of that old school Zelda love! 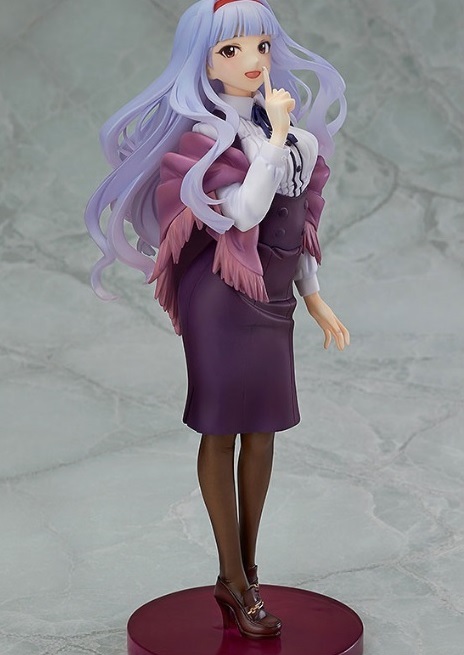 You can preorder the whole set or any of them individually now at Amiami.com! 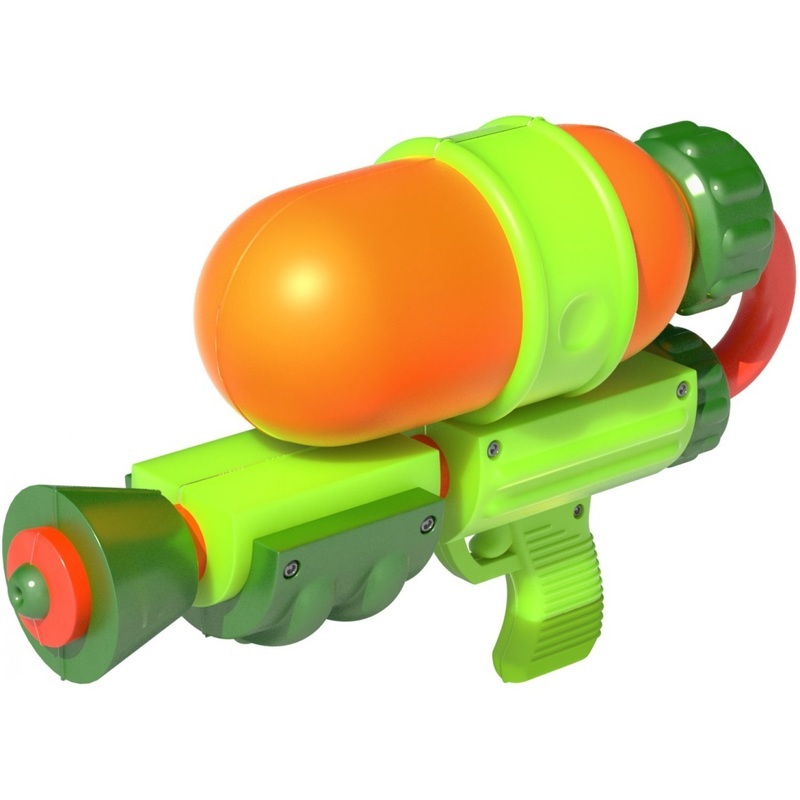 Nintendo is bringing a real life Splatoon water gun just in time for summer and releasing July 18th 2016! 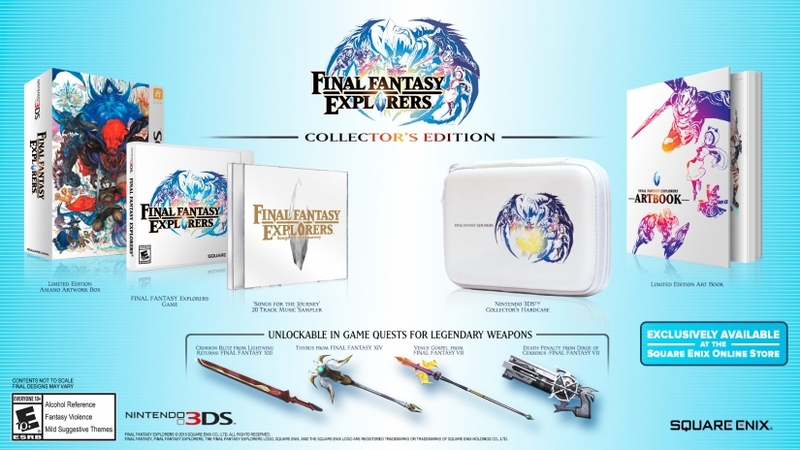 You can preorder yours now at Play-asia.com! 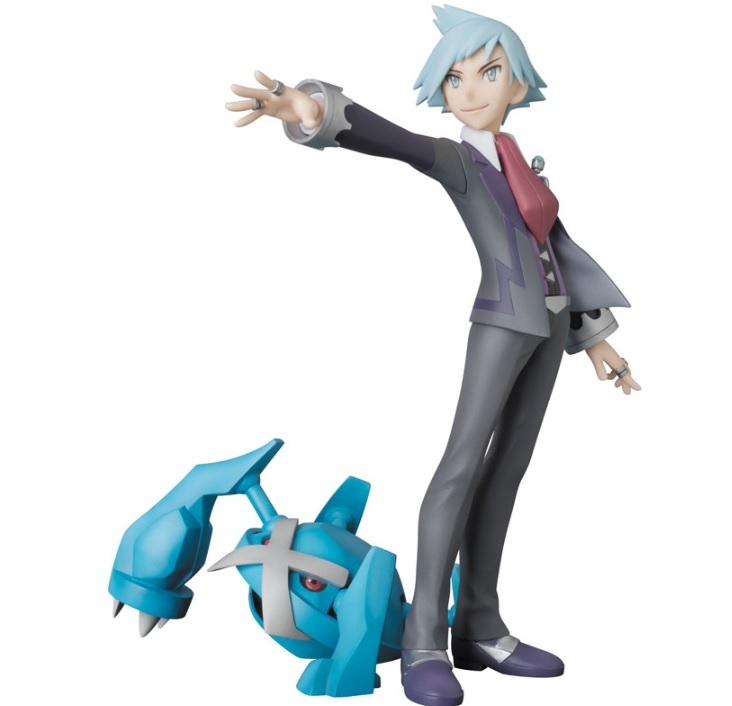 Perfect Posing Products "PPP" is bringing 2 Pokémon Region Champions to your collection with Steven Stone releasing in July and Cynthia in August! 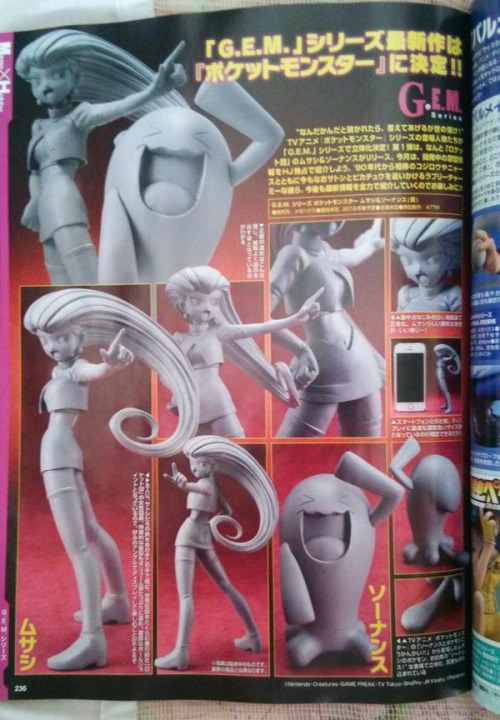 Each Figure comes with their signature Pokémon as a bust to display along side them. 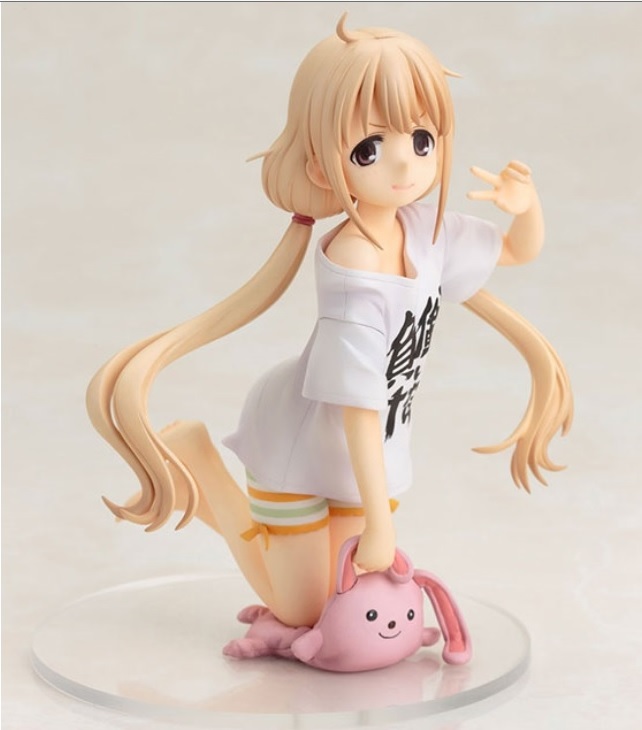 You can preorder yours now at Amiami.com! 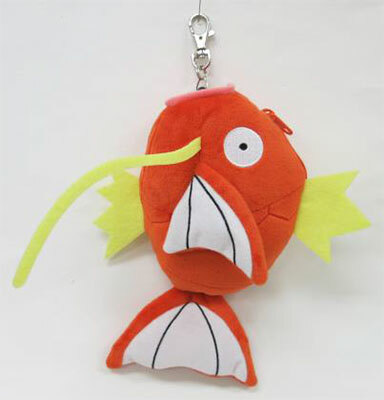 The company Sekiguchi is bringing many new fluffy Pokémon plush as well as a Magikarp pass case for holding card size objects. 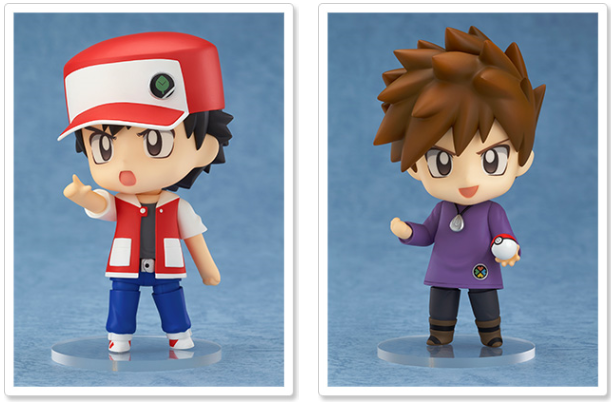 You can pick up these adorable Pokegoodies right now for preorder at Amiami.com! 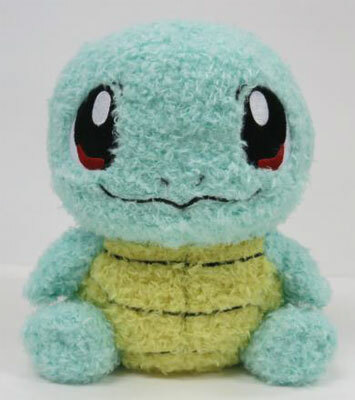 This Saturday marks the 20th anniversary of Pokemon Red and Green being released in Japan so to commemorate here in the United States, Nintendo will be doing giveaways at Toys R US! 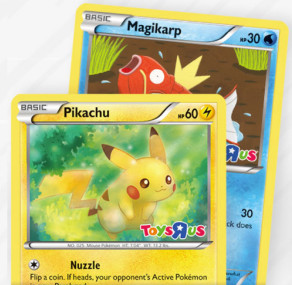 For starters, you will be able to receive the above Pikachu and Magikarp holo promo cards as well as a Pokemon activity book! 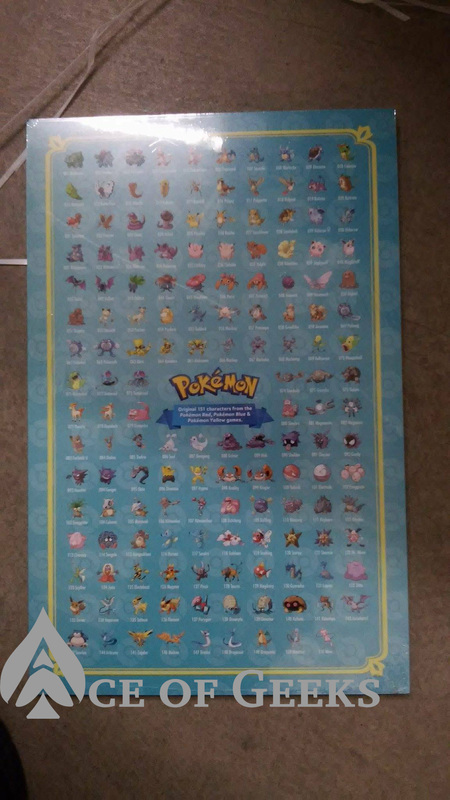 Toys R Us will aslo be giving away these promo posters with all 151 Kanto Pokemon on one side and a brief history of the main series of games on the other! 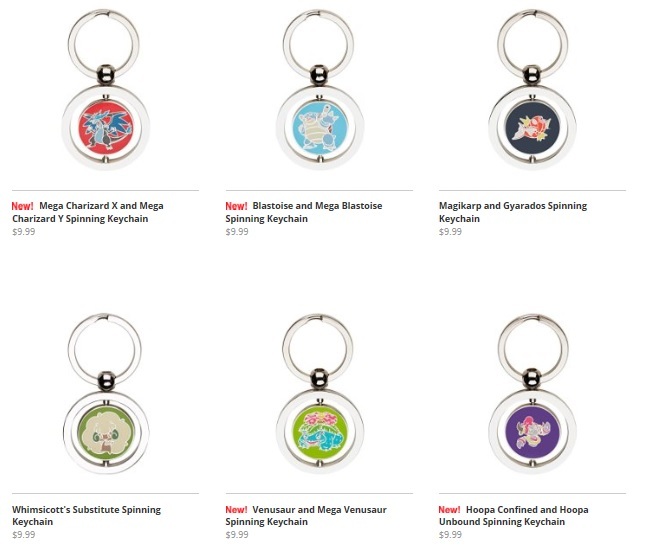 PokemonCenter.com has also released these metal spinning double sided keychains on their website! Lots of new goodies everywhere! 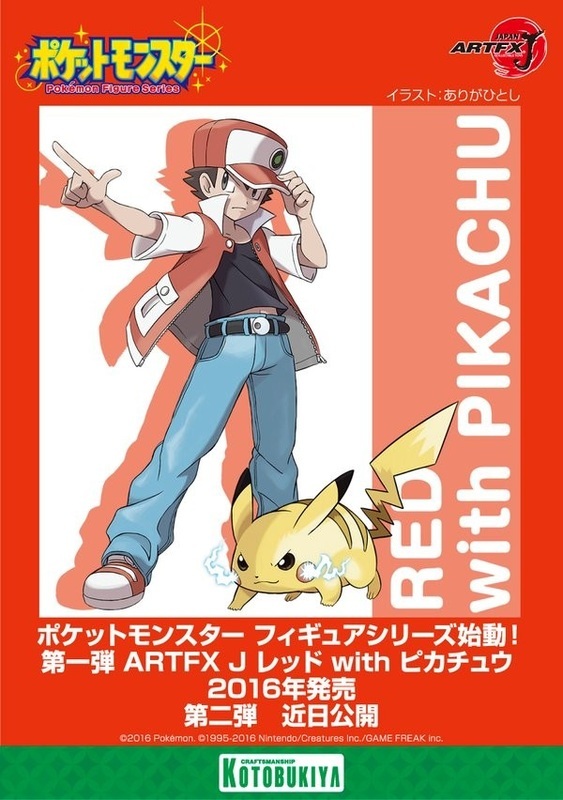 Kotobikuya is releasing a PVC Red ith Pikachu figure to celebrat the Pokémon 20th anniversary! Release date and availability currently unknown but we will update ASAP! 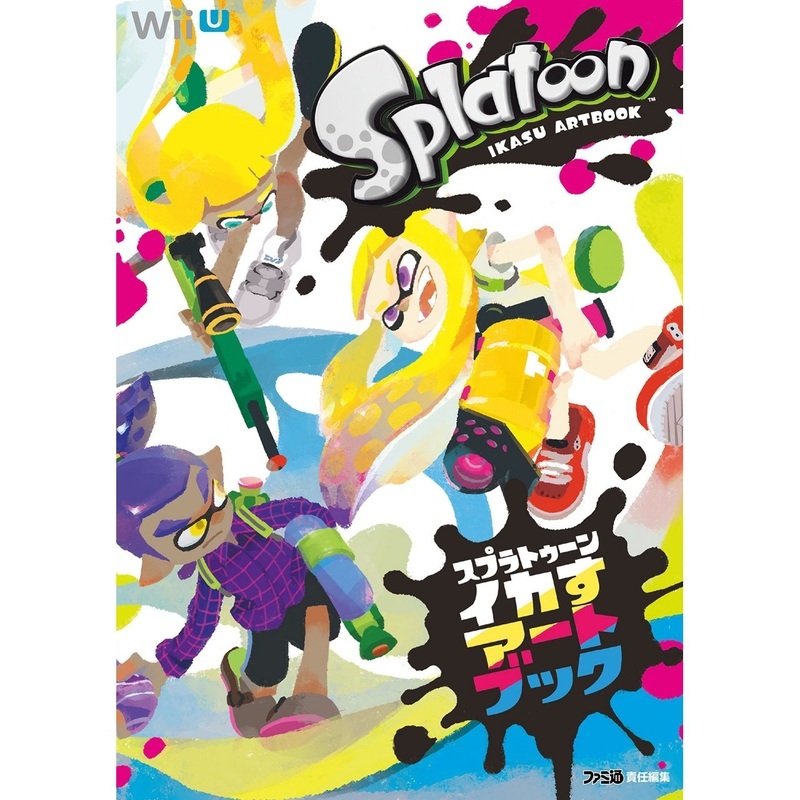 Nintendo Teaming Splatoon and Pokémon for Special Edition Japan Splat fest Tees! 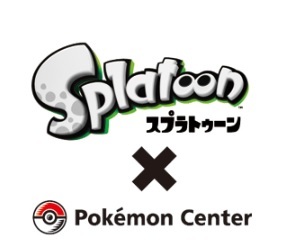 Splatoon and Pokémon are doing a special collaboration for this months world wide Splatfest that pits Team Red vers. vs Blue vers. 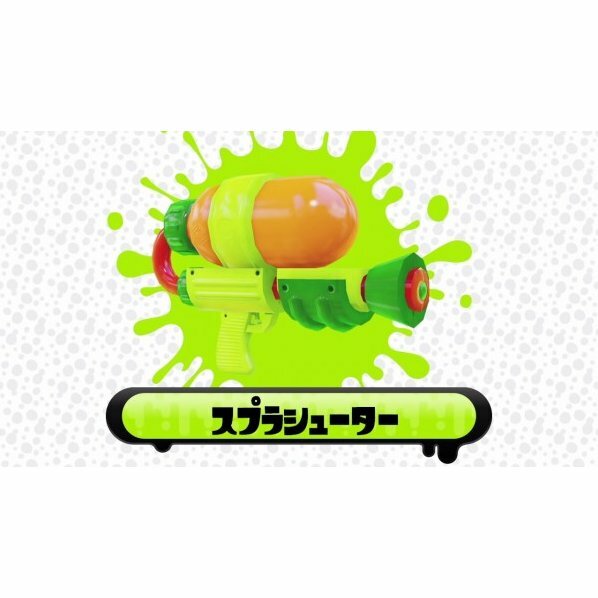 or in Japan's case, Team Blue vers. vs Green vers. ! 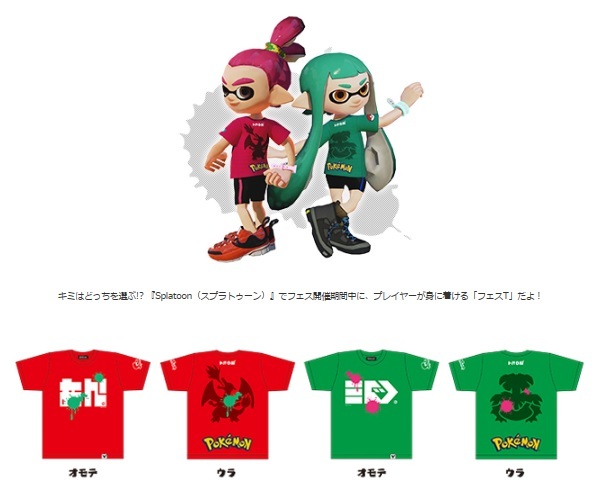 The Pokémon Center in Japan will be selling various sizes of these 2 tees ranging from 3200 to 3800 Yen! Grab yours in this historic event! 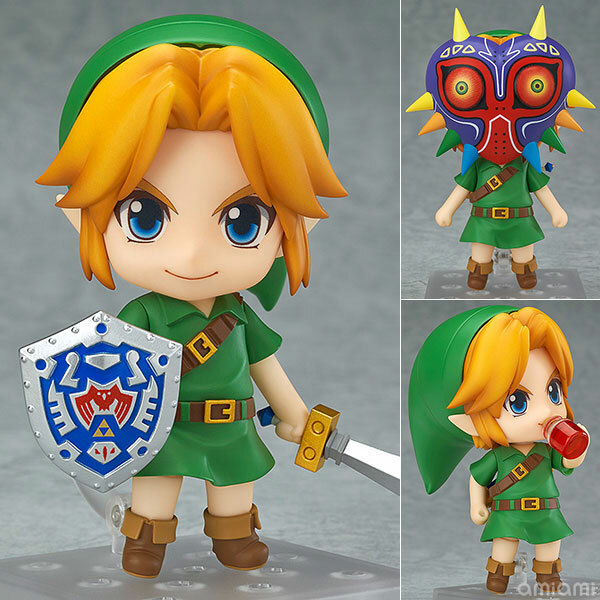 Soon you'll be able to display Toon Zelda alongside Nendoroid Wind Waker Link and you will also be able to have a gorgeous posable Zero Suit Samus to go along with her Metroid Other M Varia suit! 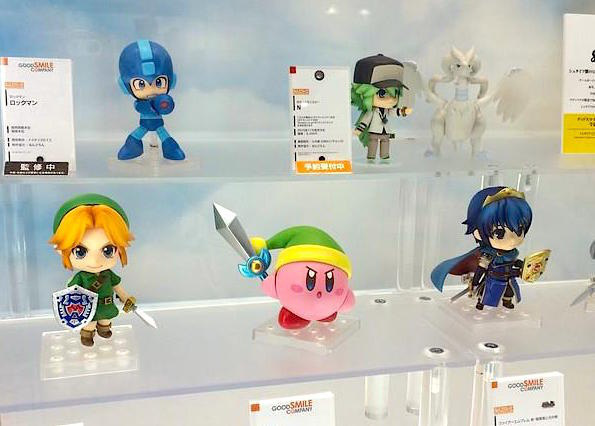 Many new Nendoroids are on the way to celebrate Fire Emblem fates and the successful new Kirby Nendoroid! 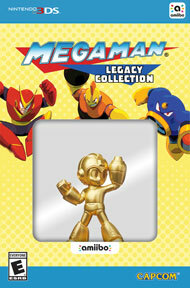 Even Megaman X will soon join Megaman and we cannot wait to tell you when these release and go on preorder! Check back soon! 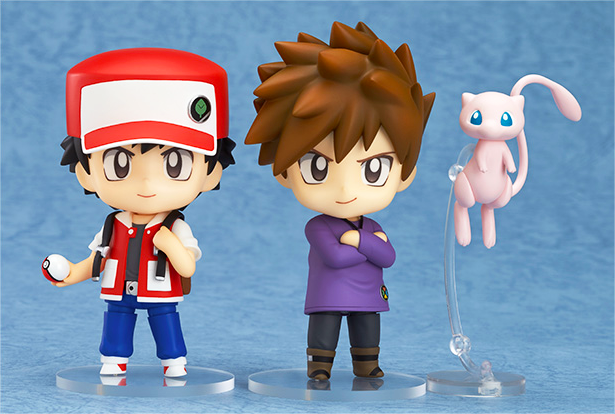 You can pre-order this set at Pokemon Centers in Japan or the Pokemon Amazon Store for 7,500 yen. 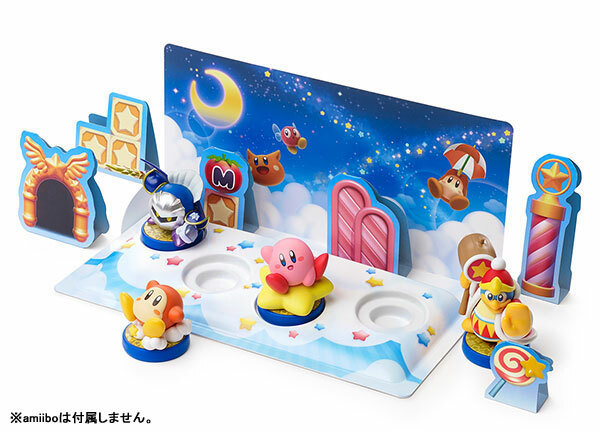 Preorders for this set start on February 27th and ends March 31st with a release date of July 9th! 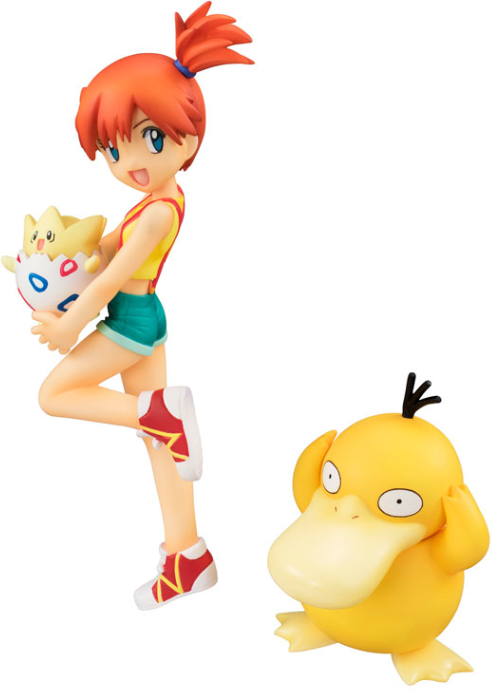 Ash and Misty will be released separately this May with Ash coming with Pikach and Charmander and Misty coming with Togepi and Psyduck! 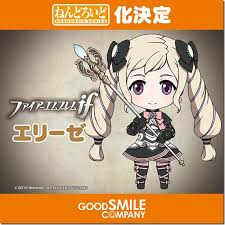 Grab yours from Amiami.com! 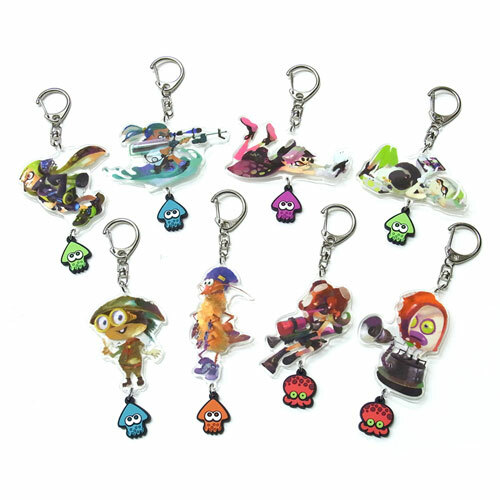 New NPCs and Octolings enter the mix of this awesome new set of keychains set to release in May! 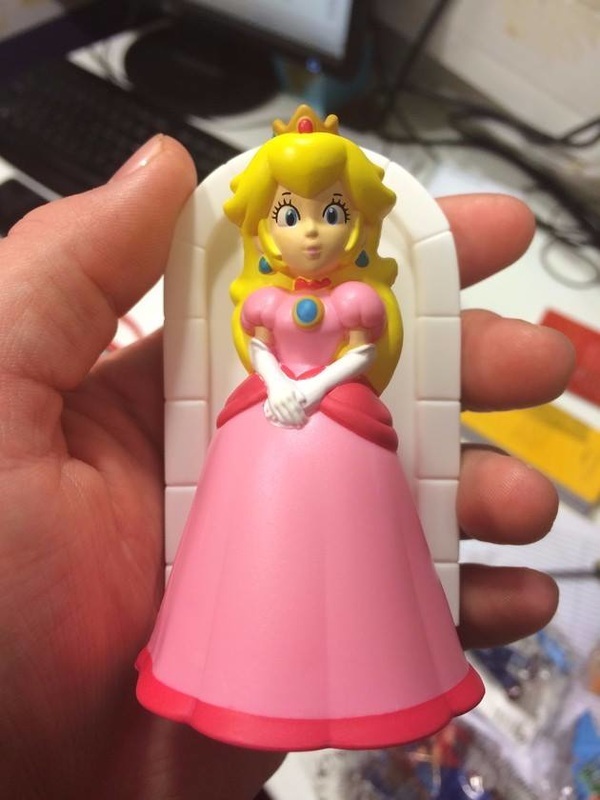 Grab yours at Amiami.com! 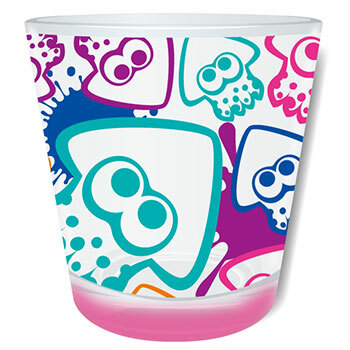 2 new glasses are on the way to bring the squid love to your kitchen with each costing only 730 yen! 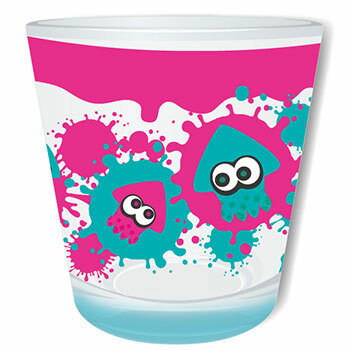 You can also decorate everything fresh that you own with these new Splatoon stickers! 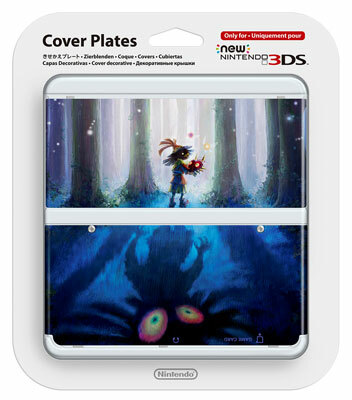 Each sheet is 350 yen and launches in March! 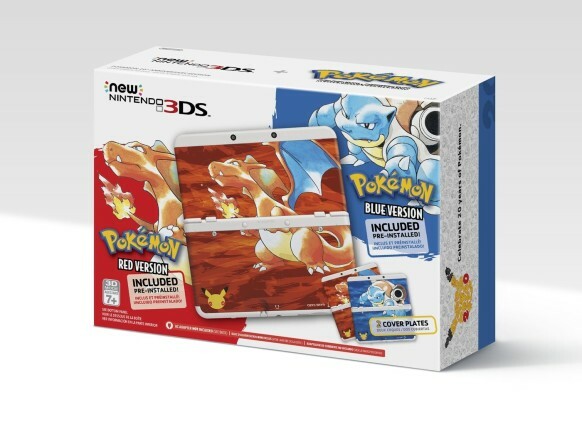 Coming February 27th, the Pokémon Company and Gamefreak are bringing a special edition 3ds bundle stateside with preinstalled Pokémon Red and Blue Versions and a Charizard and Blastoise Faceplate! On the same day Pokémon Red, Blue, and Yellow will also be released for purchase on the Nintendo eShop! Get Hype! 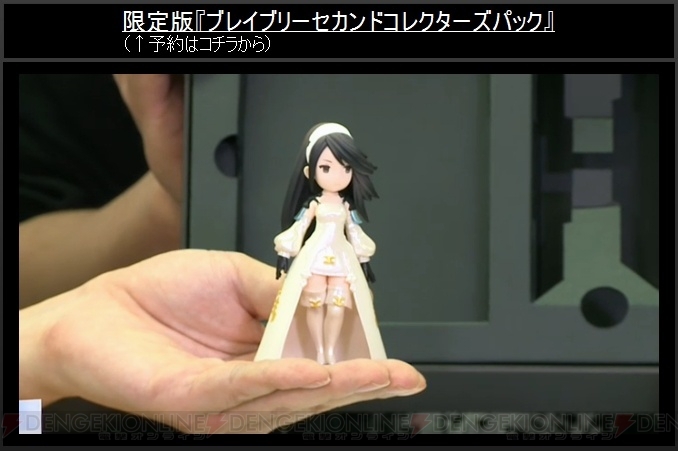 Goodsmile is offering this figure in both a regular and deluxe version which comes with a baby Maiamai Figure! 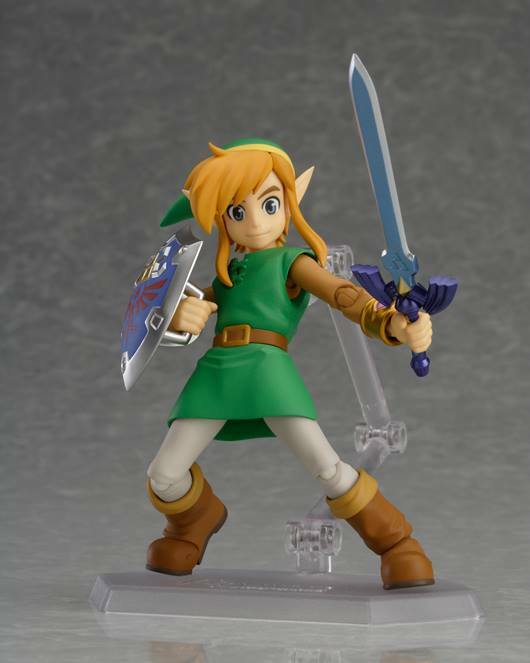 For all you Link to the Past and Link Between Worlds fans, this figure is a must! 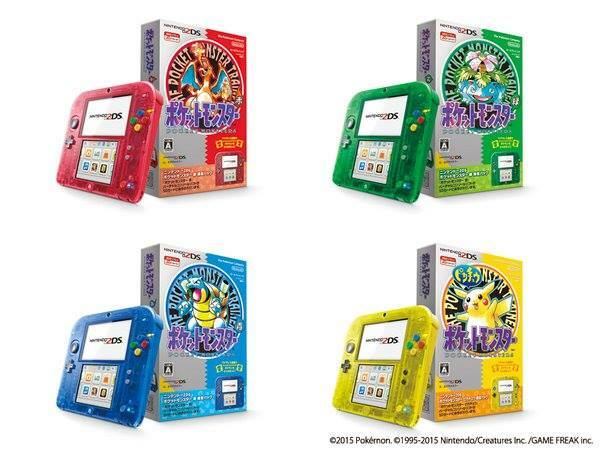 All 4 of these 2DS Pokémon bundles will be releasing in Japan with each coming with a code to get Mew in Pokémon X, Y, Omega Ruby & Alpha Sapphire as well as a special 3ds theme! We will announce a release date as it become available! 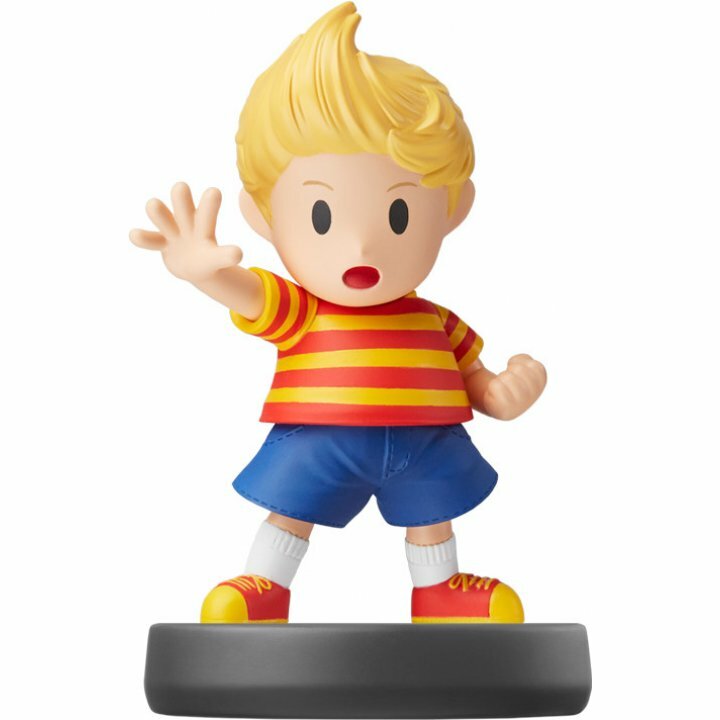 Lucas isn't quite due out in Japan yet but that doesn't stop some retailers in Japan from accidently breaking his street date! 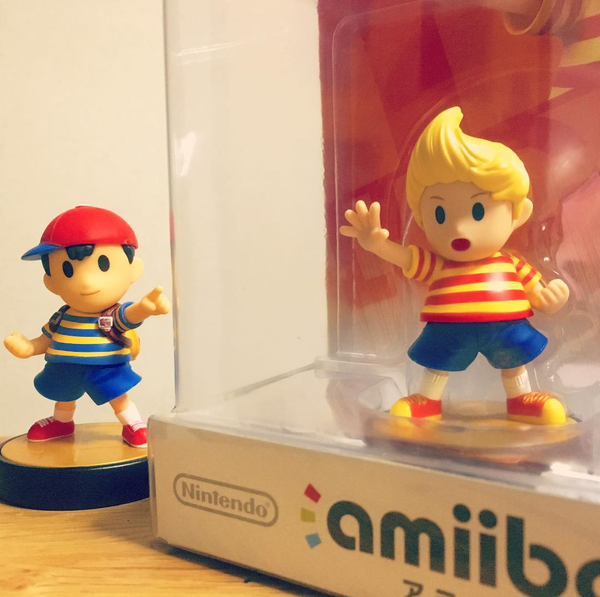 These 2 look absolutely gorgeous side by side and its such a joy to see Lucas come to life in figure form! We can't wait to see all the customs that he receives! 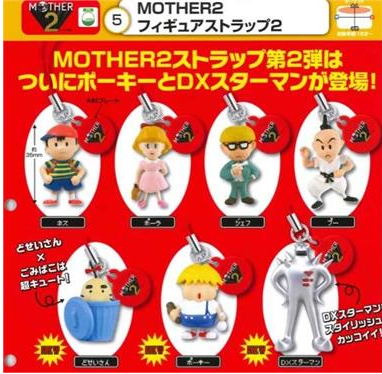 Takara Tomy is releasing a new Mother 2/Earthbound figure strap set and this time it was a trash can Mr.Saturn and Porky! 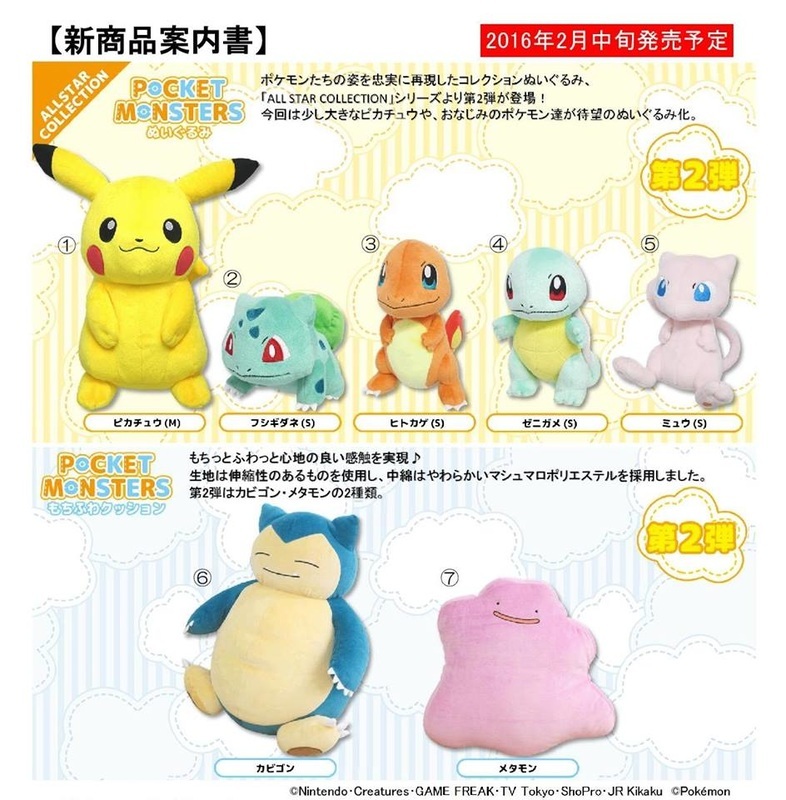 San-ei has added all the above Pokémon plush to their Pokémon All-Star Plush collection! 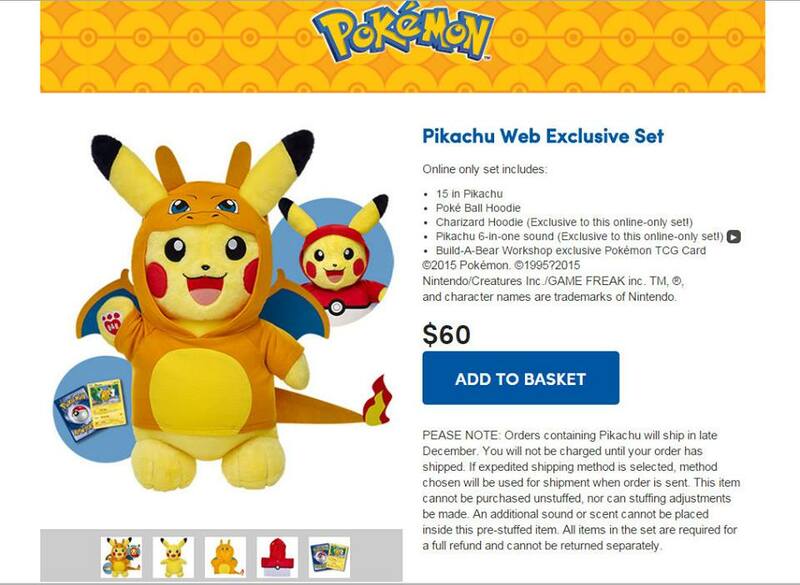 This set will be releasing April 2016. Which ones will you get? 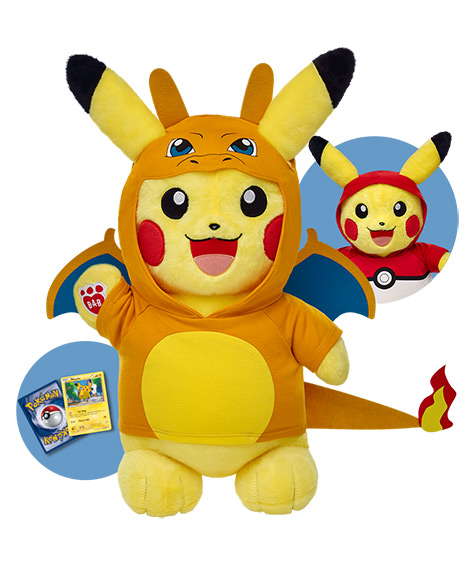 There is now an online special available at the end of this month for a Build-A-Bear Pikachu plush with a Charizard and Pokeball hoodie for $60. 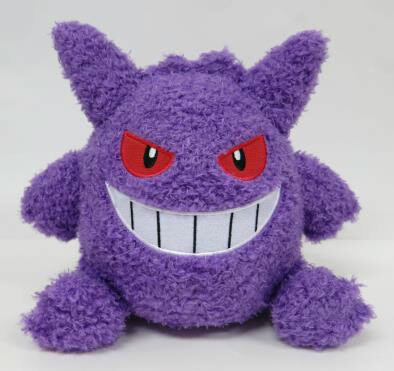 The plush also comes with a voice box and exclusive TCG card! There will also be an option to stuff your own yourself in store! Hope you guys pick one up! With so many deals both in store and online, it can be hard to keep track of all the deals that each store in having. 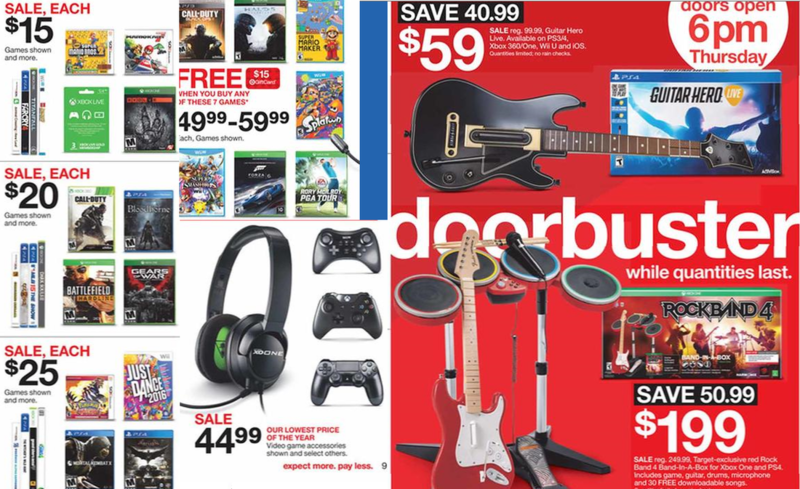 Luckily, we've complied a quick access sheet of all the hottest gaming deals per store to make your shopping for your gaming needs as easy as possible! Target will be opening at 6pm Thursday to beat the Black Friday rush. Many games $5 to $20 off! Best Buy is offering many games over $20 off as well as Xbox one bundles with Tomb Raider! 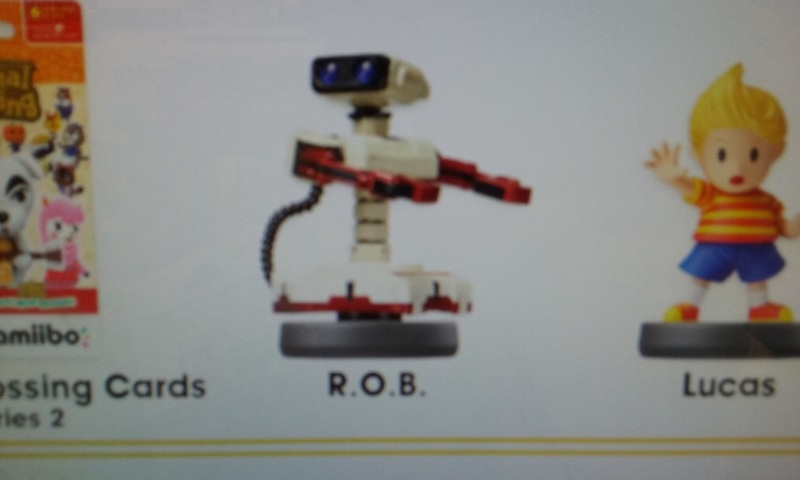 It has recently been leaked by an Amiibo kiosk at Target that more Super smash Bros. Amiibo are coming soon stateside including Lucas, Roy, Ryu and Famicom R.O.B! 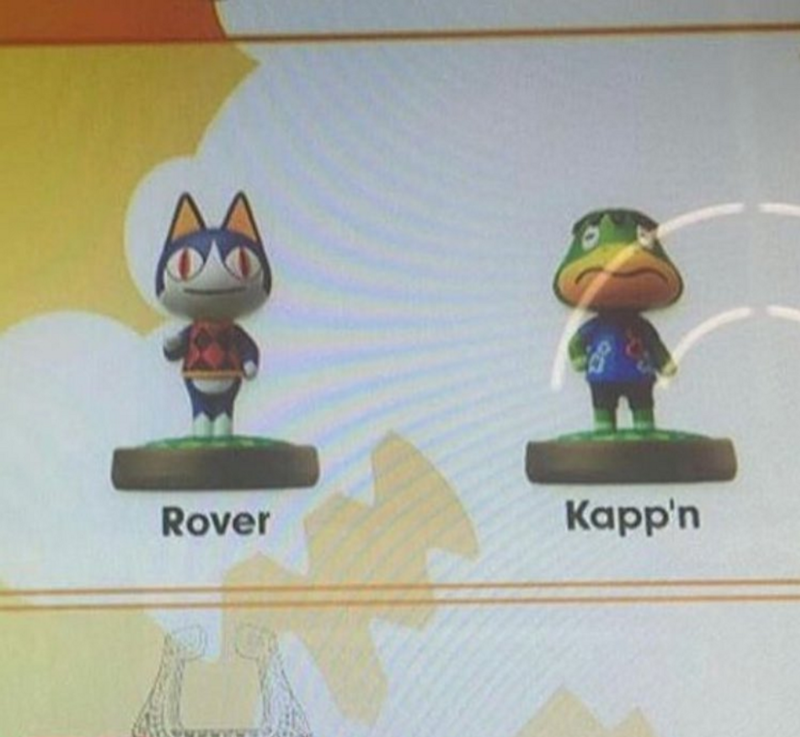 A Target ad has also leaked 2 more Animal Crossing Amiibo including Rover and Kapp'n! 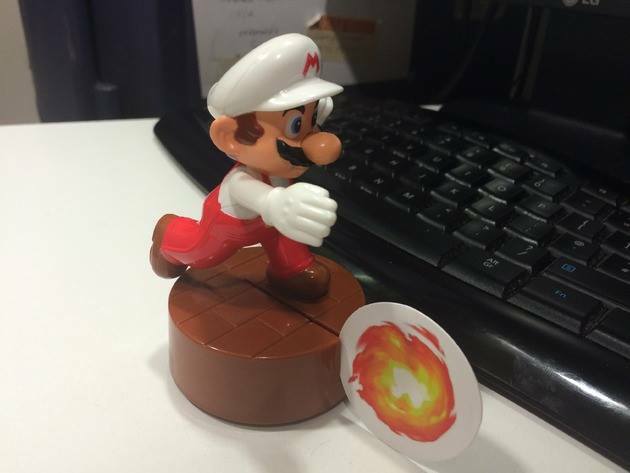 We will bring you preorder news as it becomes available! 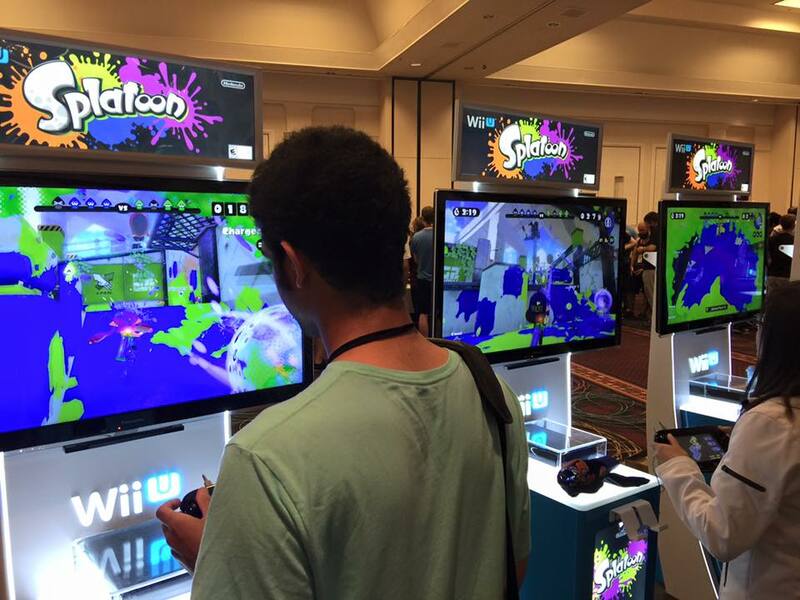 Fresh off the Nintendo Direct announcements for USA and Europe, we're happy to bring you the following! 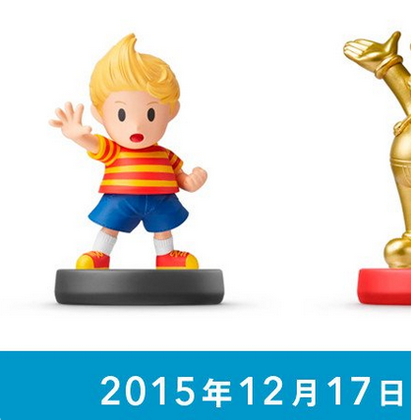 First off, we have the new Lucas Amiibo launching in Japan December 17th 2015! 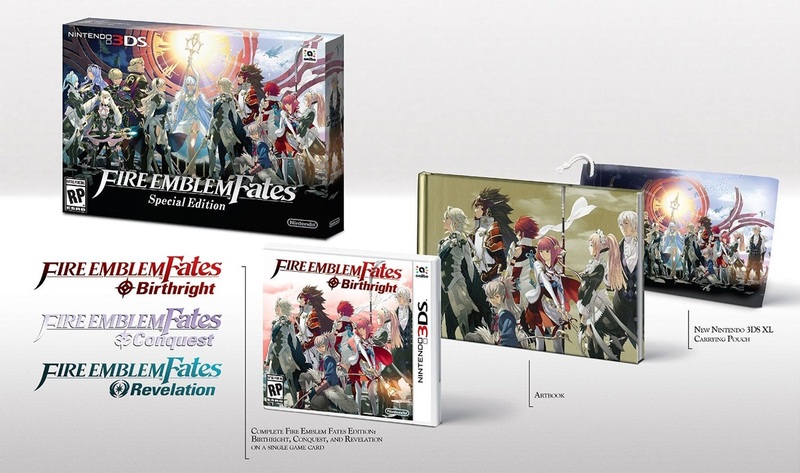 We will bring you preorder news as it becomes available in USA! 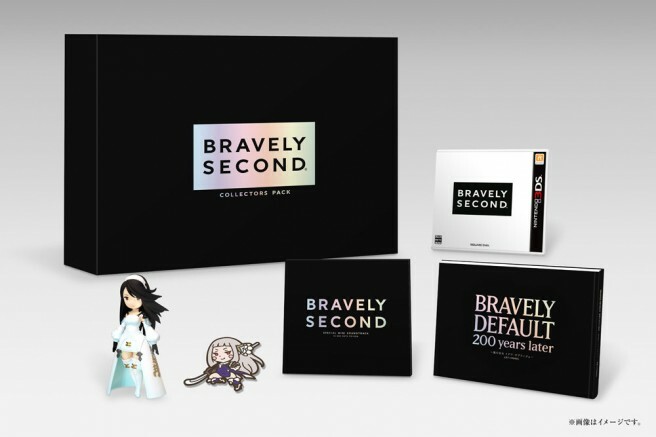 Bravely Second for the 3DS will be receiving a Collectors Edition that comes with an Agnes Oblige figure, Music Sampler, keychain and more! We will update as preorders go live! 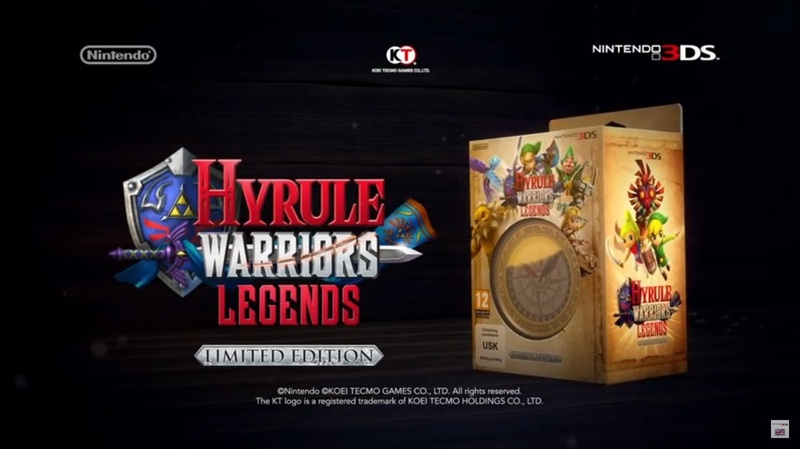 Hyrule Warriors Legends will be receiving a Collectors edition Box set that some with Linkle's pocket necklace watch. No announcement for USA but stay tuned! 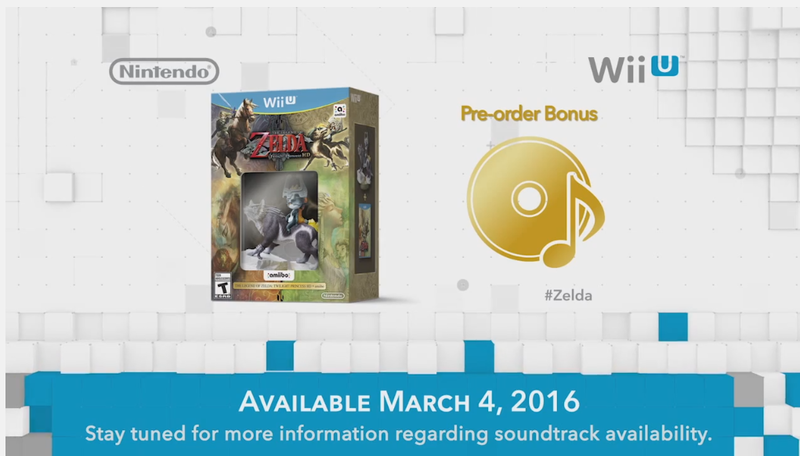 The Legend of Zelda Twilight Princess HD will come packaged with a Wolf Link amiibo and Soundtrack that you cn preorder now here! 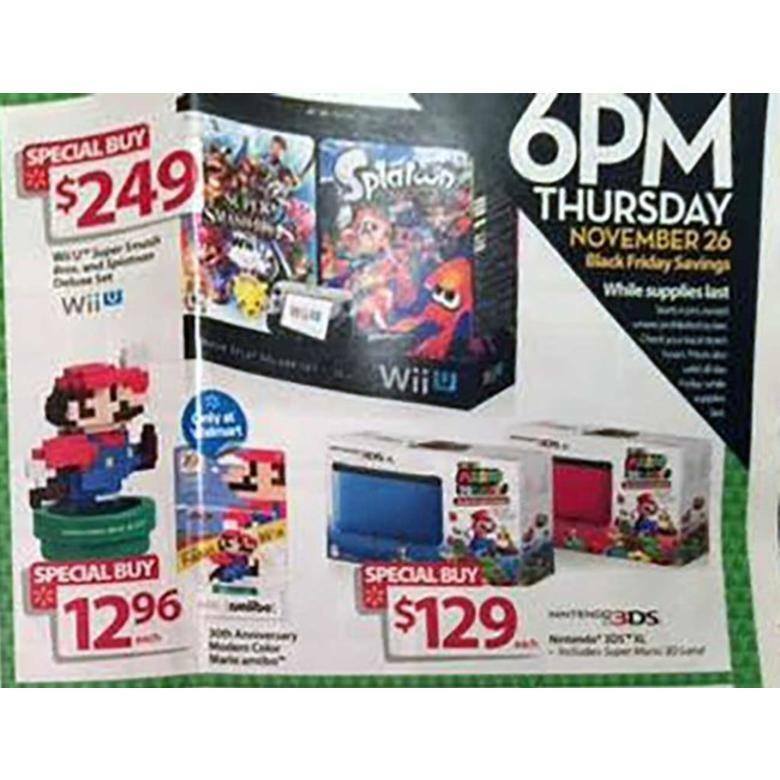 Walmart's Black Friday ad has confirmed that they will have stock of the Modern Mario Amiibo that was only available prior in the US by a Wii U Super Mario Maker bundle. It will be available for $12.96. Good Luck getting yours! The Company called Sun Art will be releasing Diecut Pass Cases and Coin cases to carry your coins and cards this December! 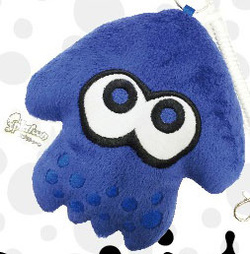 Each one costs about 780 Yen and is available in 4 colors now for preorder on Amiami.com! 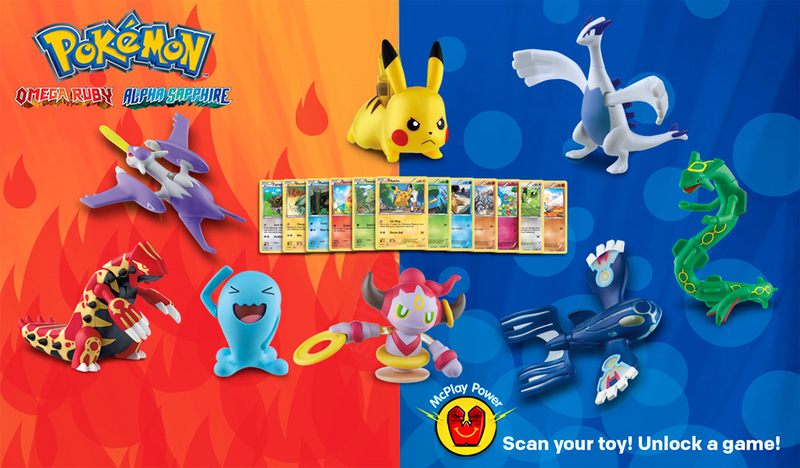 The Pokémon Company is teaming up with Mcdonalds to bring new happy meal toys and Pokémon cards to each happy meal starting November 27th 2015 and running until December 23rd 2015. 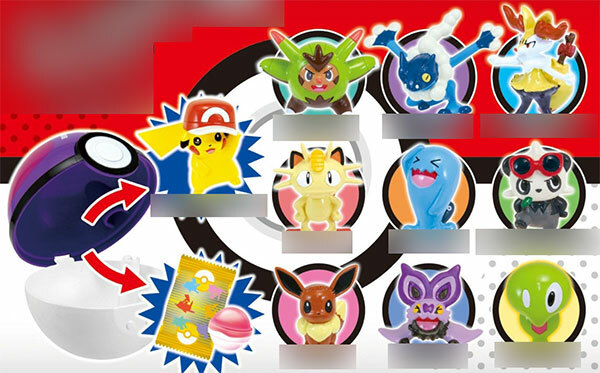 Each toy will come with a Trading card and all of the above toys will be available! Gotta Catch em All! 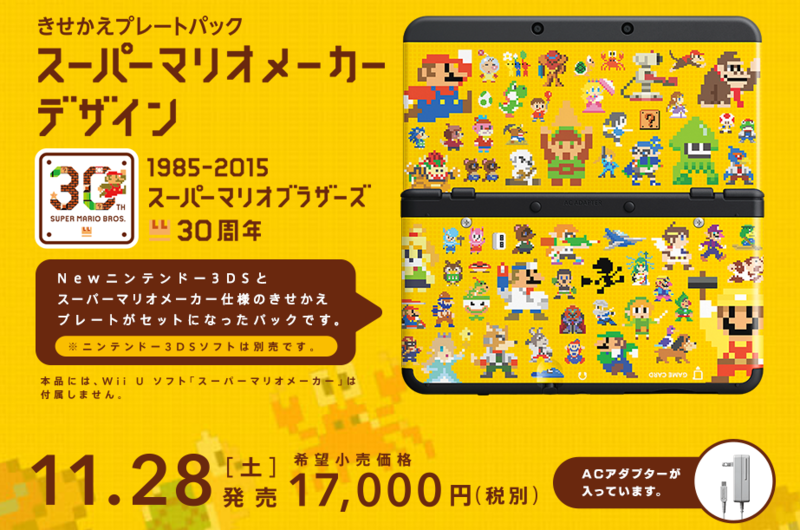 Both the New Super Mario Maker 3DS and faceplates will be available in Japan November 28th. 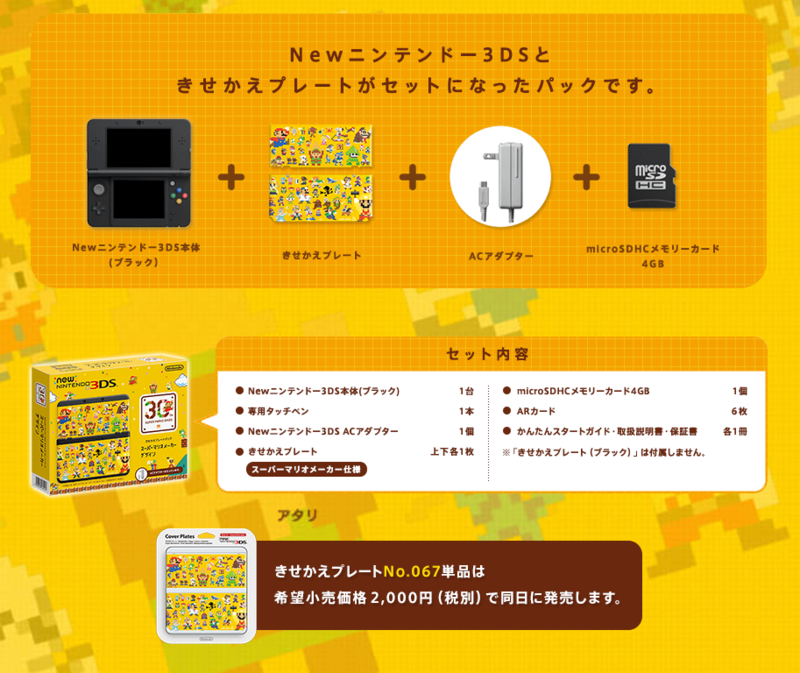 The system itself costs for ¥17.000 with AC adapter included while the faceplates will run ¥2.000. 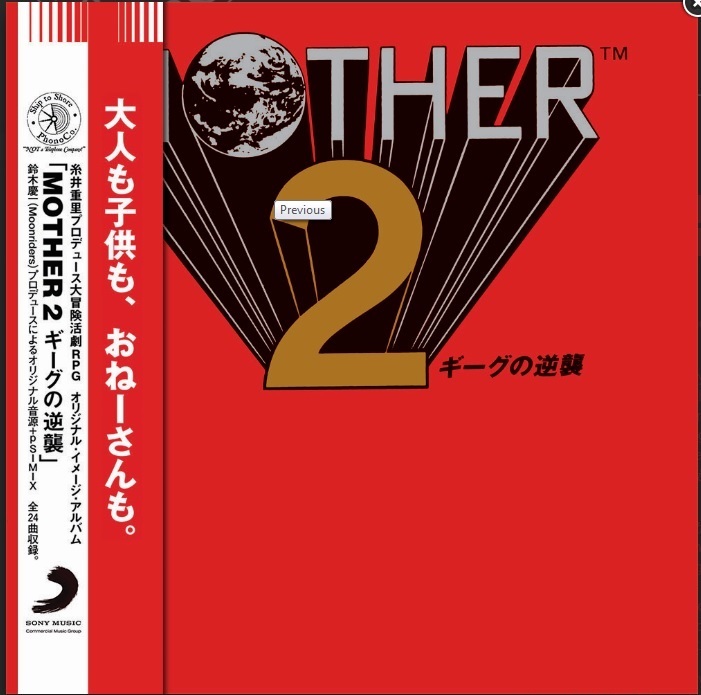 Hopefully we will have more details on a state side release! 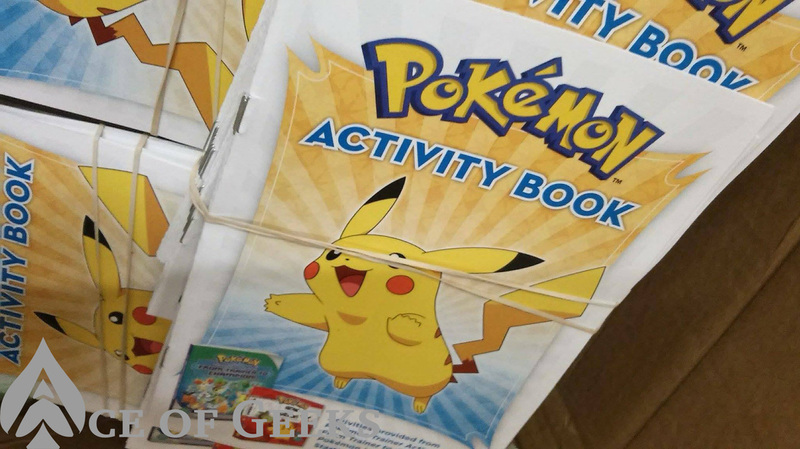 The Pokémon Company and Build-A-Bear workshop will be offering a Pikachu plush that you can customize in store with a Pokeball Hoodie and in doing so in store will merit an exclusive Pokémon card. 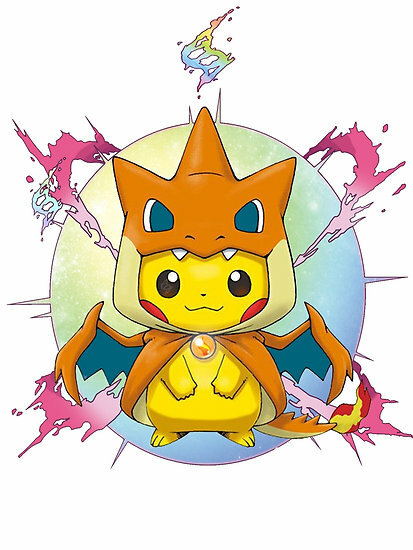 Online will offer an exclusive Charizard hoodie to customize with. More details coming as these go live! 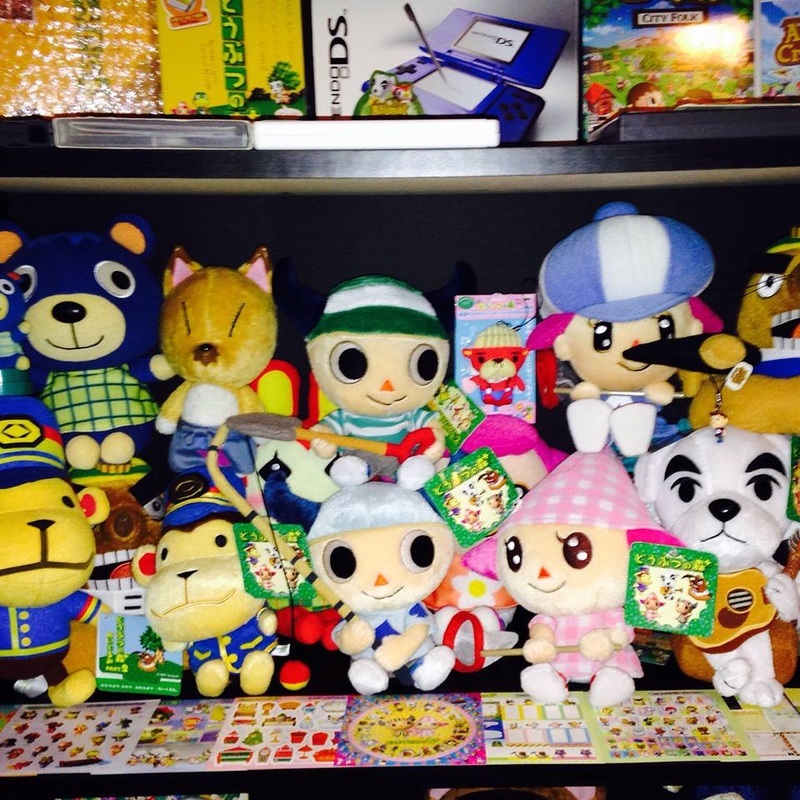 Todays Collectors Spotlight we're sharing the Wonderful collection of Max Oliveira and his massive Animal Crossing collection! CS: What got you into collecting? 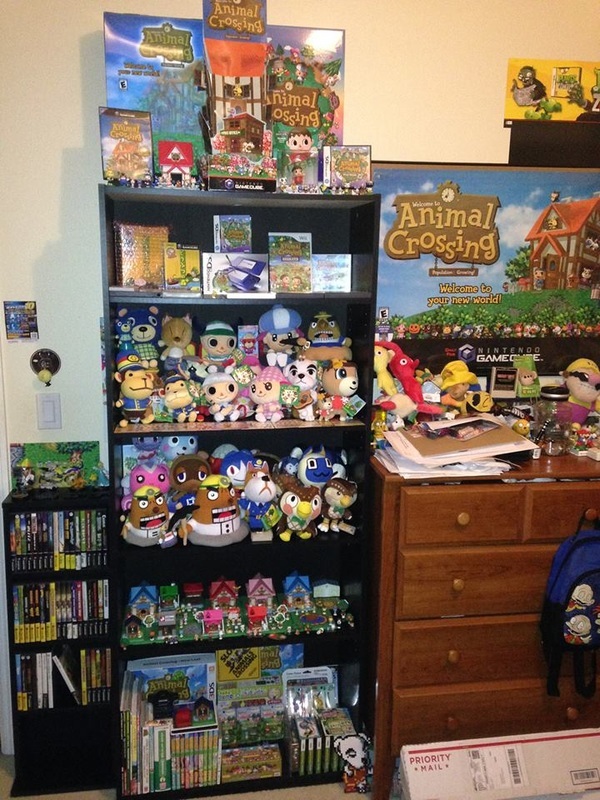 Max: What got me into collecting stems from my video game collecting. 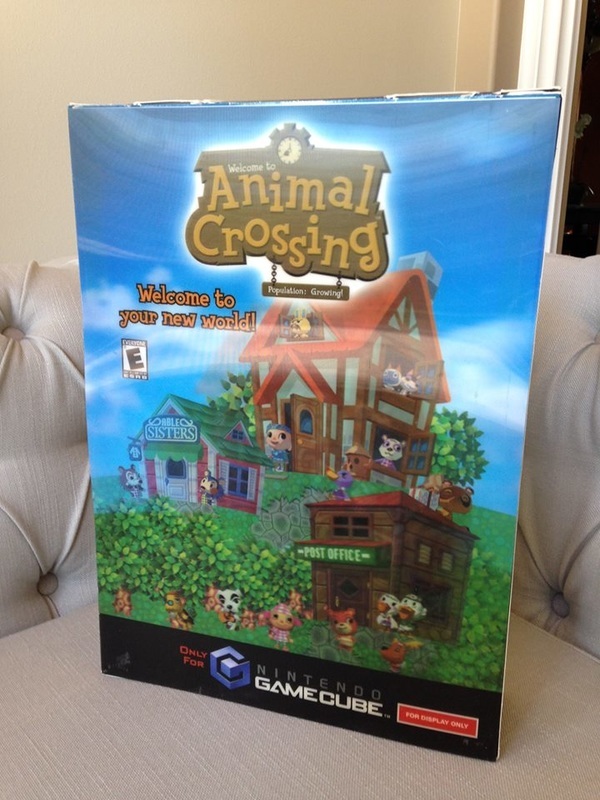 I've been collecting games for a few years, so I just sort of fell into Animal Crossing collecting. 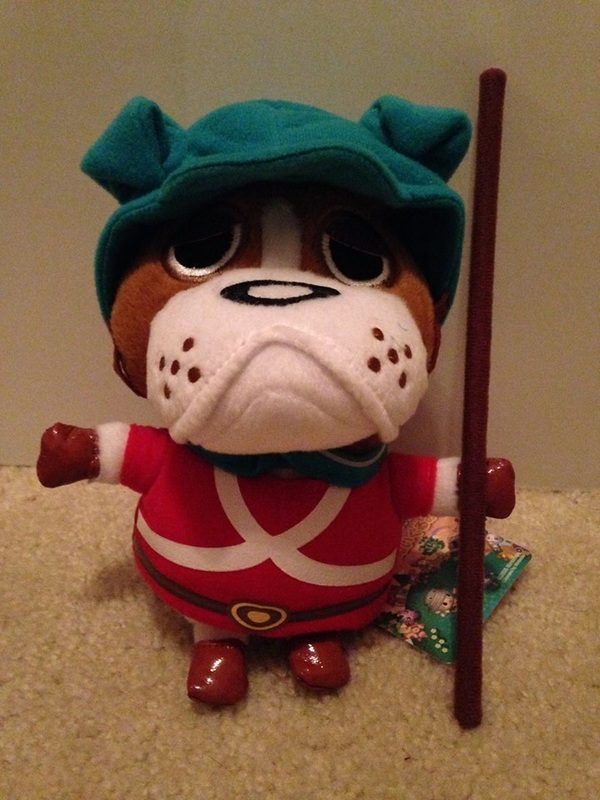 I collect Animal Crossing stuff because I played the game religiously as a child. Everything about the first game makes me so happy. Totally nostalgic. CS: What was the first item in your collection? Max: First item would be the game, I guess. I don't really think that counts though. 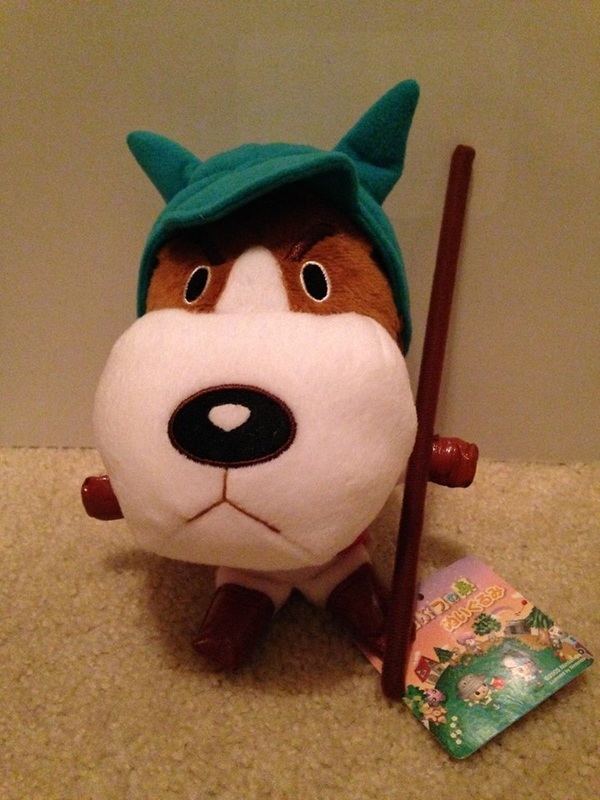 The first item I bought for my collection were my Copper and Booker plushies. 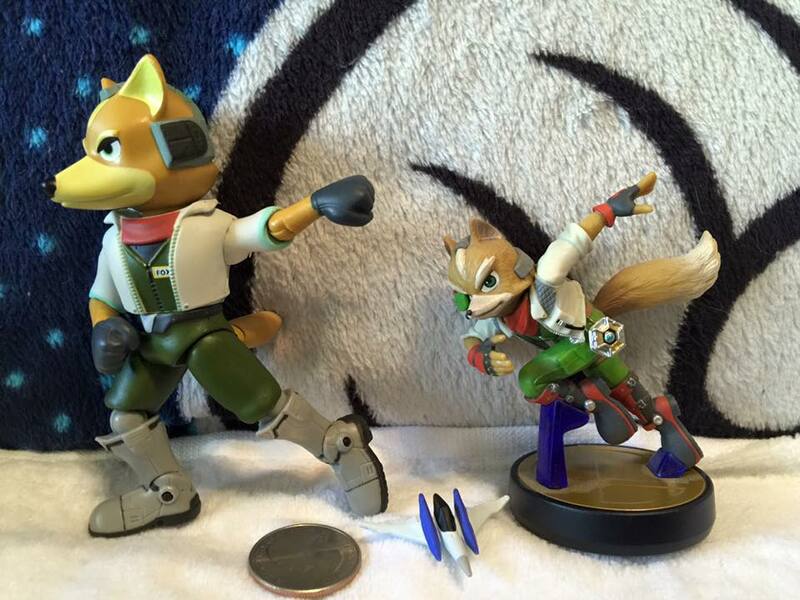 I remember seeing them in some Nintendo video and thinkin' "woah, man! 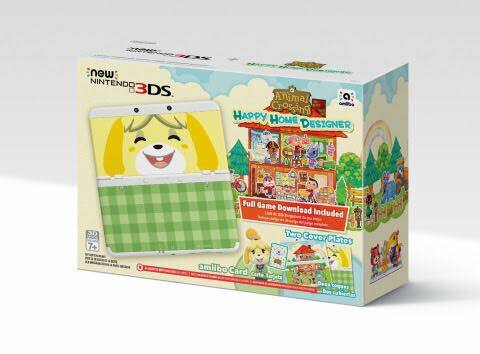 there's animal crossing merchandise?" then i bought em' on ebay. CS: Where did you get all your AC memorabilia? What would you say your collection is worth? Max: I have gotten most of my AC memorabilia from Ebay, though some of the more difficult to obtain things were bought from private sellers. 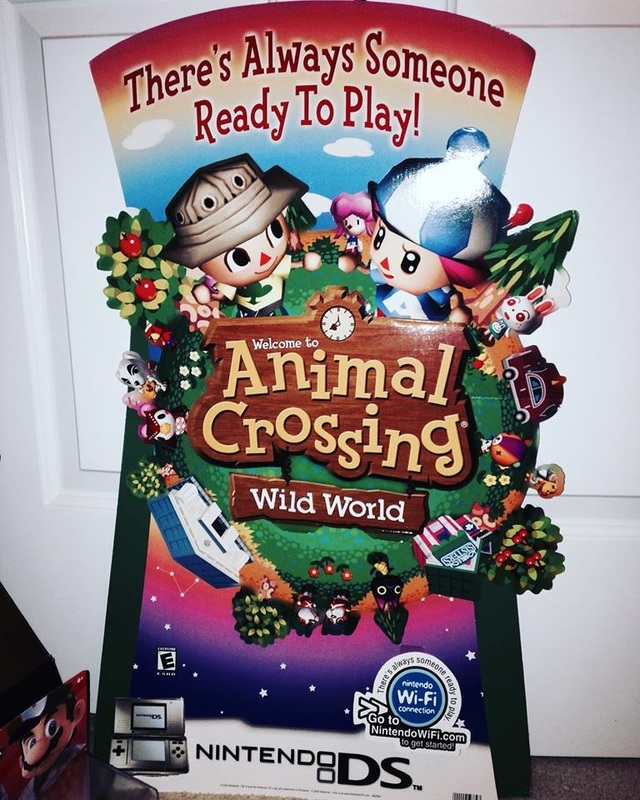 Things such as my wild world standee, complete miliefieu card set, and near complete japanese e-reader set. It's sort of difficult to place a value on these things. 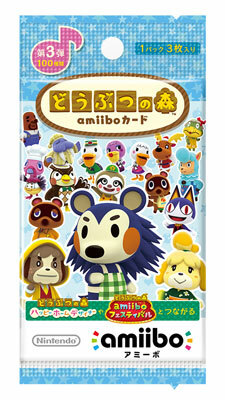 Animal Crossing collecting is as niche as it gets, I would guess. But if someone was interested in this stuff, it easily adds up to over $1k. CS: Is there anything else you'd like to say in closing? 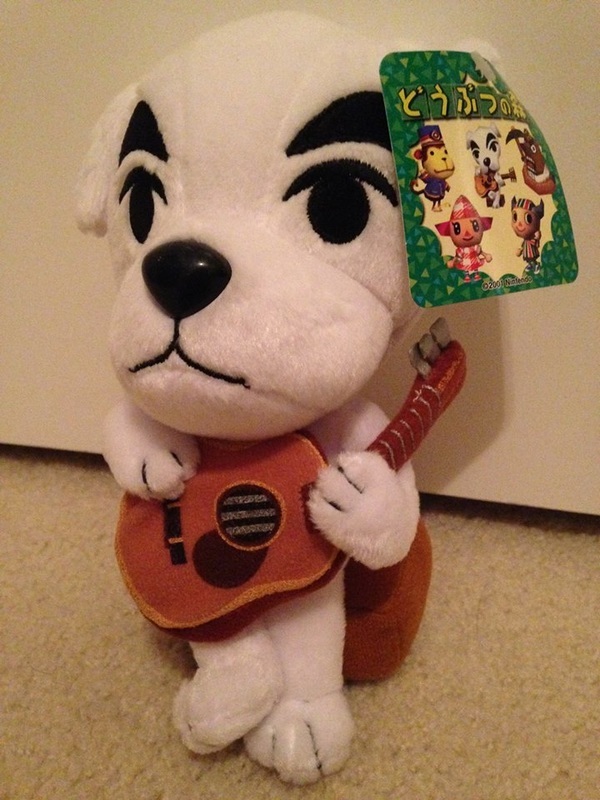 Max: In closing, I would like to say that Animal Crossing is hella sick and you should play it if you haven't already. 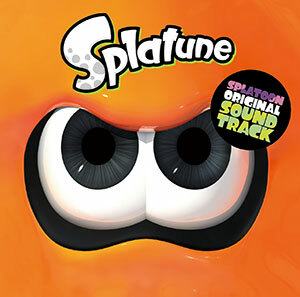 It's the chillest, most rad game you will ever play. If you're looking to relax and just have a good time, totally check it out. 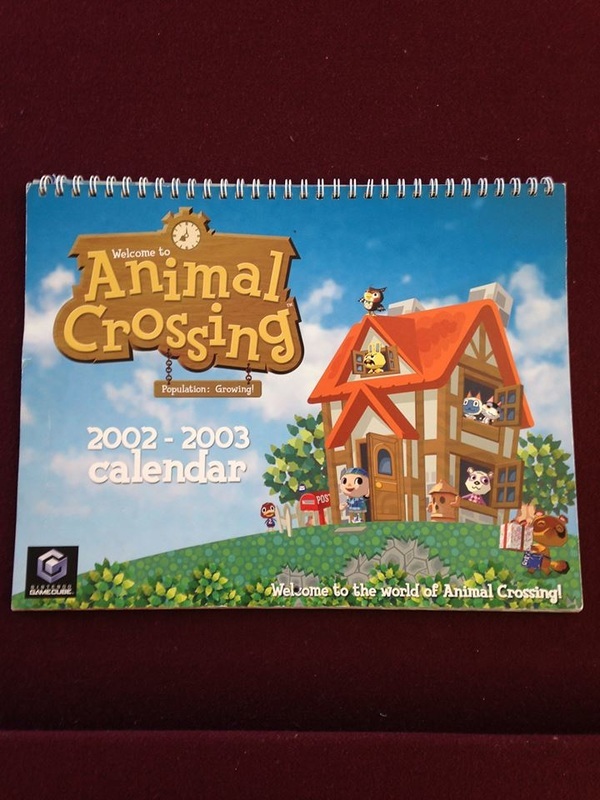 Also, we need more Animal Crossing collectors! 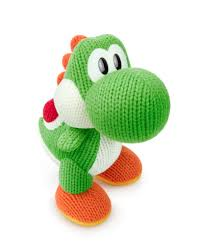 The Mega Yarn Yoshi Amiibo will be a Toys R Us exclusive for now and Villager has been confirmed as only purchasable at Toys R Us with no release date on either. 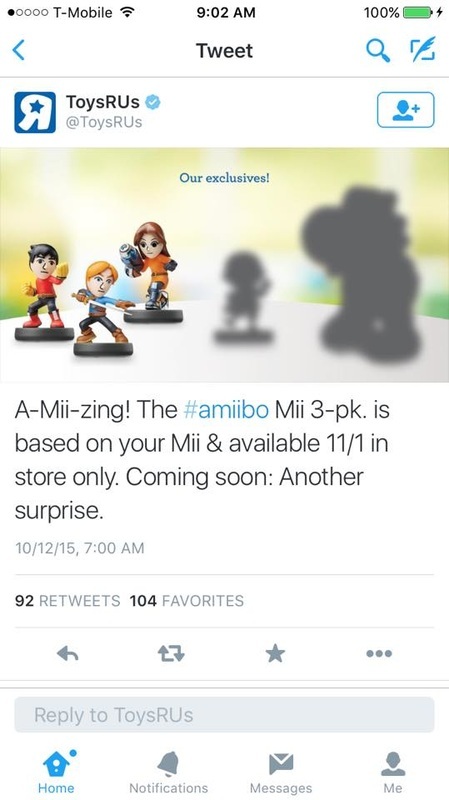 The Mii 3 pack will also be available in stores Novbember 1st. 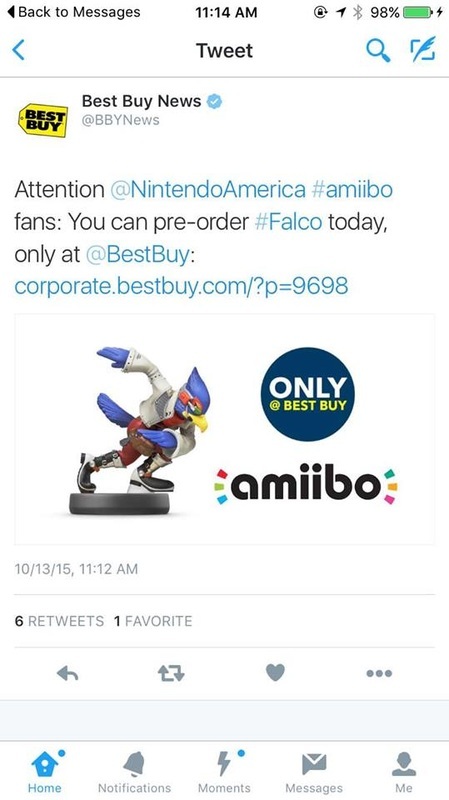 The Falco Amiibo is now available to preorder on Best Buy.com limited to one per person. Grab him while you can! 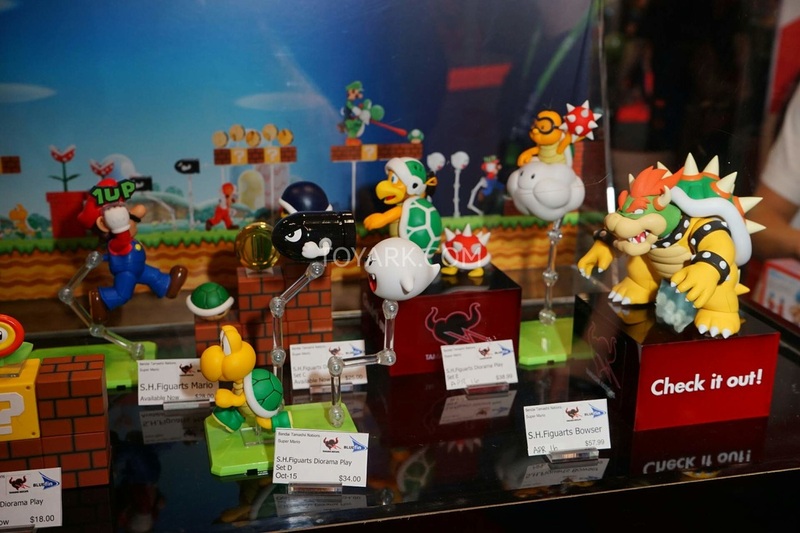 This past weekend at New York City Commicon, Bluefin and Tamashi nations showed off the new and upcoming Fire Mario and Bowser Figurarts figures as well as the new Lakitu, Hammer Bros. and Spiny enemies playset! 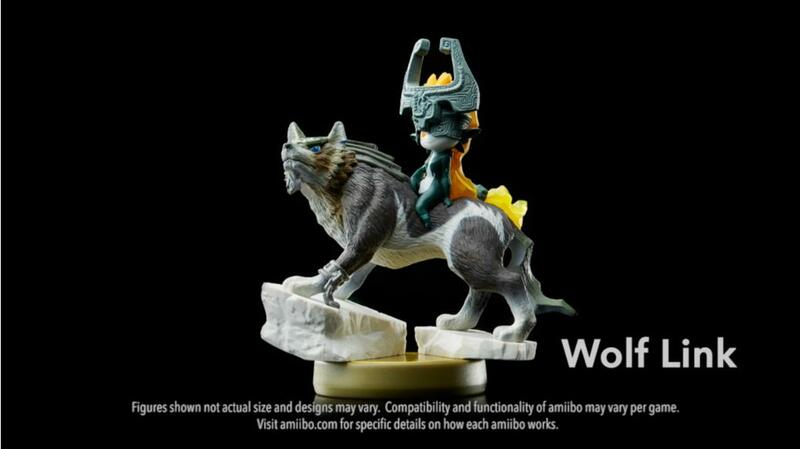 We will be sure to update you guys when these go live for preorder! 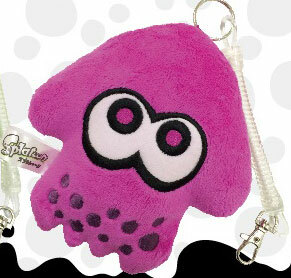 These awesome new set of squid keychains can now be purchased both as a set or individually on Amiami.com! 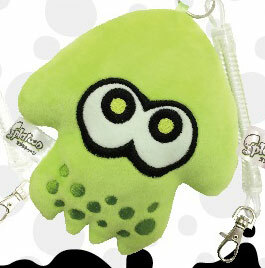 Grab em before they Squid away! 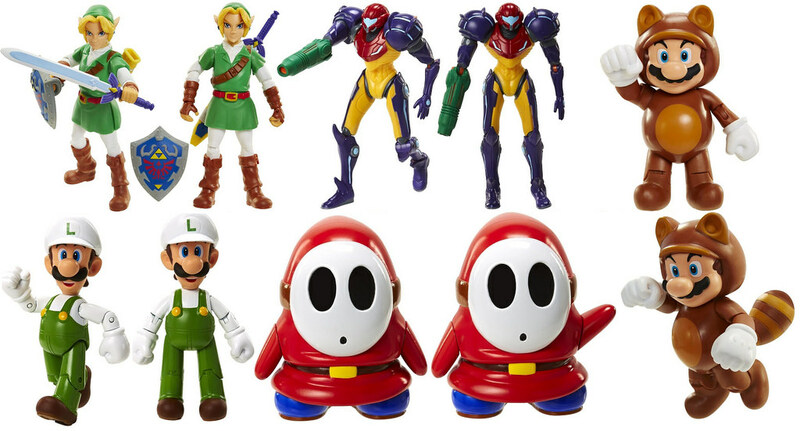 Nintendo has been stepping up their Amiibo stocking game in a huge way lately with the release of Wave 5 and many of the figures being much easier to come by than prior waves! 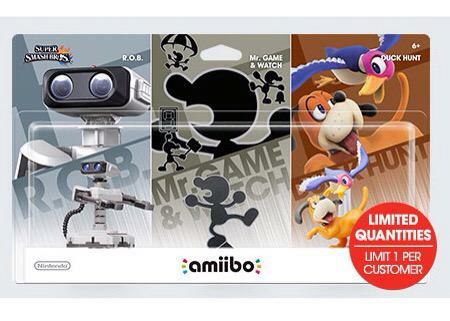 This holds very true for the Retro 3 pack of Mr. Game & Watch, Duck Hunt, and R.O.B which can be found at Game Stops right now! 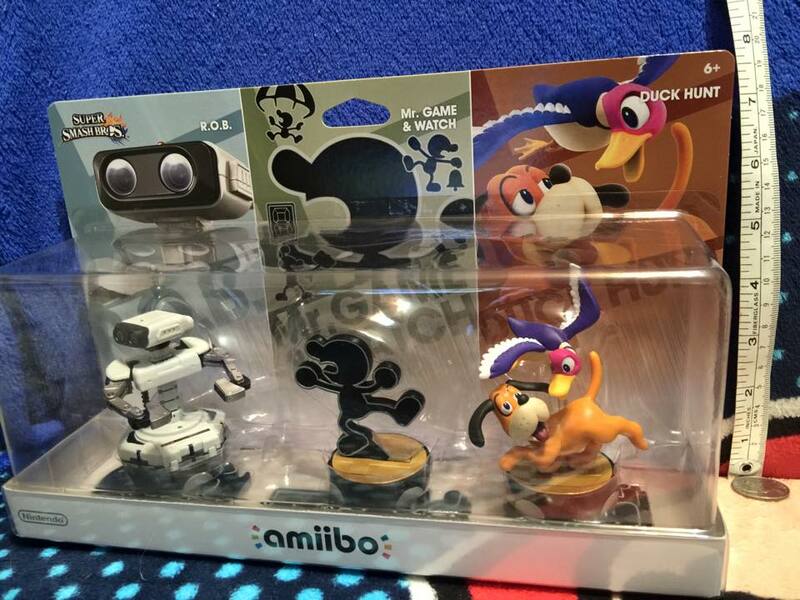 Mr. Game & Watch is a really pleasant surprise in this set by coming with 4 interchangeable poses to go onto his base! What a cool feature to make up for how skinny he is! 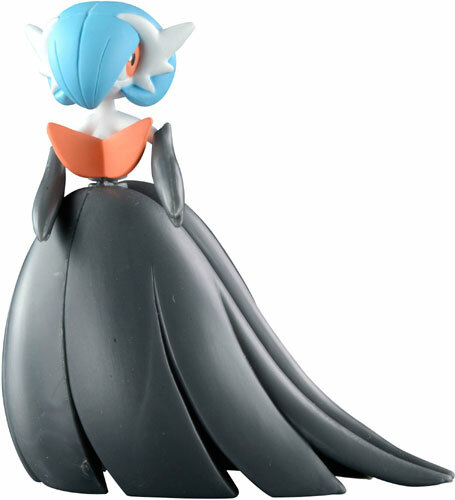 The gray edging on him is raised which looks and feels great on the figures. 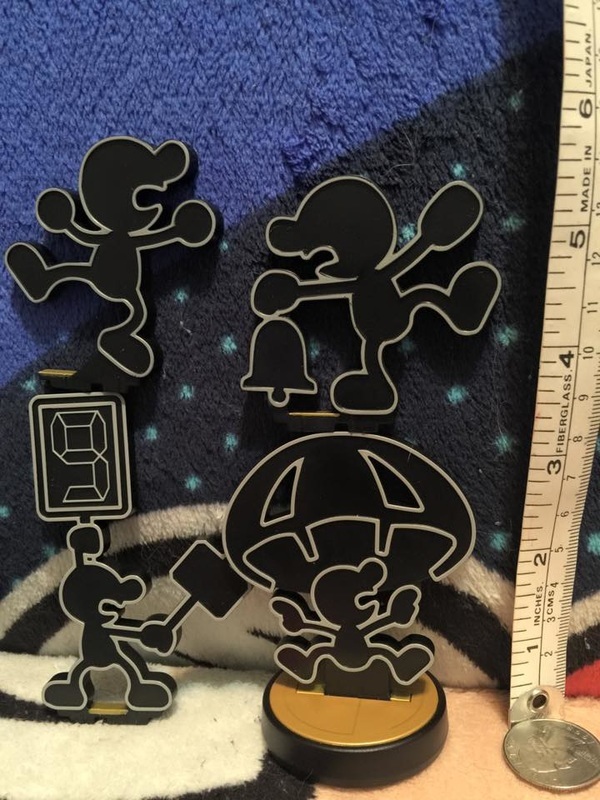 There hasn't been a to scale Game & Watch figure so these are a must have! Duck Hunt is the most colorful of the bunch sporting his default duck buddy. 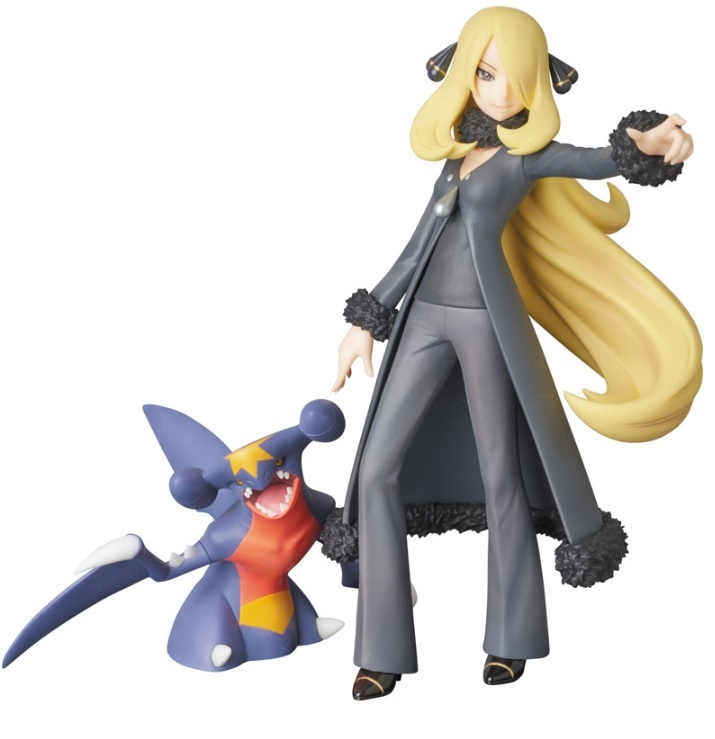 It's really cool to have a figure of this duo and have them in Smash. Bros.! The duck comes on a large clear base but we can't help but notice the extra yellow support keeping on the legs on securely. We wish this was clear but only a minor complaint since most won't be looking at it from the back anyway. 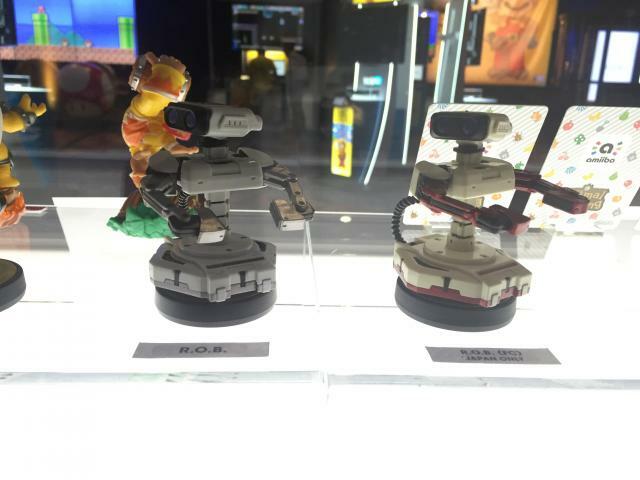 R.O.B is amazing for such a small figure with so much detail! 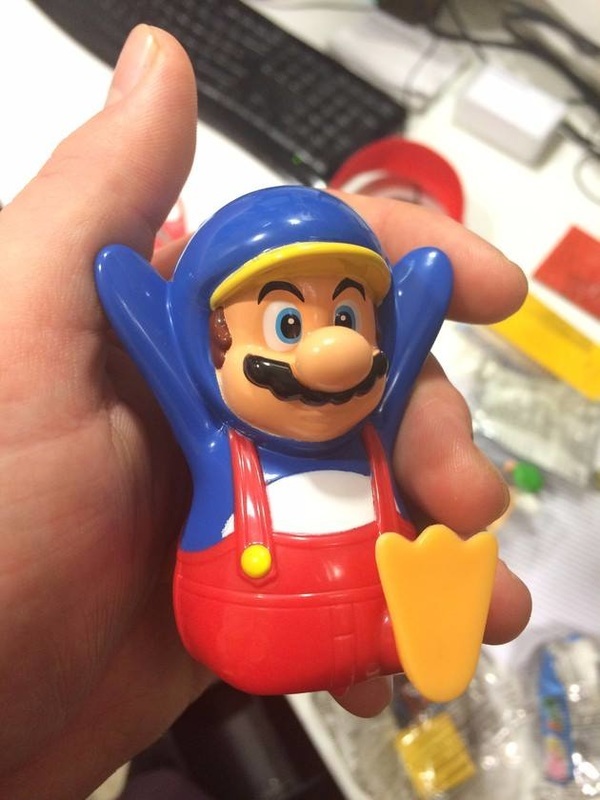 From his blue translucent plastic used for the eyes and head to the tiny text on him, he really stands out! 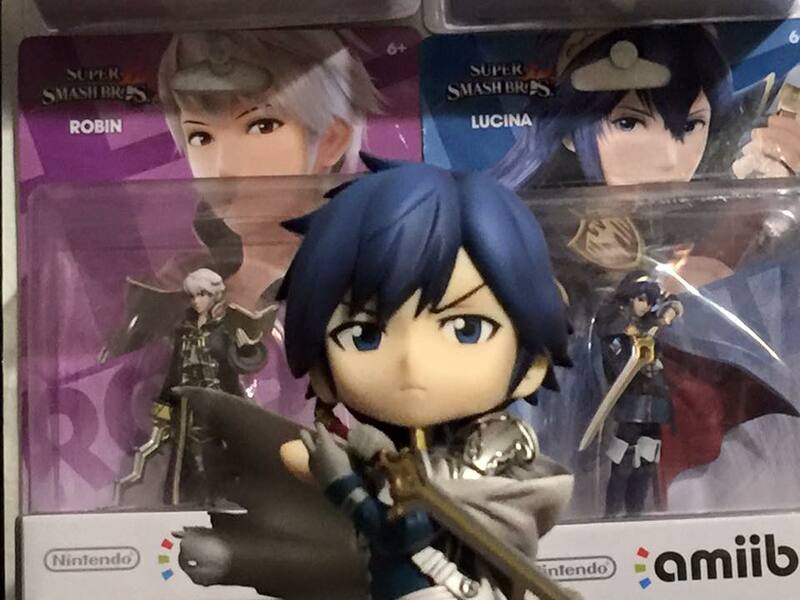 He's so wide that you can barely tell hes even on an Amiibo stand! 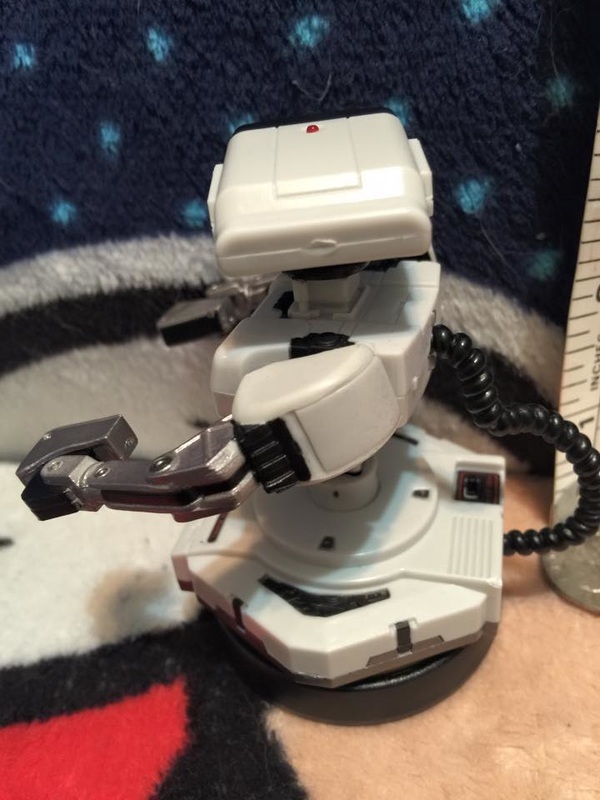 R.O.B belongs in any Nintendo retro gaming collection! The paint on all of the figures we purchased look very good with only tiny minor smudges that are hardly noticeable unless you look at them up close. 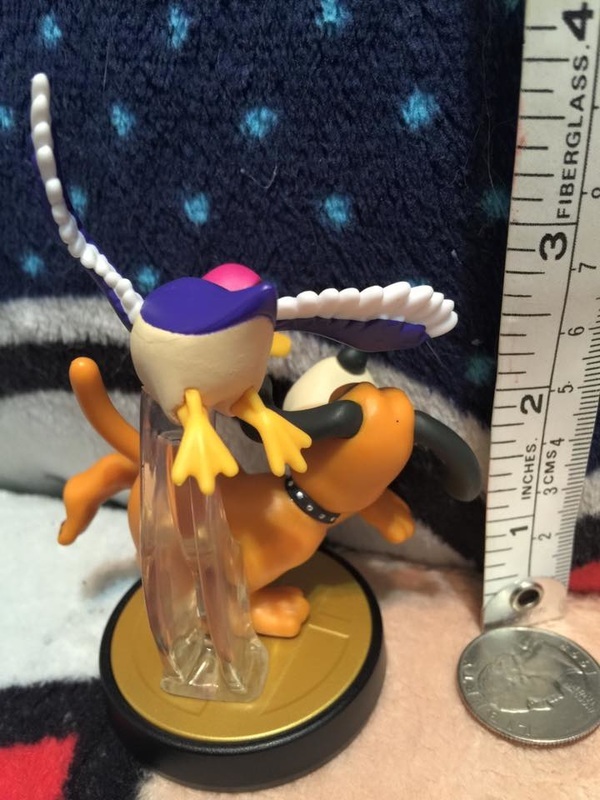 There are reports of this set having some obviously bad mistakes such as Duck Hunt's whisker marks being missing to his nose being painted poorly. Overall, they all look fantastic and highly recommended! 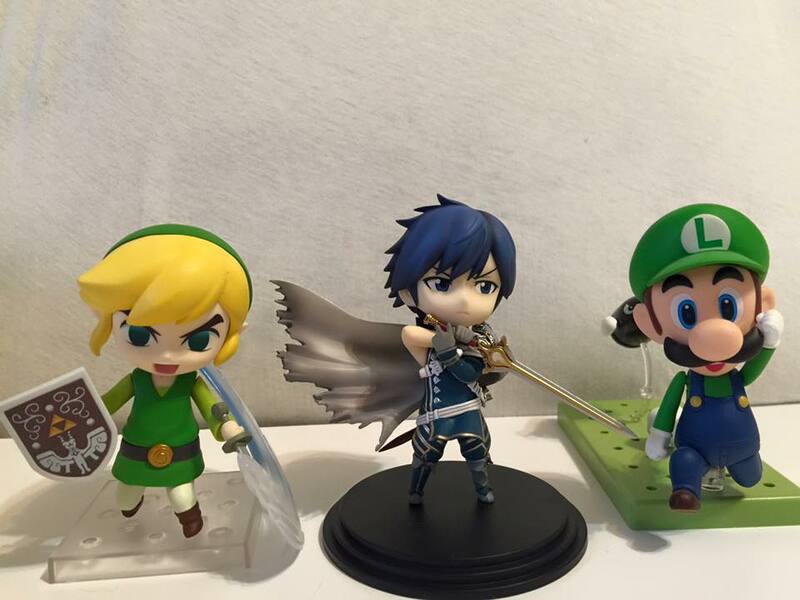 All 3 of these figures have little no merch at all ever made, making them all must owns for any Nintendo, Amiibo or Retro gaming collector. They're gorgeous and display very well together! The 3 pack actually costs a little cheaper than if they were all to have been released individually in the USA due to saving money on packaging! 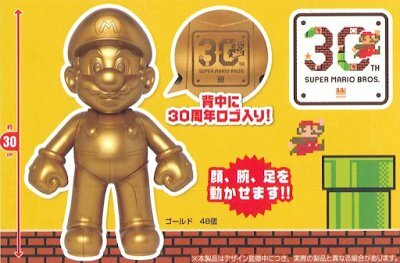 Nintendo passes along the savings and gives consumers some truly spectacular history to display proudly! 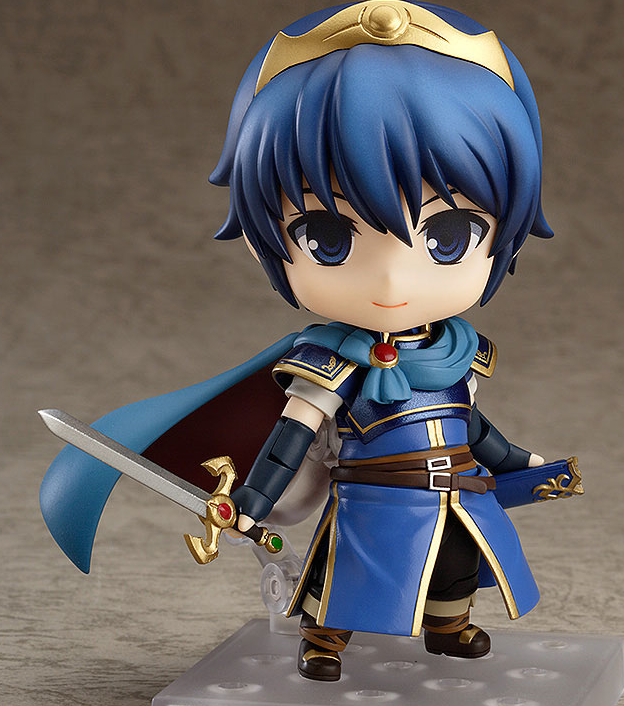 Prince Marth is now available to preorder from Goodsmiles' line of Nendoroid figures on their website at Goodsmile.com as well as from Amiami.com for a little bit cheaper! 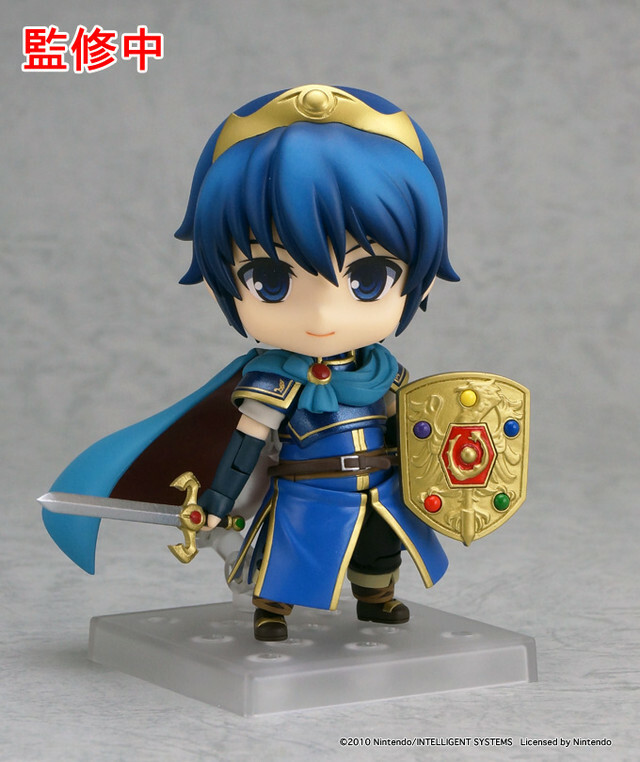 Marth comes with 2 different faces as well as multiple swords accessories! 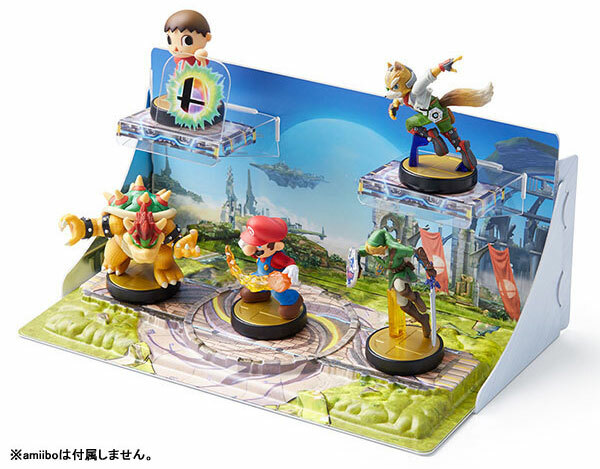 Now you can have yours in a top tier Smash Bros. display! 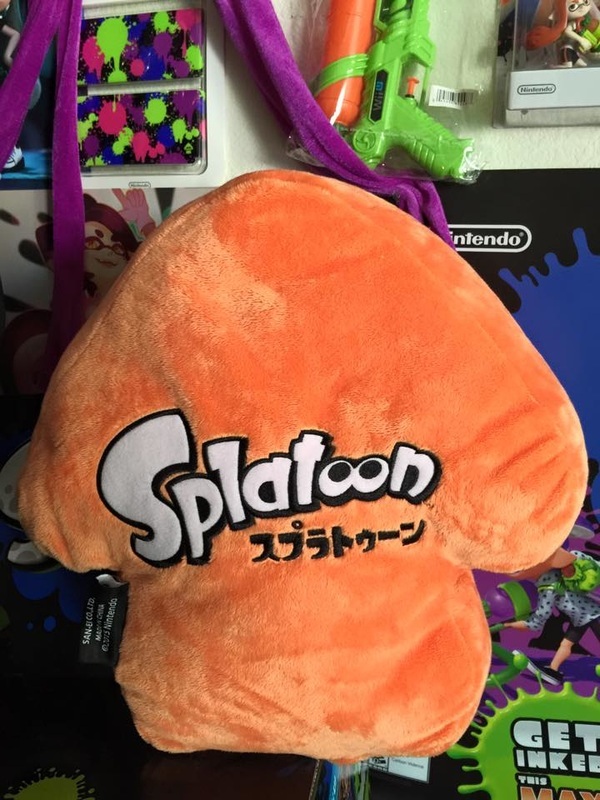 San-ei has released the first wave of their new Splatoon Pillows starting with green and orange here! 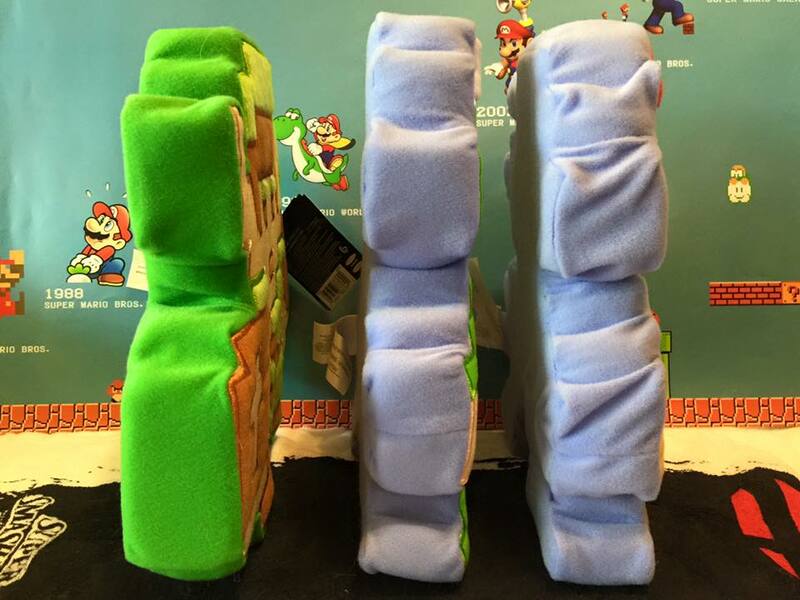 These plush are super soft and look absolutely incredible when compared to their source material! 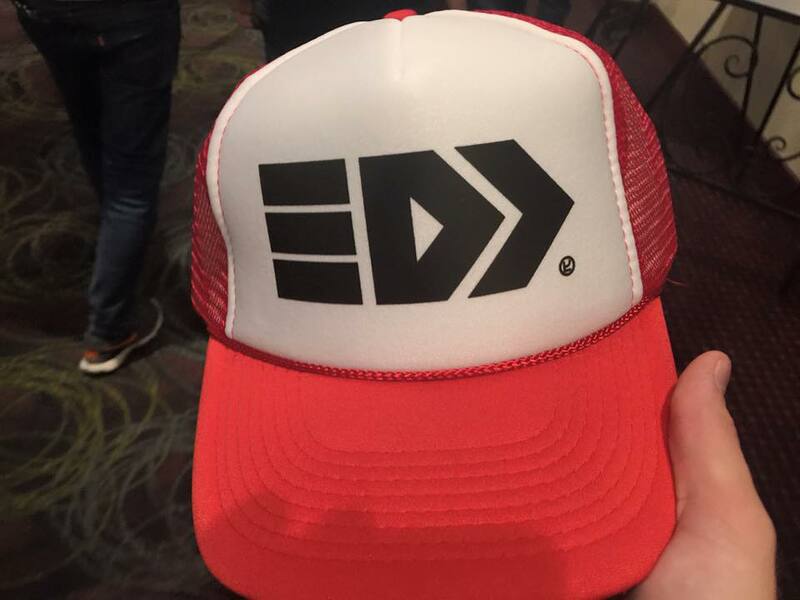 The spots on the front are painted on instead of embroidered but look exactly how they should so we see this as a good design choice! 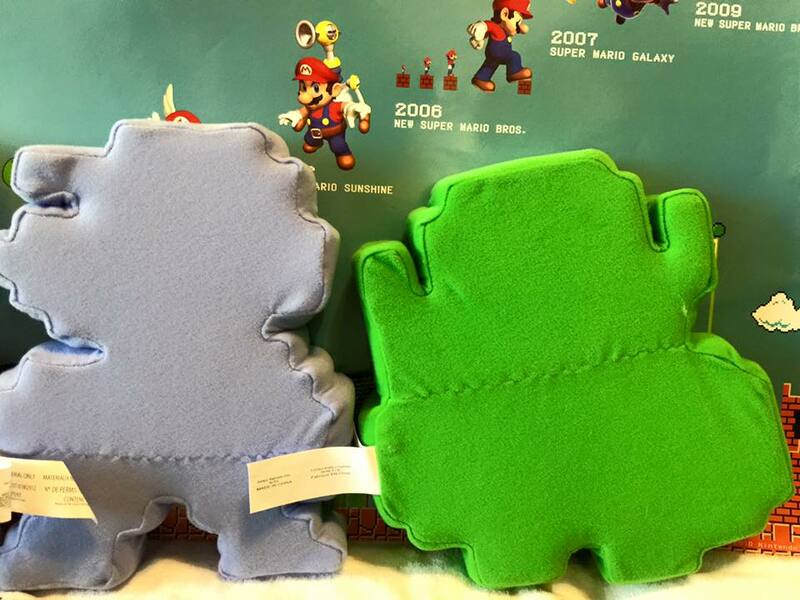 The back of each pillow has the game logo embroidered which is a cool feature for a large plush of this size since many have blank backs. Each plush is about 5" thick for maximum plushiness! 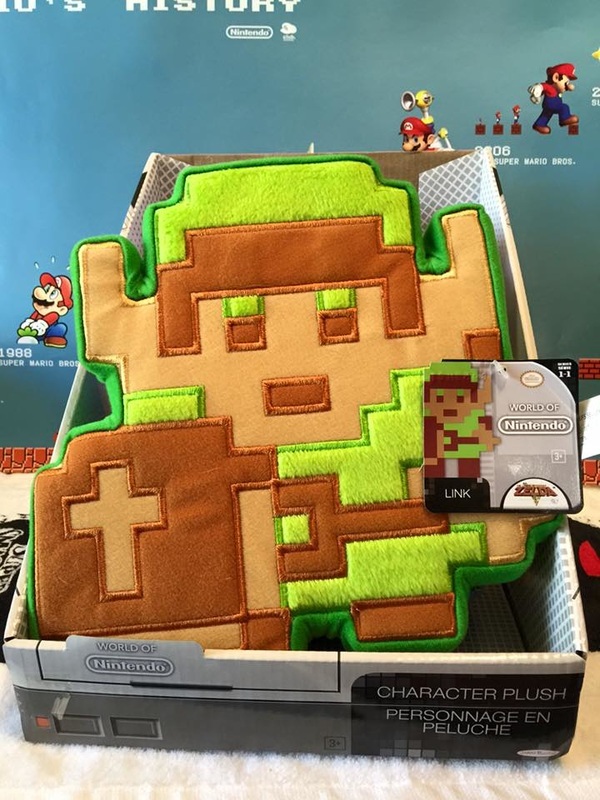 They look awesome on a bed, couch or videogame room! 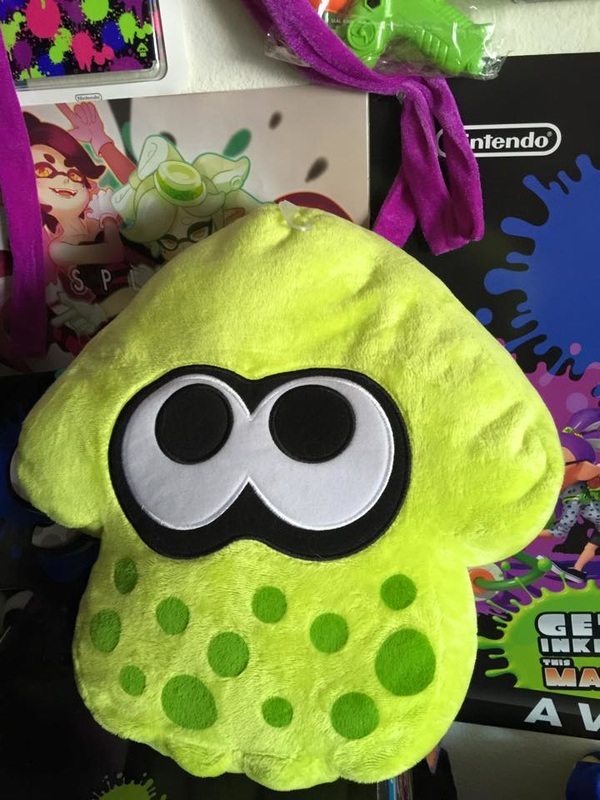 Each plush is very prestine with no loose threads or uneven lines making for a fantastic Splatoon plush! Fantastic quality control went into these! 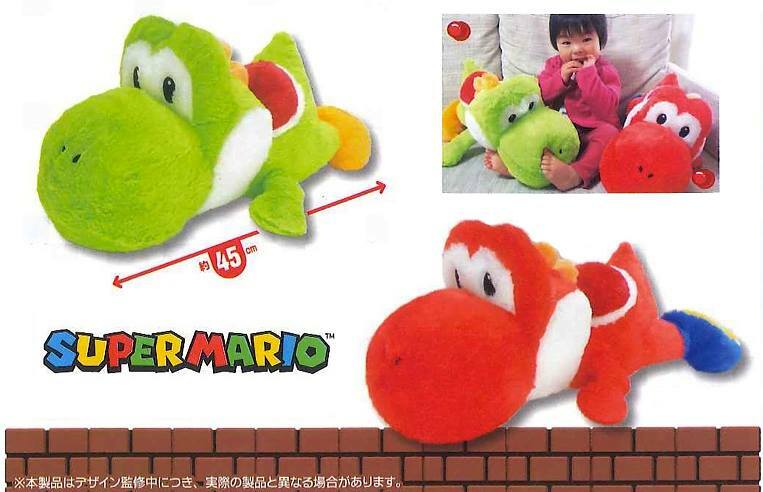 These plush are incredibly soft, plushy, and huggable and super comfy to even sleep on! 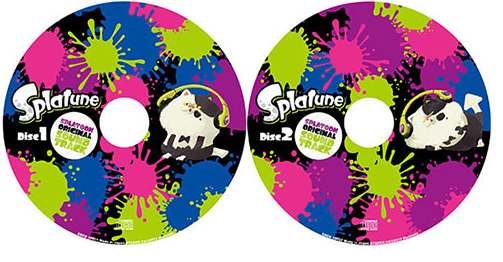 We're super thrilled that these aren't just a lazy cash in on the series! 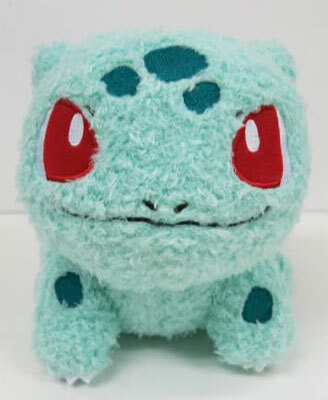 These plush run online anywhere between about $20- $30 US which is fantastic if you can find them on the low end and still totally worth it at about $30 a piece due to their sheer size and quality. 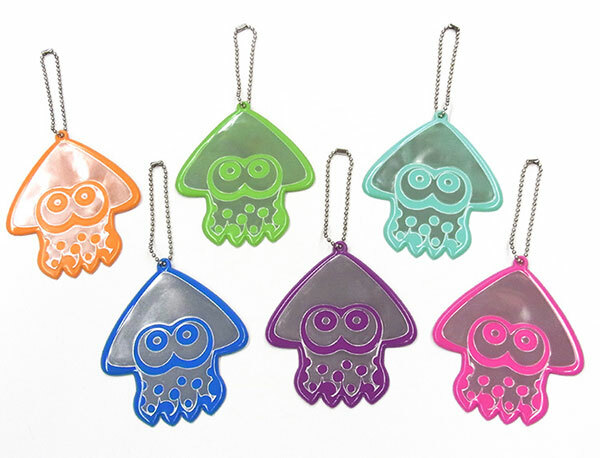 If you would like to purchase your own, they can be found at Amiami.com in 6 colors total! 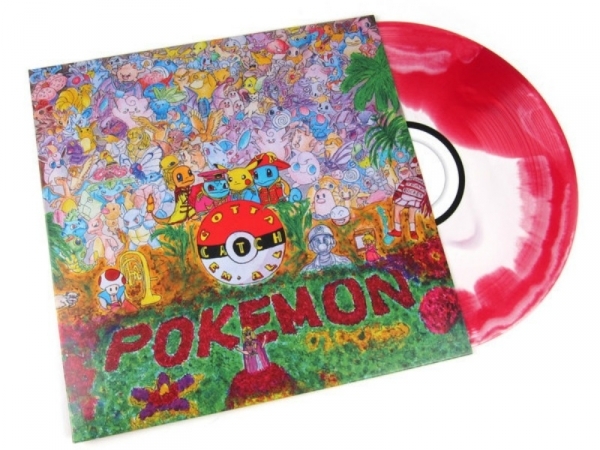 These sell out quick and have already been reissued! 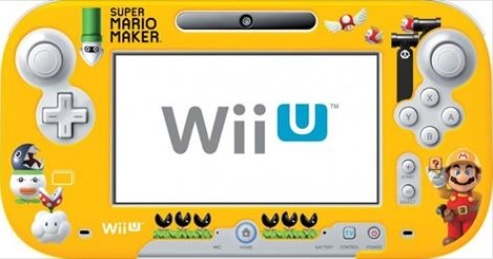 Hori, the amazing company known for their fantastic quality video gaming controllers and accessories is releasing a Super Mario Maker Wii U game pad cover. No details on a release date yet but we will keep you updated! 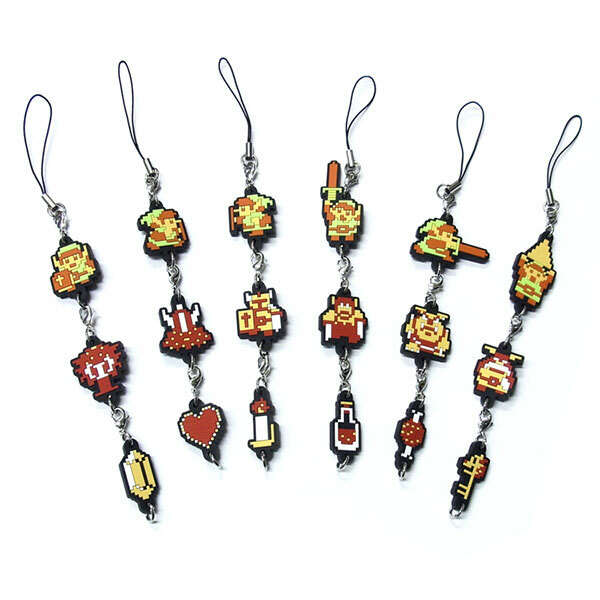 Takara Tomy A.R.T.S has released a new Gachapon keychain set hot off the heels of their last 2 MOTHER series keychain sets. 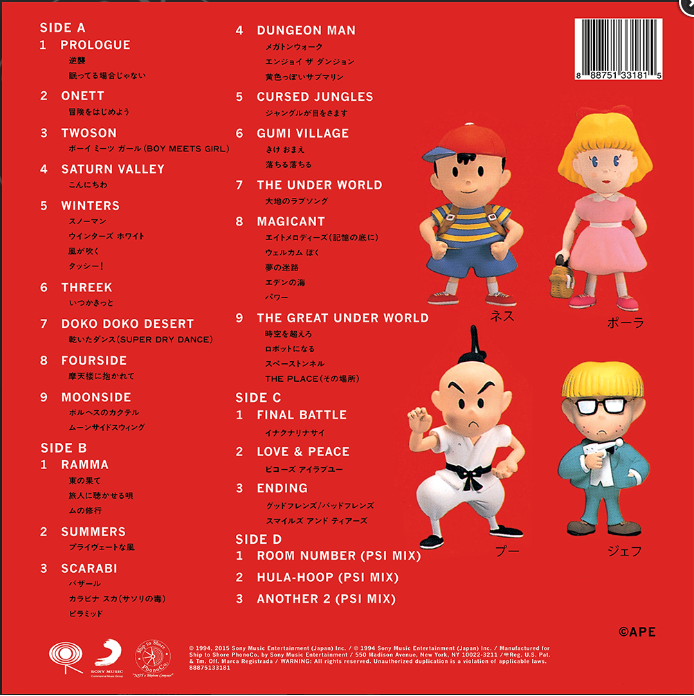 This time we have a fantastic assortment of MOTHER/Earthbound Beginnings characters! 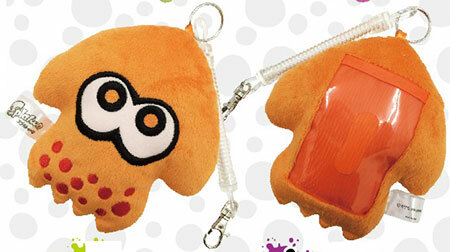 Each capsule will net you one of the above keychains! The paint is pretty good on most of these with only minor smudges on a couple of them. They come with durable rings and straps so they don't break easily if snagged on anything which is a good feature to have! 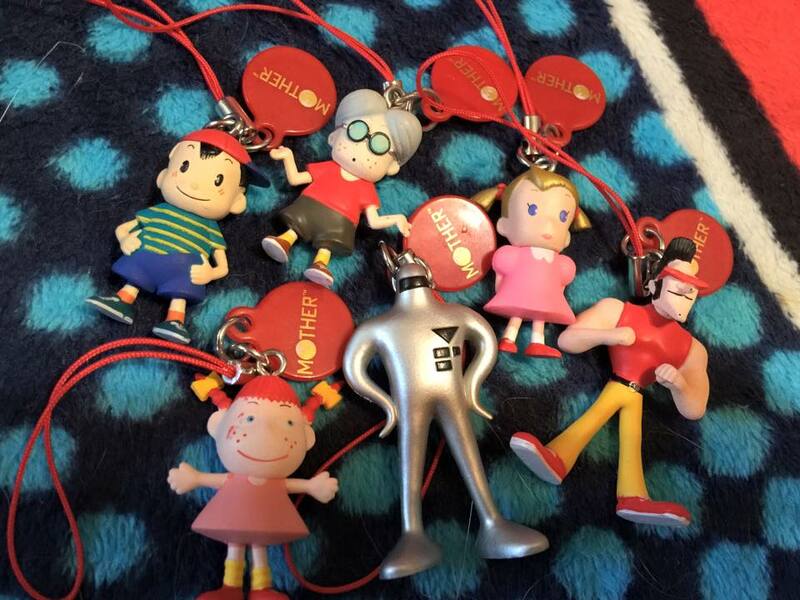 There only exists one other set released years ago by Banpresto where you can own each of these characters in figure form so if you can grab this keychain set, you will save a ton of money! 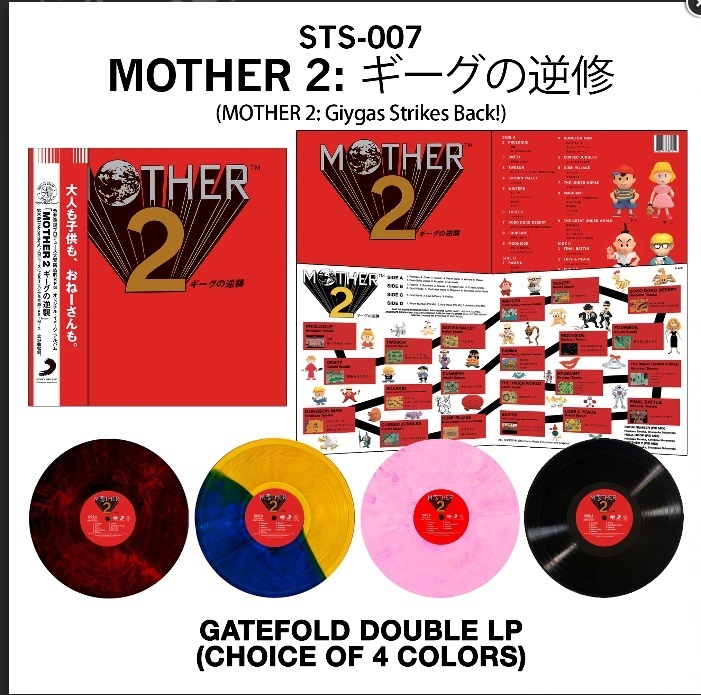 These are an excellent way to celebrate your love of MOTHER or if you're a fan of the new Earthbound Beginnings on the Wii U! 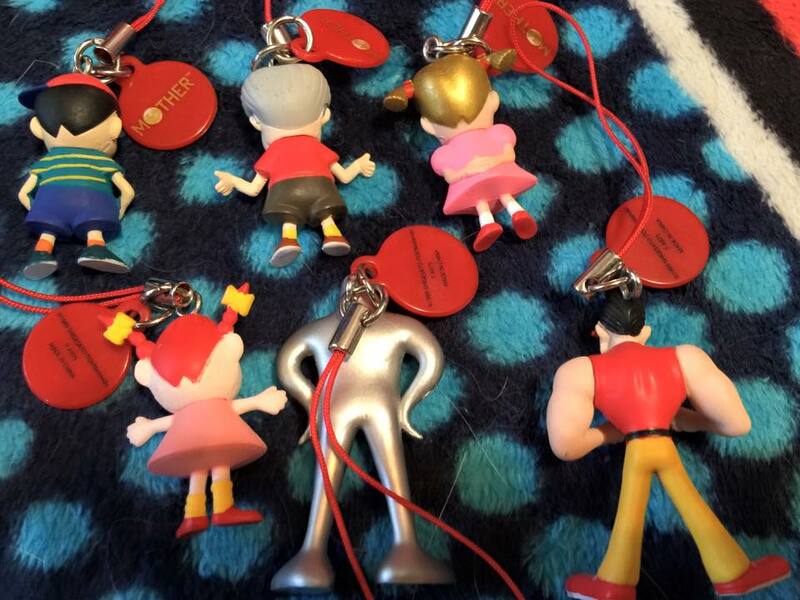 Each of these are spot on with all the correct colors and the shiny paint used on the Starman keychain. They look absolutely perfect! My set had a minor paint flaw which is bound to happen on figures this small. 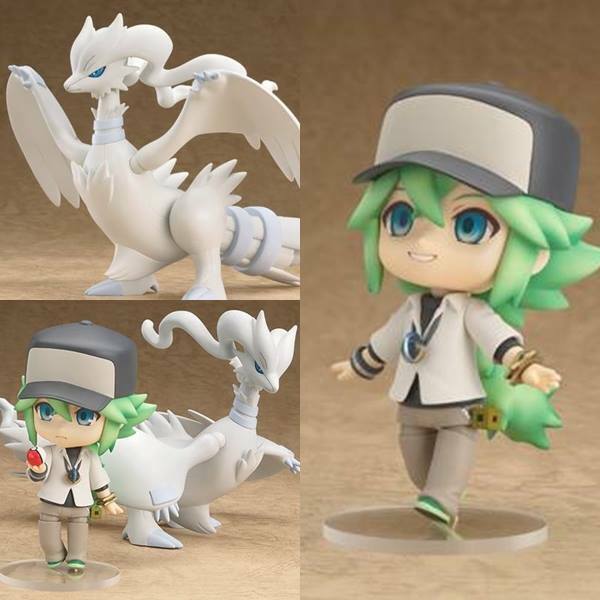 This set is currently available from USA and Japan import sites making them easy to come by at the moment and with so little merch of these characters released, this set is a must have! 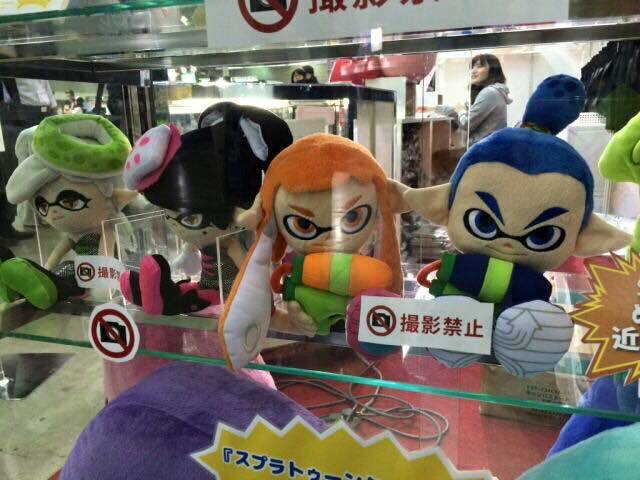 In Japan these keychains can be found in Gachapon machines currently for 300 Yen which is less than $3 a figure. 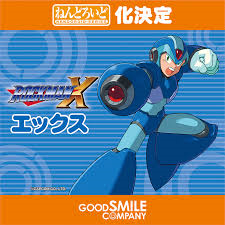 If you want your own full set in the USA, you can import the full set from NCSX.com for about $25 which is awesome considering MOTHER merch becomes very sought after! 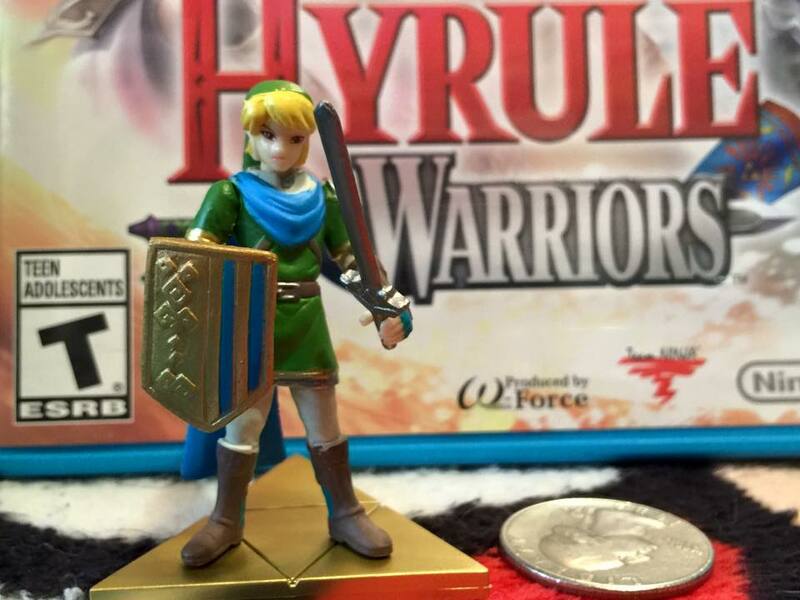 Takara Tomy A.R.T.S has released a set of Hyrule Warriors Gachapon including Link, Zelda, Lana, and Ganondorf! 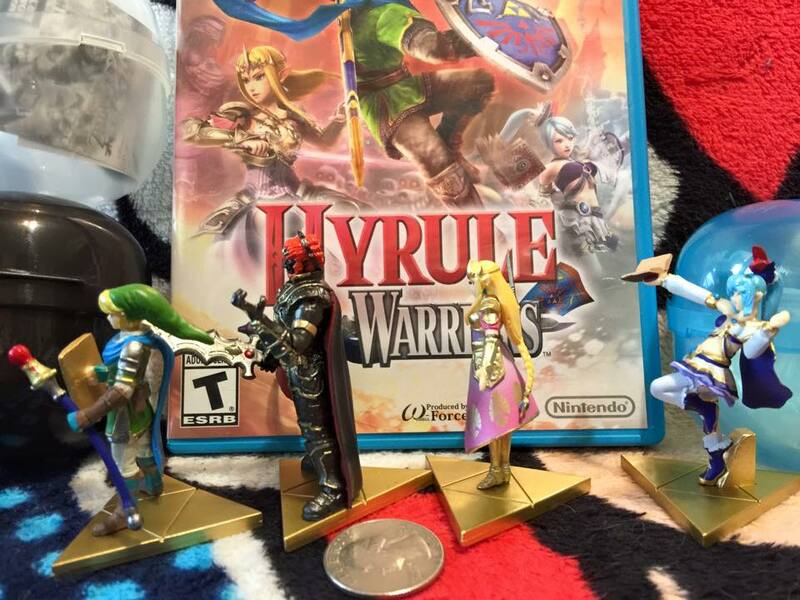 Each figure is about 2" tall and come on a Triforce base to keep them upright. These are standard mini figures with no articulation but you can move their attachable parts around to change poses even though they aren't meant to. 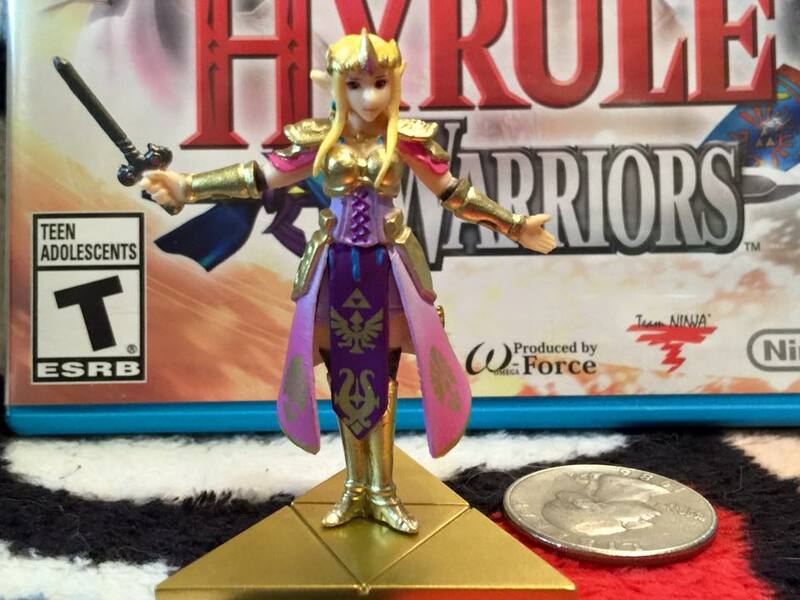 Zelda's small details and paint gradient job looks excellent! 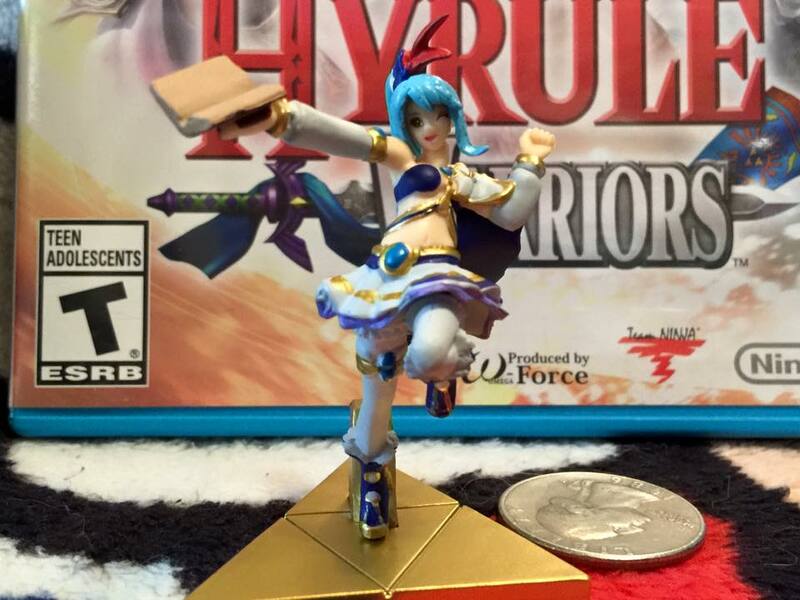 This is the first figure of the adorable and popular Lana in her signature pose from the game art. Link unfortunately suffers from derp face but not too badly. 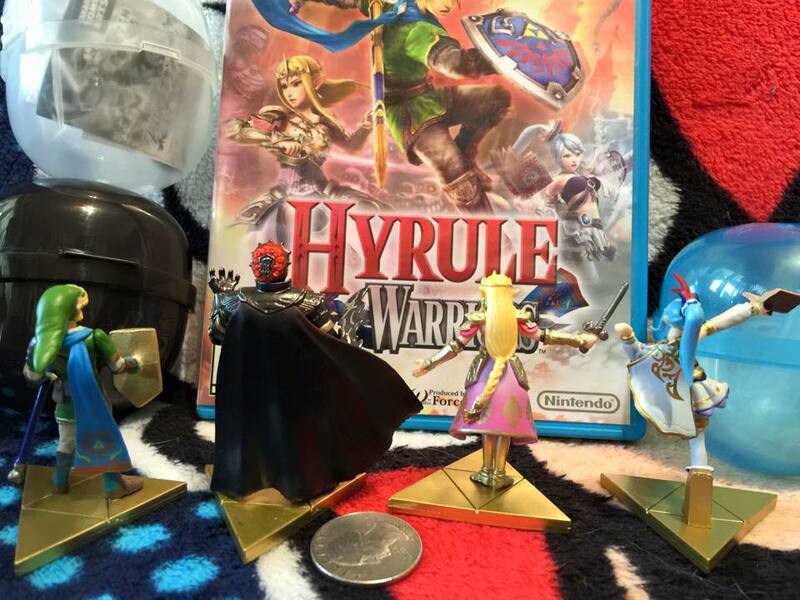 This is a recurring problem with this set other than Ganondorf due to their eye details. 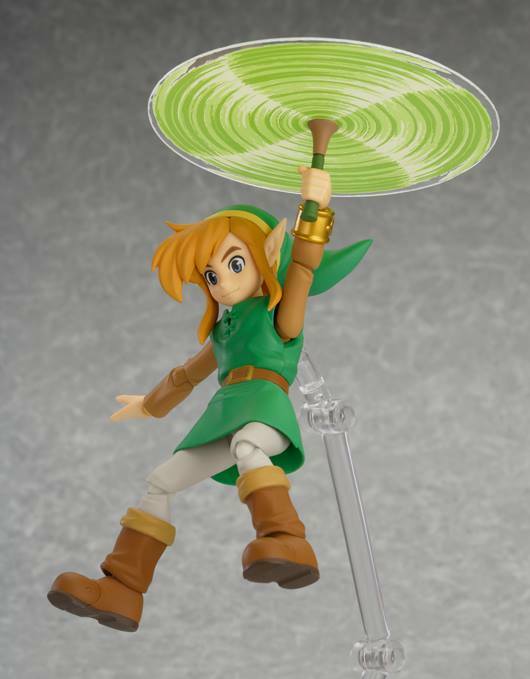 Link also has the cool option of having a held staff or sword which is a neat little feature for a figure this small! 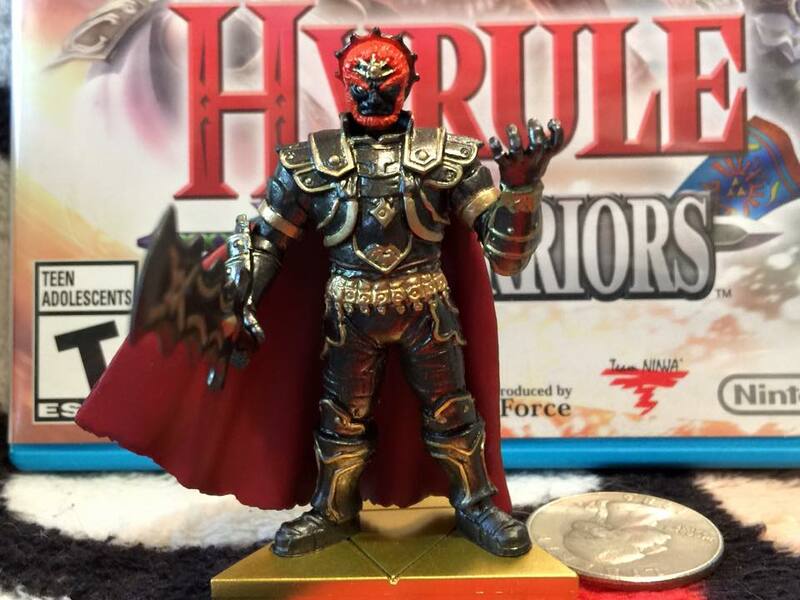 The Ganondorf figure was an odd design choice considering they chose his Twilight Princess/Smash Bros. costume instead of his Hyrule Warriors version but looks great for being so small with only minor paint tweaks here and there. 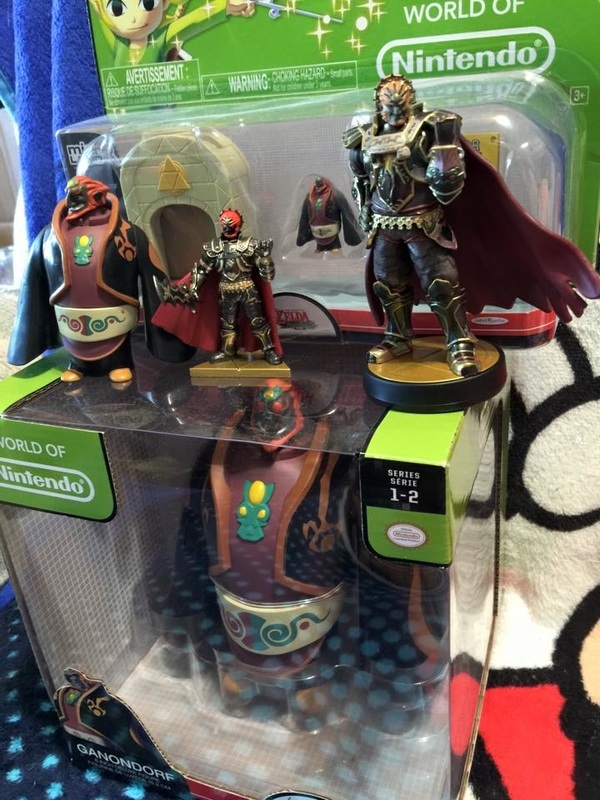 Compared to other recent Ganondorf figures, he makes a great addition and looks cool among the bunch with a slightly different pose and holding his sword! For only being 2" these figures look pretty great for the most part but no have minor paint bleeds here and there as expected. The colors are dead on but the eyes could look better on most of these. 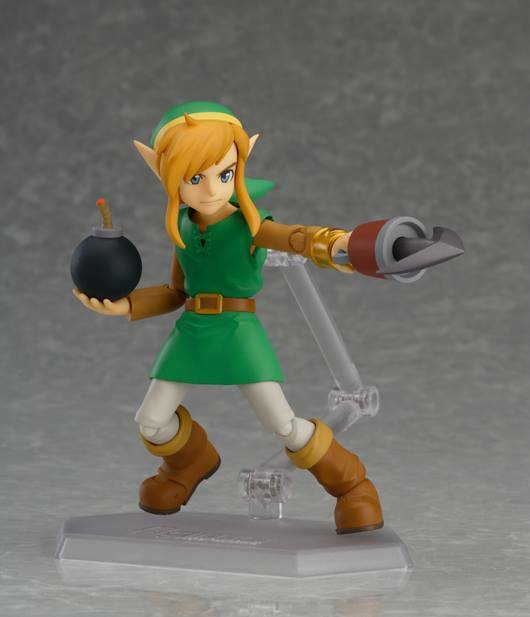 ﻿This is the first figure available for Lana, HW Zelda and HW Link which make them an awesome addition to any Zelda fan's collection. 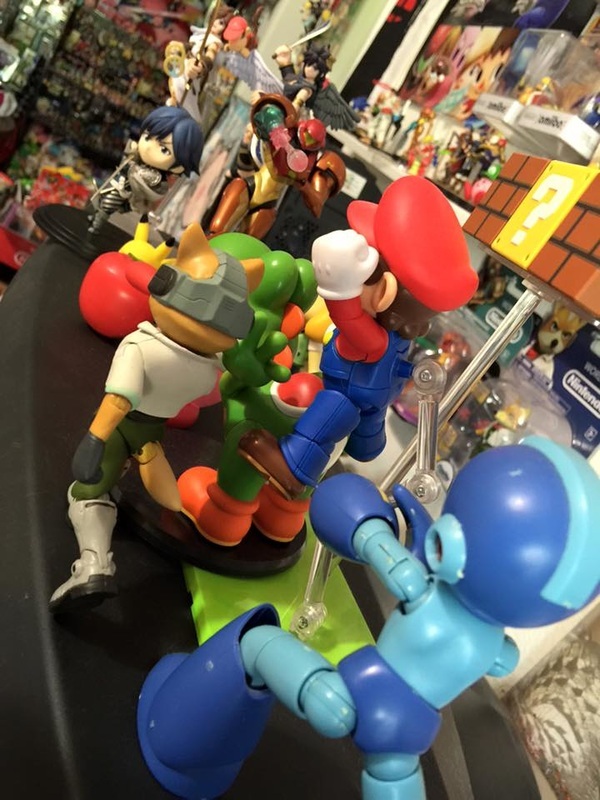 They fit in nicely with the large array of other figures from prior sets that are all around this height. 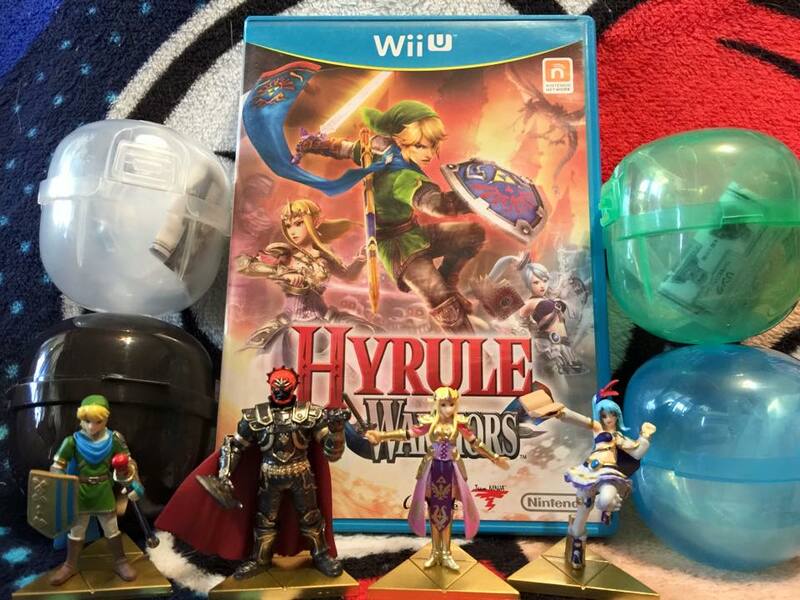 They are also a refreshing addition to Zelda collecting with the current flood of Wind Waker merch and lack of Hyrule Warriors memorabilia. 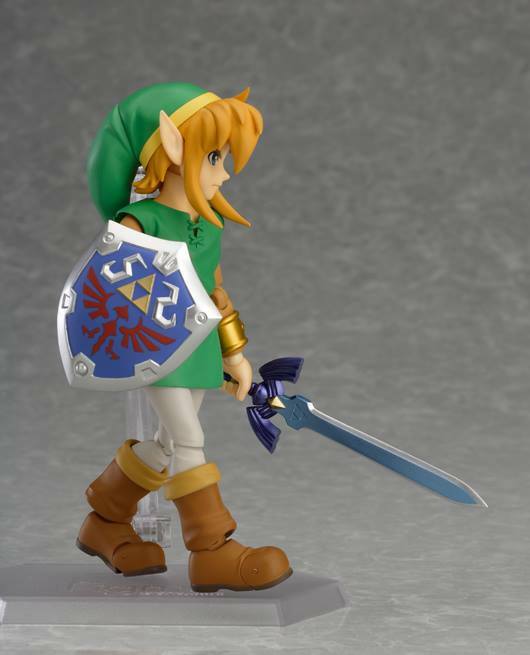 Price: At 300 yen a piece MSRP, these figures are a great price and will surely skyrocket in value like all Zelda merchandise does. To import these, you are looking at anywhere between $20-$30 which still isn't too bad considering their uniqueness. If you would like to purchase your own, this set can be purchased from Ncsx.com as an import provider. 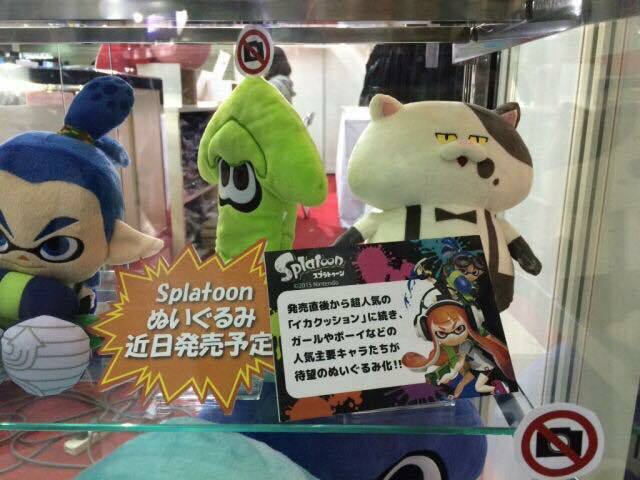 No release date yet on these but you will be able to choose from Callie, Marie, Inkling Boy, Inkling Girl, Judd or Green Squid! we'' update as soon as these preorders go live! 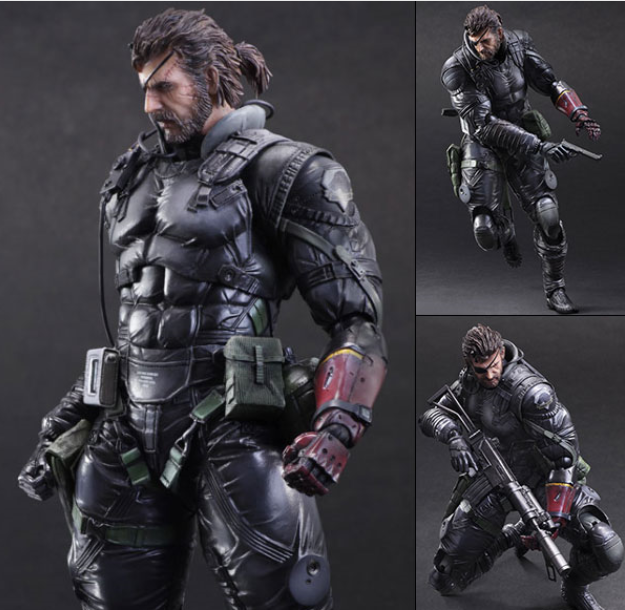 You can pick up this super articulatied figue with several acceories and guns here! We want to make sure everyone is ready for tomorrows Amiibo launch so were sharing a chart to help educate you on where you may feel the need to be! 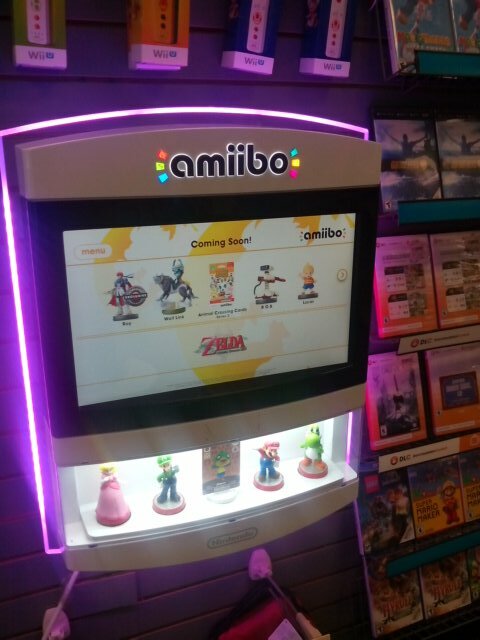 Each in store listed is only allowing one of each Amiibo character per customer with the exception of Target who is allowing 2 of each character per customer. 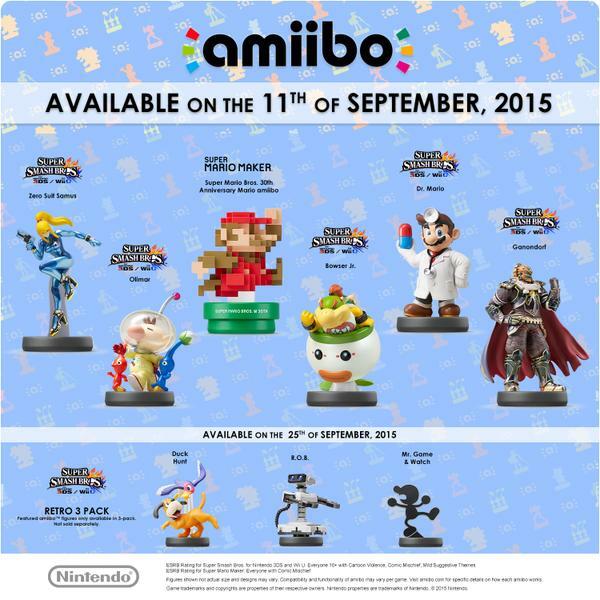 Amazon.com will have a set purchase time seen below for each of the 4 non exclusive Amiibos. 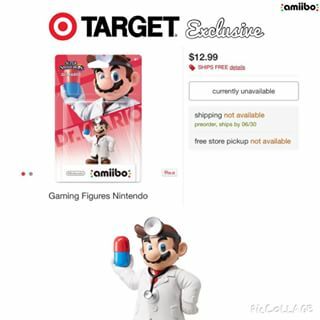 This will work the same way that they sold the Wave 4 and Palutena Amiibos in which each Amiibo will go live for a limited time until it sells out on their website. This is a great backup if you miss out on any you want in stores! 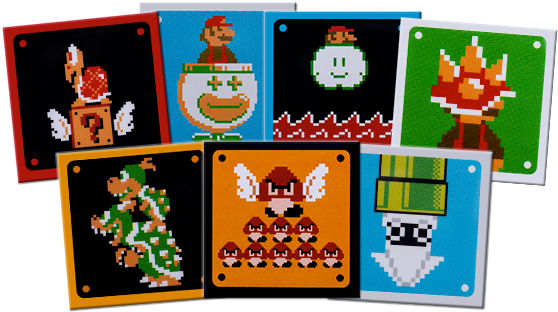 For those picking up Super Mario Maker in the USA, you have until 9-11-15 (Launch day) to preorder 2 qualifying games at Best Buy to receive the free pin set above! 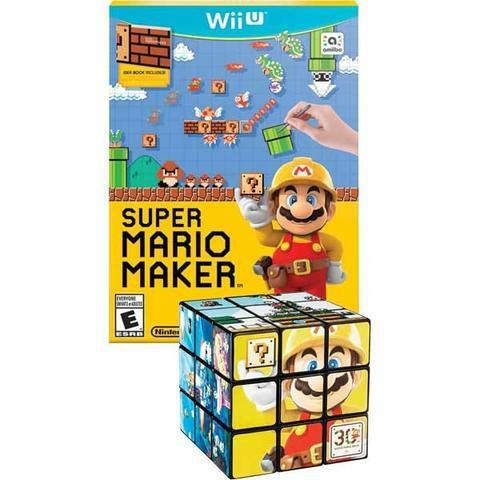 Also if you purchase the game at Target on launch day, you will receive a Super Mario Maker Rubix Cube! 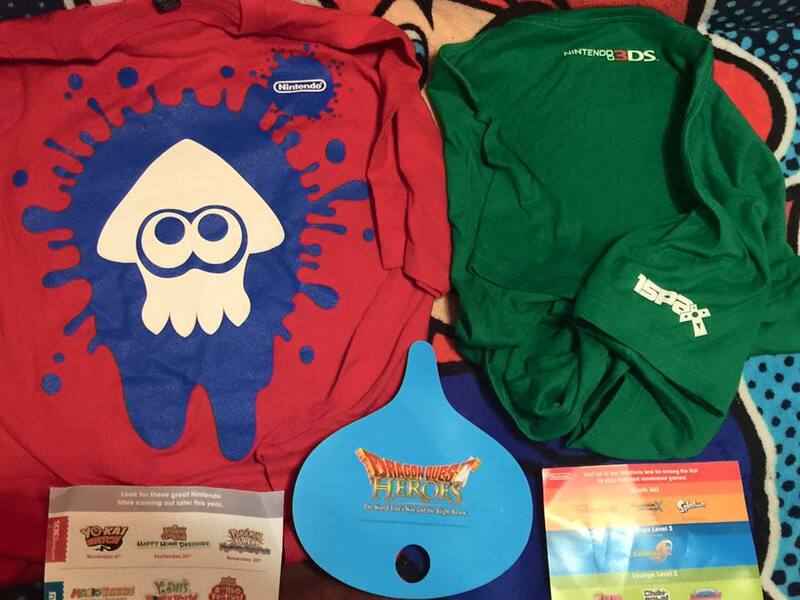 Pax Prime has come and gone and as always there were freebies all around! 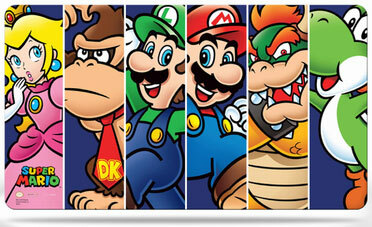 Nintendo was no slouch there! 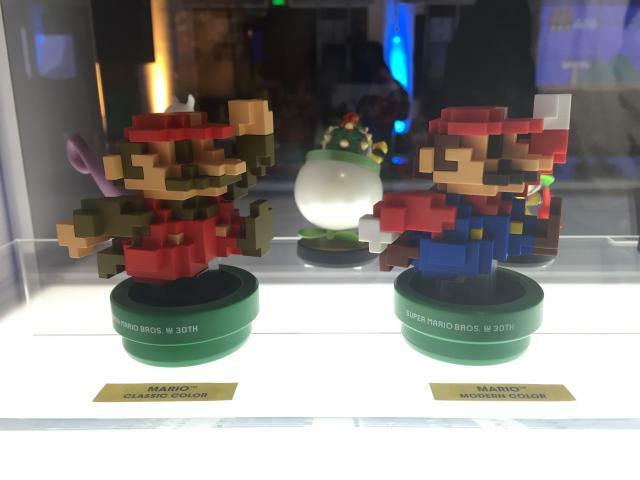 For playing Super Mario Maker, you were given a random pin for playing such as the ones given out at E3 2015. We were given the Goomba and ParaGoomba stack pin! 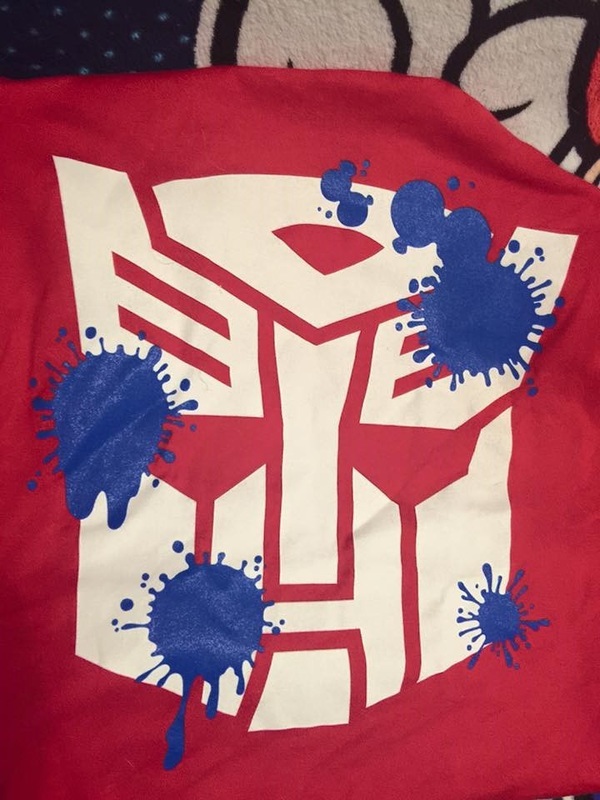 If you were lucky enough to get in line on day 2 while Splatfest was going on, you were given a free Transformers Splatfest tee of either Decepticons or Autobots as seen above. The line was capped off to receive the shirt so you had to get there early! 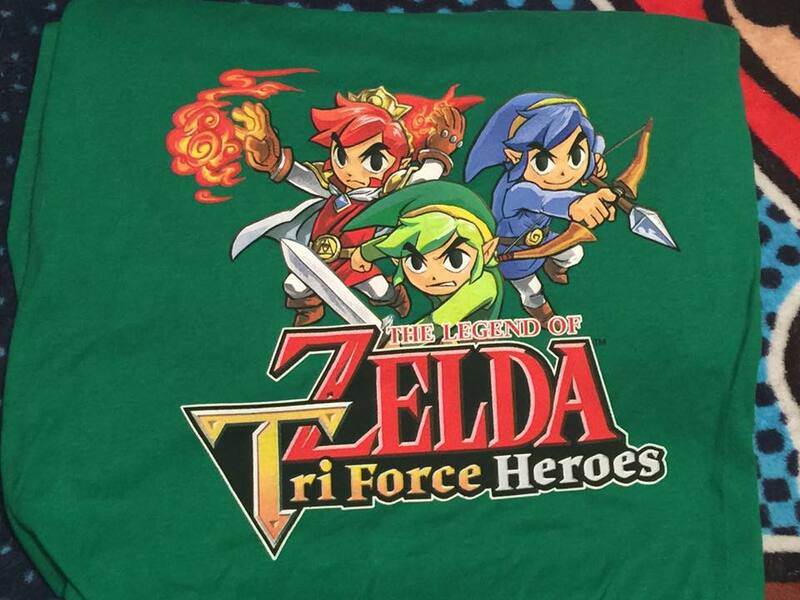 For playing the Legend of Zelda: Triforce Heroes, you were given this awesome t-shirt featuring the 3 playable Links in the game! Which one do you guys want most? 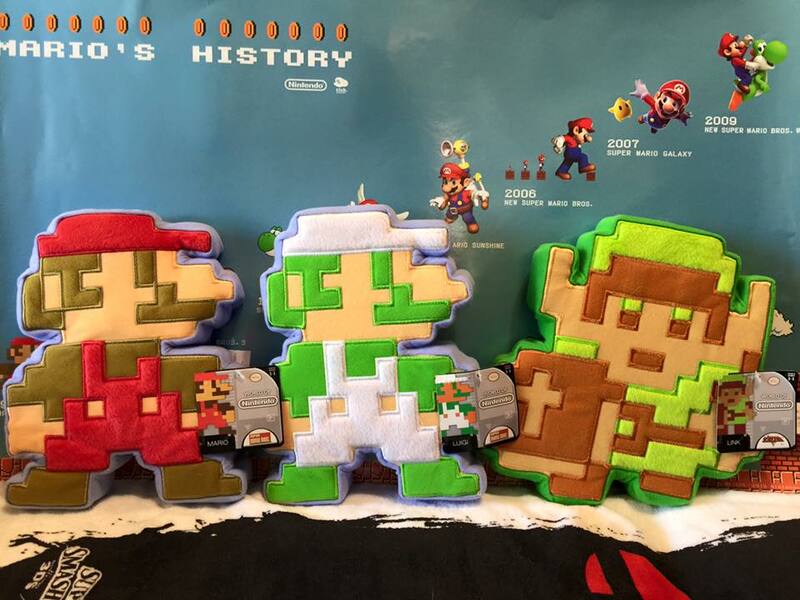 Jakks Pacific has released a new set of 3 8-bit style plush which include Mario, Luigi and Link! 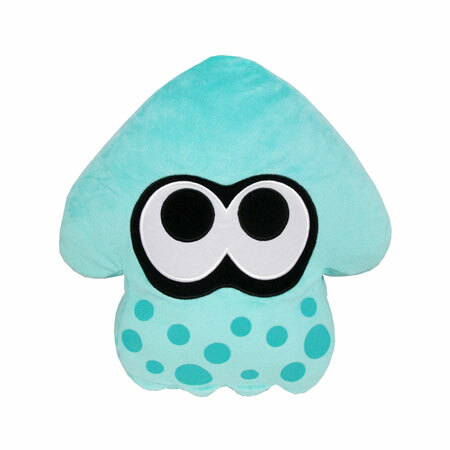 Each plush is filled with a firm foam to retain shape with a set background color stitched all the way around to the back. Some of the stitching can vary in quality as seen by the side shot above. 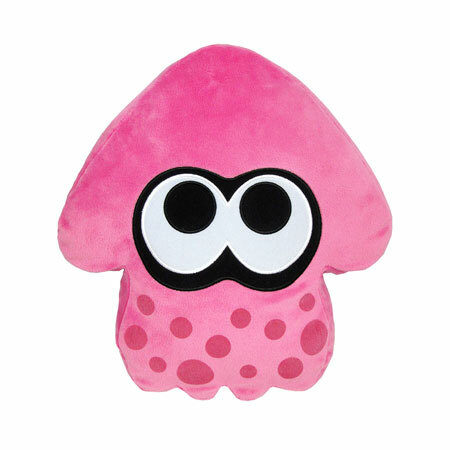 Each box of these in stores come with 2 of each plush per box. 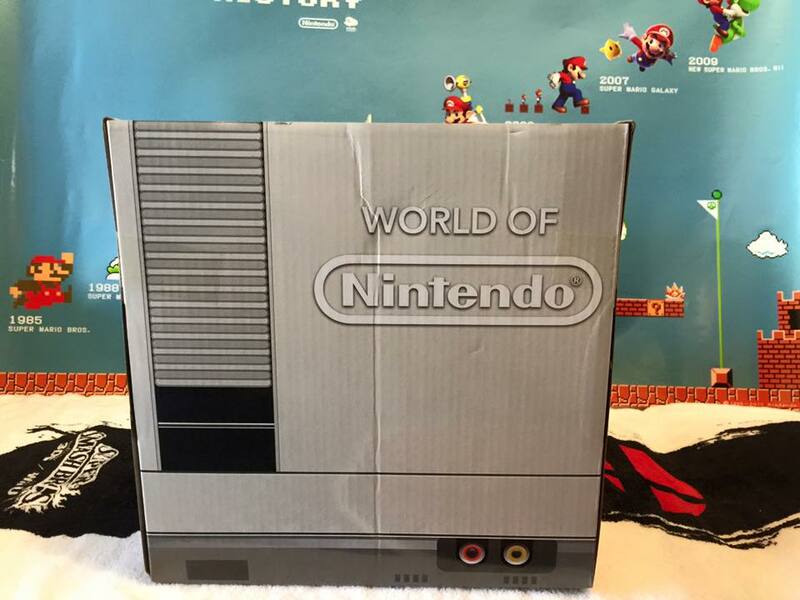 The box itself is designed to look like an NES which is a really cool design choice and makes for a cool retro display! 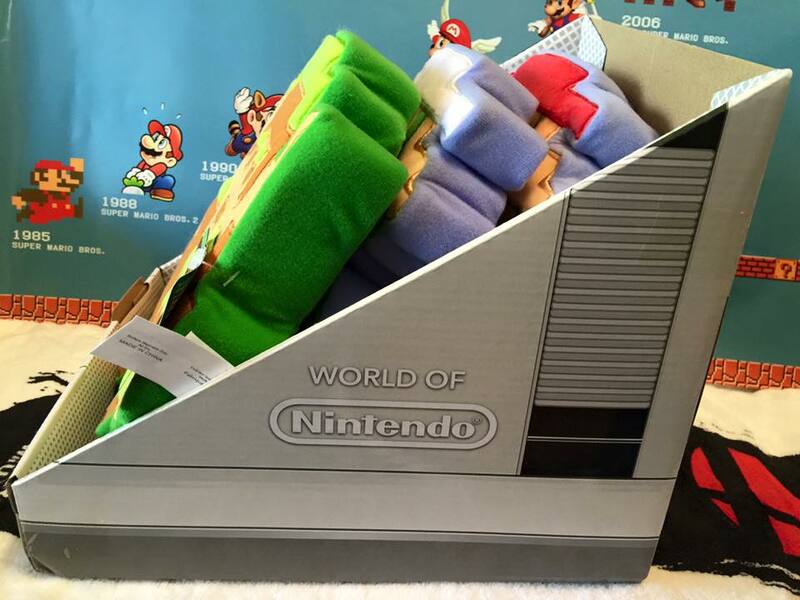 The box makes a great storage for NES games and with these plush, you will be able to make some really cool retro style setups! They look great in any collection! 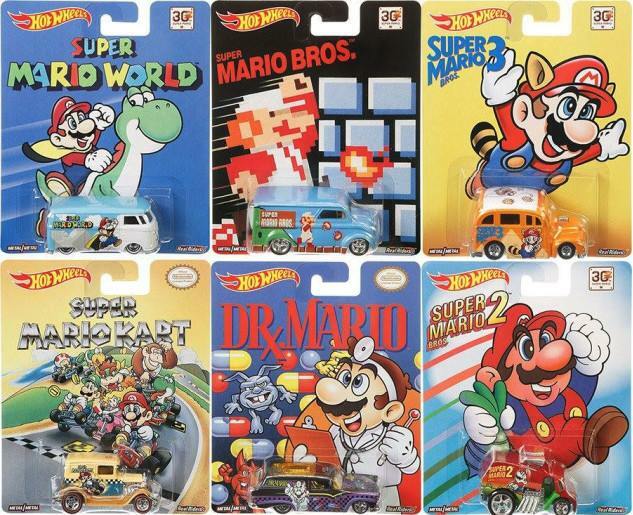 If you would like to purchase your own, they can be found at Toys R Us stores in the NES box above and come 2 each to a box. 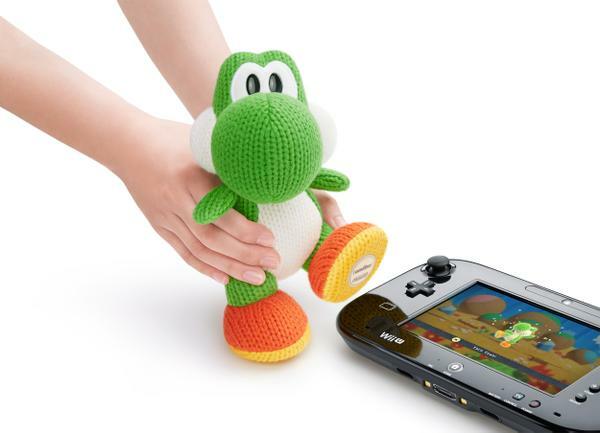 Nintendo of America has tweeted today this giant Yarn Yoshi Amiibo set to release 11-15 and cost $39.99. Will you be getting this giant dino? 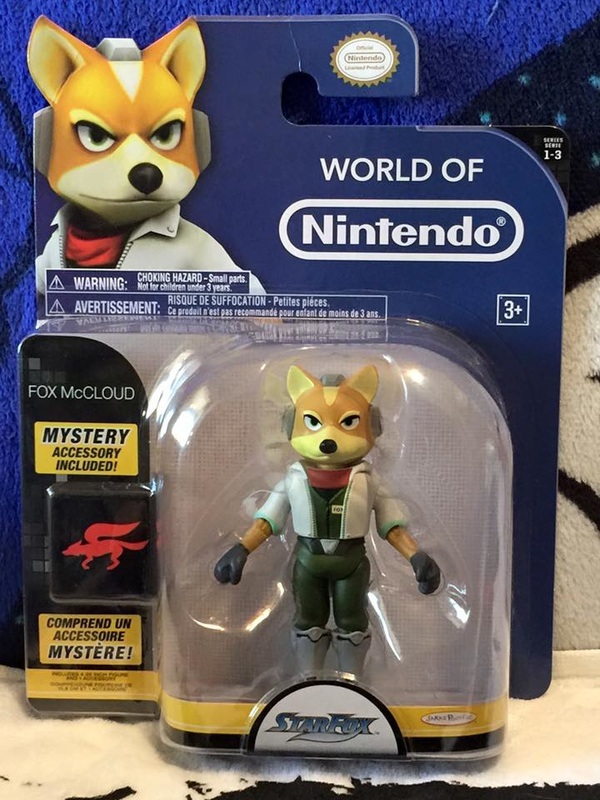 Series 1-3 of the World of Nintendo figure sets have released bringing us the much loved and needed Fox Mccloud figure! 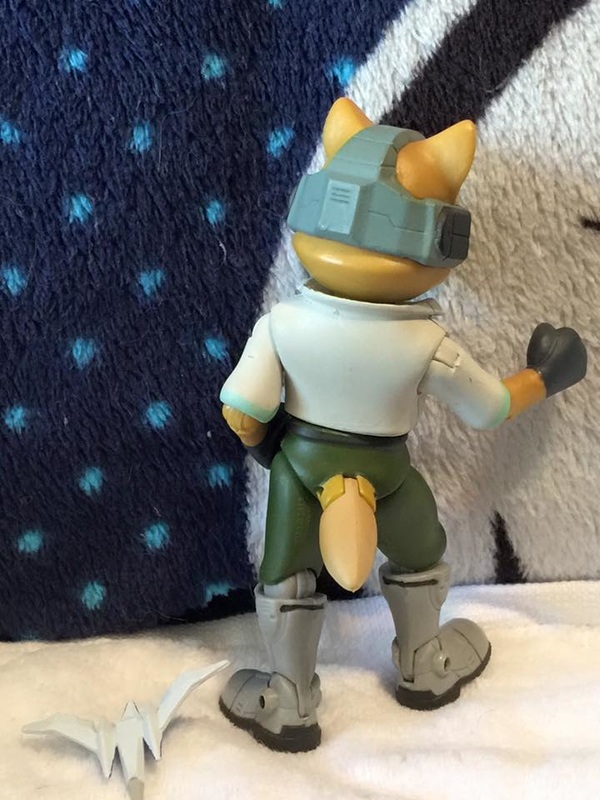 Fox has articulation in his legs, knees, ankles, shoulders, elbows, head, as well as hit tail being able to move up and down. The paint job on this figure is pretty good with only a couple minor nonmatching colors coinciding next to each other but hardly noticeable! 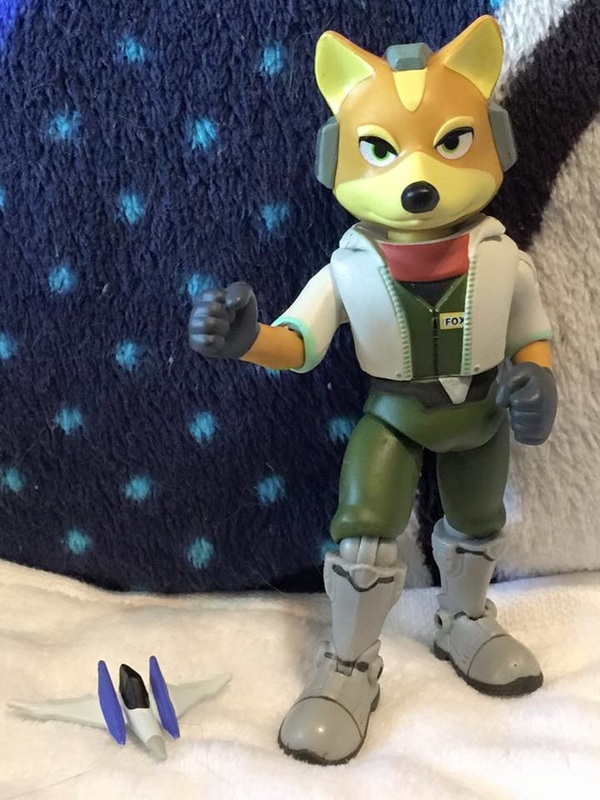 Fox comes with a tiny trademark Arwing ship that resembles what it is supposed to be but were a little sad that we don't have a large version of one or one for Fox here to pilot himself! 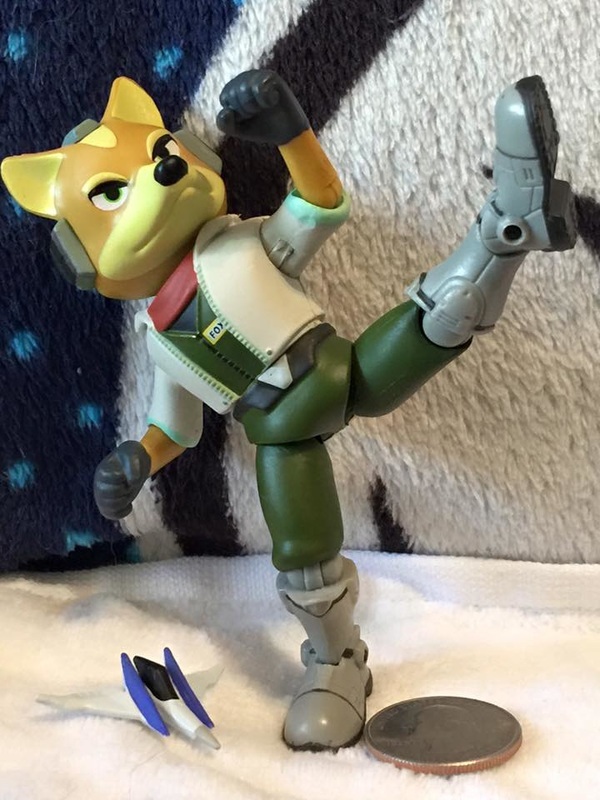 You can do some cool Super Smash Bros. and fighting poses with this figure. 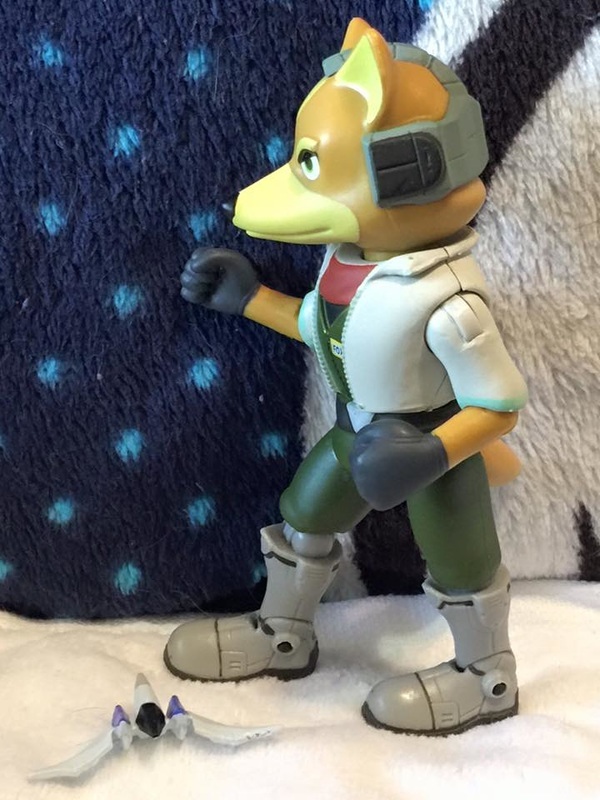 Fox does not come with a blaster or hands to hold anything with. 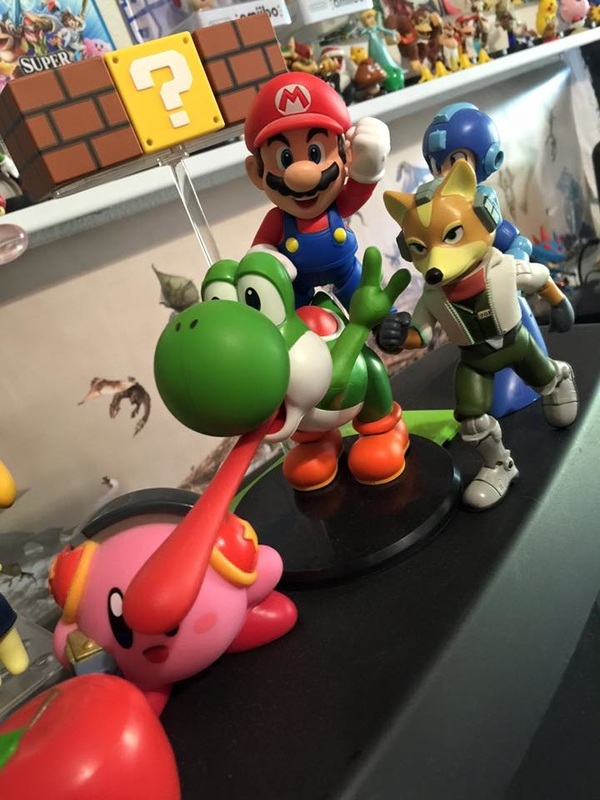 Sizewise, Fox looks great among other characters his size and is always showing off his readiness for a fight! 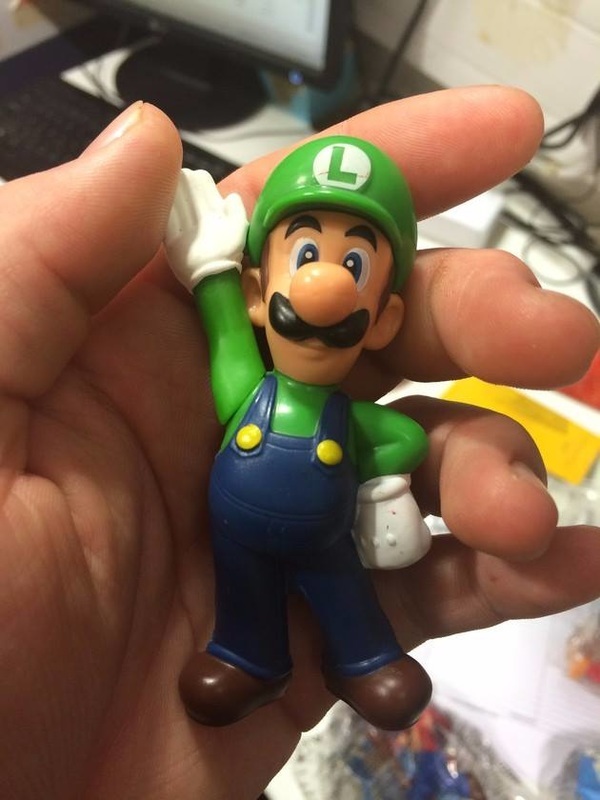 If you would like to purchase your own, he can be found at Kmart, Target and Toys R Us stores and is often seen as being 2 in a case of figures in this wave. 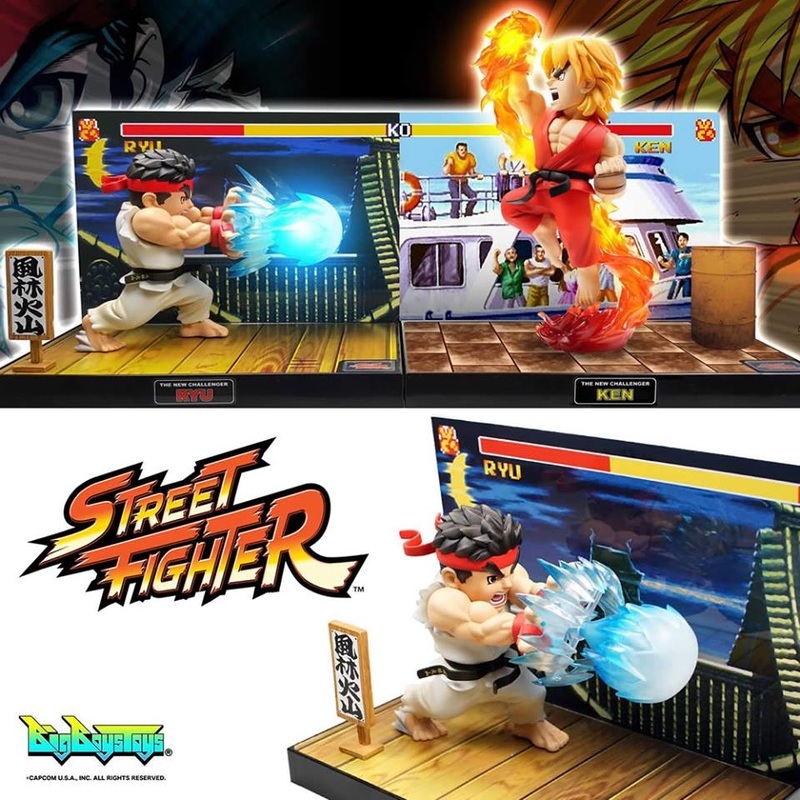 Street Fighter statues with sound and LED effects now available for preorder! 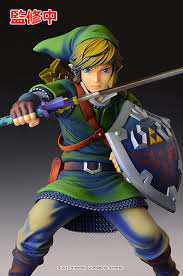 No preorder date on this amazing figure but we will keep you posted as soon as we know! 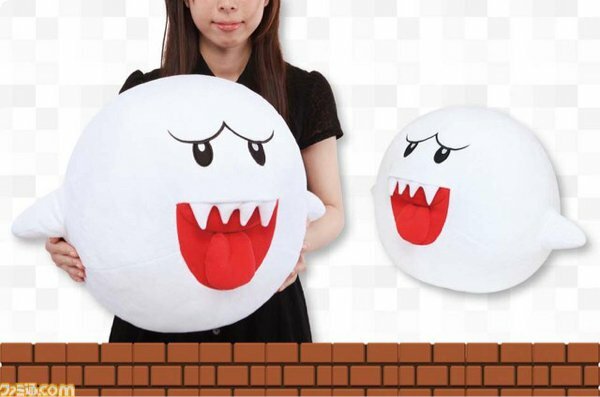 Taito is on a roll with Mario good coming out in the near future such as this new giant Boo plush, laying Yoshi plushies and the large Gold Mario celebrating the Super Mario 30th anniversary! Which ones will you get? 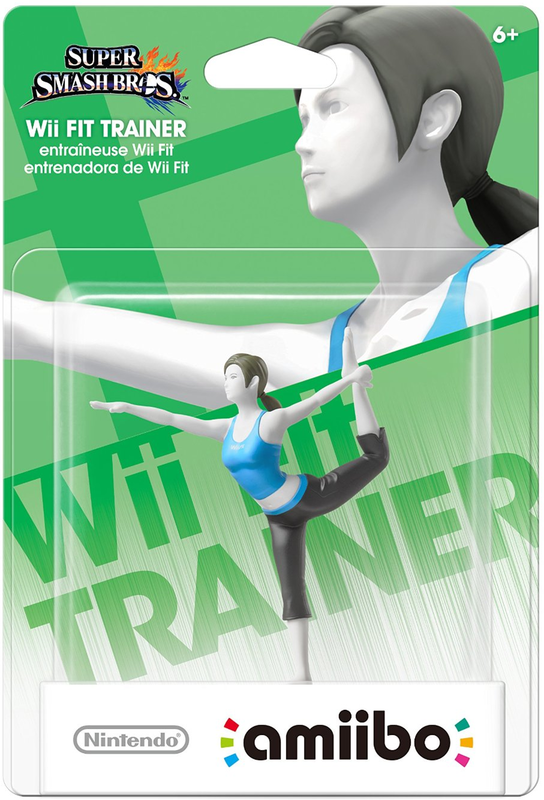 Wii Fit Trainer has been restocked today at local Toys R Us stores. Be sure to grab one ASAP! 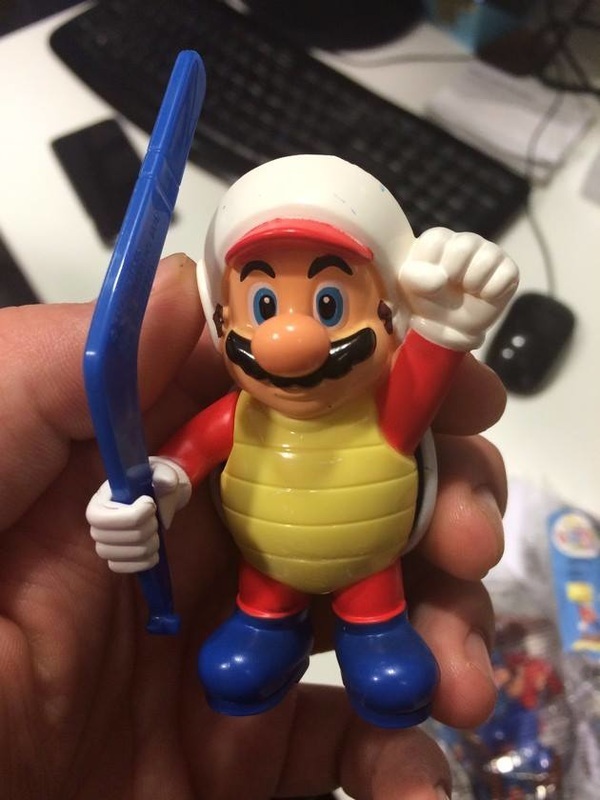 Be sure to check your local Mcdonalds later this month to pick up these awesome Super Mario Toys! No food purchase required. Good luck getting all the ones you want! 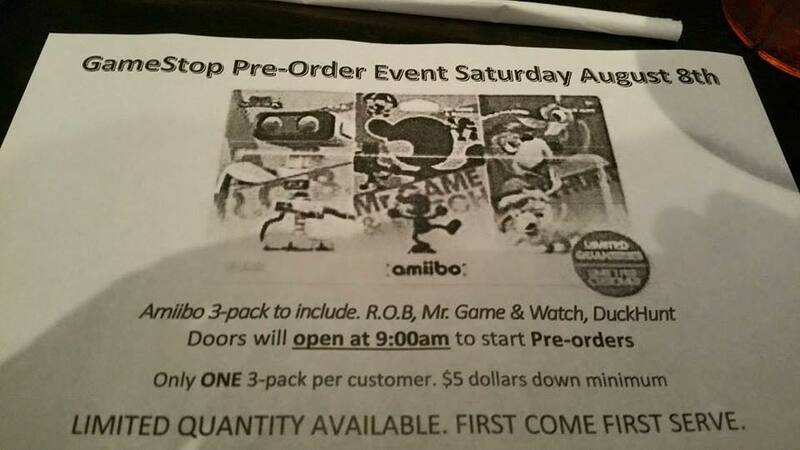 Gamestop will have their reservations up for the exclusive 3 classic 3 pack on Saturday 8-8-15 as well as some of the above but not sure exactly which ones yet. 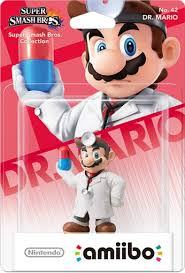 Zero Suit Samus, Olimar, 8Bit Mario, Bowser Jr., Dr. Mario and Ganondorf will be launching 9-11-15 which is the same day Super Mario Maker launches stateside! 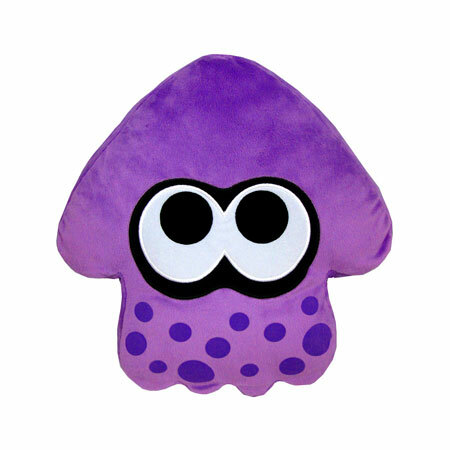 Coming this Octovber, you will be able to add 4 more Squid plush pillow colors to your collection including Blue, Purple, Turquoise and Pink! 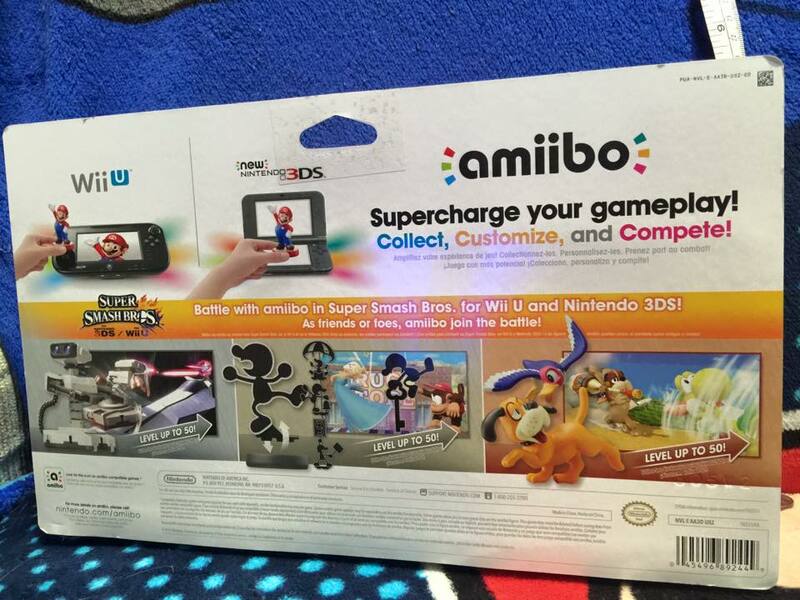 Will you be camping out to get one of these 3packs? 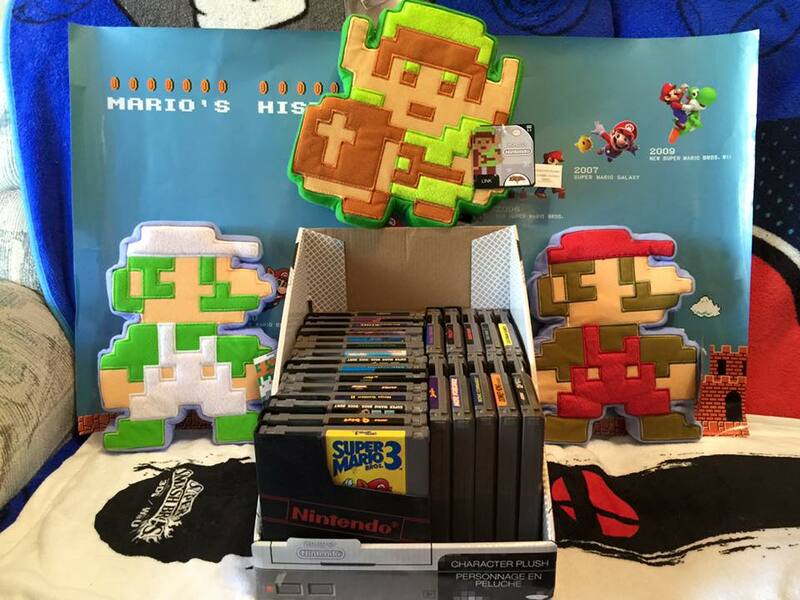 Todays Collectors Spotlight we're sharing the Wonderful collection of Jeffrey Taylor and his massive Pikmin collection and Super Mario 64 Goods! JT: One of my first video games was Super Mario 64. As a kid I would spend hours designing worlds in my head like the ones featured in the game, and I always wished I could create them in reality as well. I attempted to with Legos, but was never able to accomplish what I wanted. When I got older and saw there were more accurate ways to achieve this goal I started collecting video game memorabilia. My favorite game at the time was Pikmin 2, which had a world I liked even more than Super Mario 64, and that was the world I sought to replicate for quite a long time. CS: Favorite and first item? I don't recall my first item. 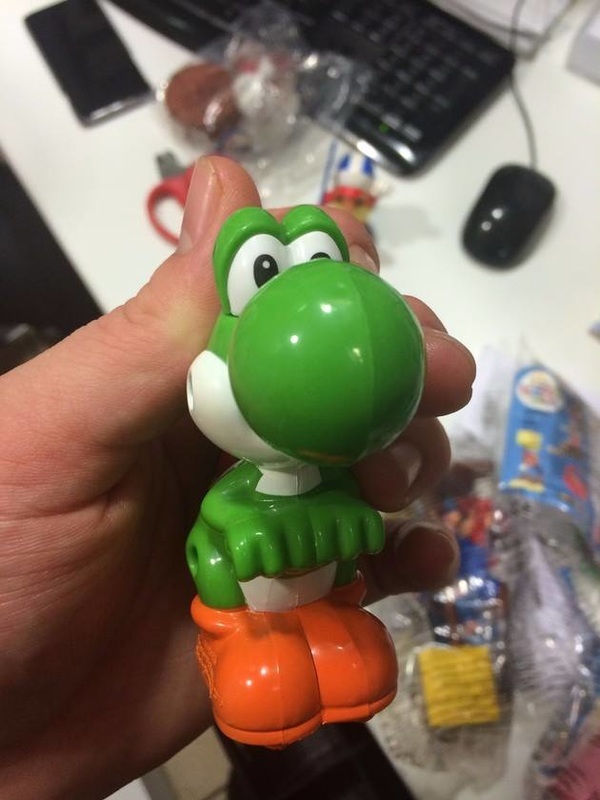 When I first started collecting I bought a lot of fake items from China on eBay because they were cheap. It wasn't until later when a friend introduced me to a forum for collectors of video game memorabilia called Video Game Memorabilia Museum (http://www.videogamemm.com/forums/index.php) that I realized the items I had weren't authentic, and I started to collect official items. 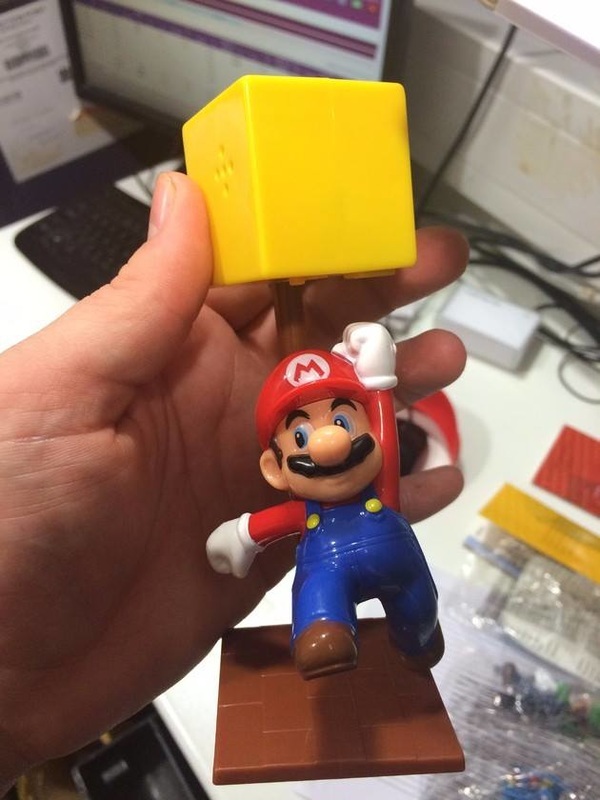 My favorite item is my Super Mario 64 Adventure Playset. 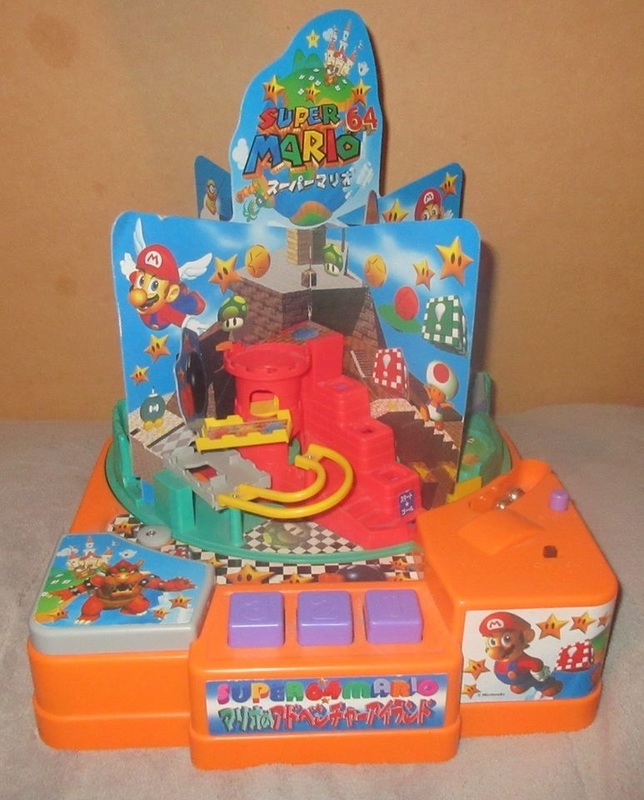 I got it from Yahoo Japan Auctions, (Basically the Japanese eBay) and it's a motorized marble game featuring locations from Super Mario 64. It was broken when I received it, but I was able to fix it myself. It's very cool, very loud, and extremely hard to find outside of Japan. 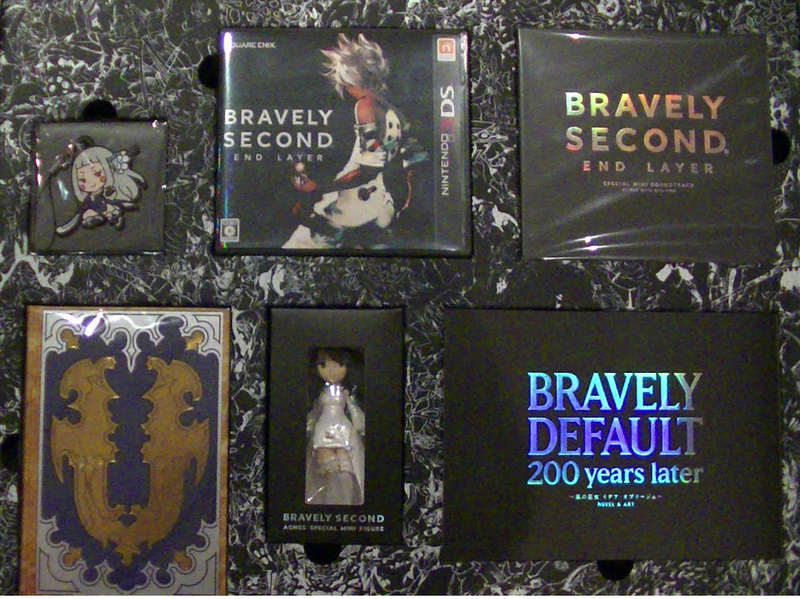 CS:What types of memorabilia do you collect, and from what video game franchises? 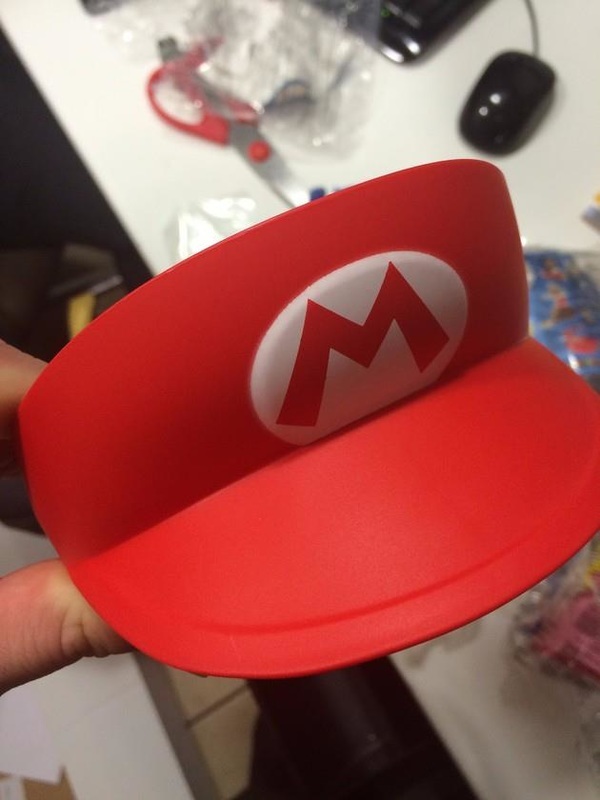 JT: Originally I got whatever I could afford, although it was mainly just Mario items. 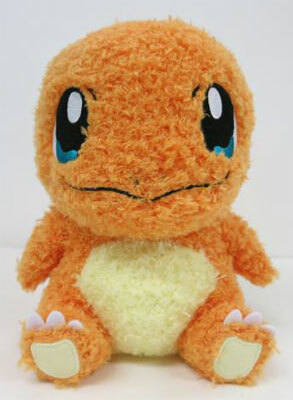 I mostly get figures and plushes, preferably figures, as I feel they have the most likeness to the in-game characters. 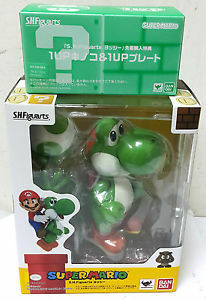 While I expanded to many more franchises than Mario over the years, I've sold the majority of my collection to pay bills and other necesseties. The only items I have now are from my favorite games, and the franchise I have the most items from is Pikmin. Pikmin 2 has one of my favorite settings of any game I've played, and I was able to create a diorama that fulfilled my initial dream of replicating the settings of games that I had when I was a kid. While I couldn't recreate a location from the game, I was able to create a battle that would be realistically possible in the game. 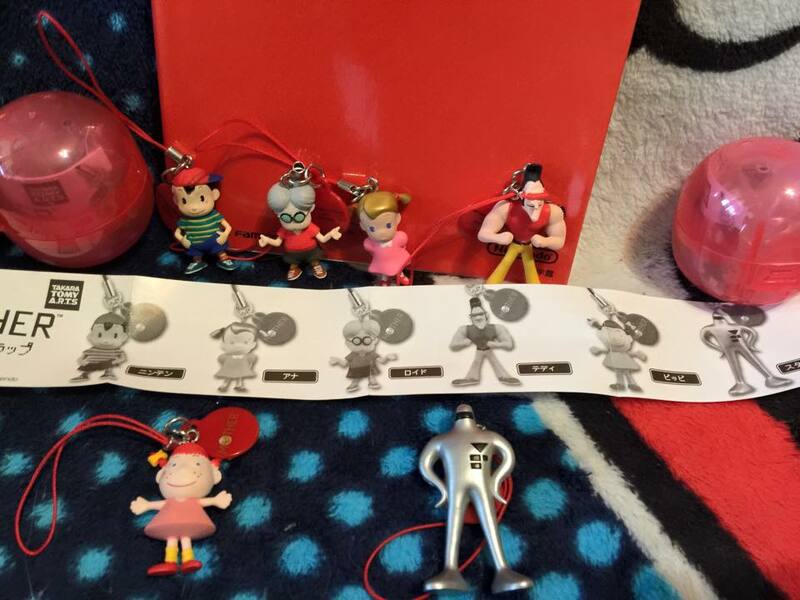 CS: Where did you get all your Pikmin memorabilia, and what would you say that it's worth? JT: The vast majority is from Japan, from Yahoo Japan Auctions, the website I mentioned earlier. I spent a couple hundred of dollars to acquire the 100 or so figures I have now, which is much less than they go for outside of Japan. 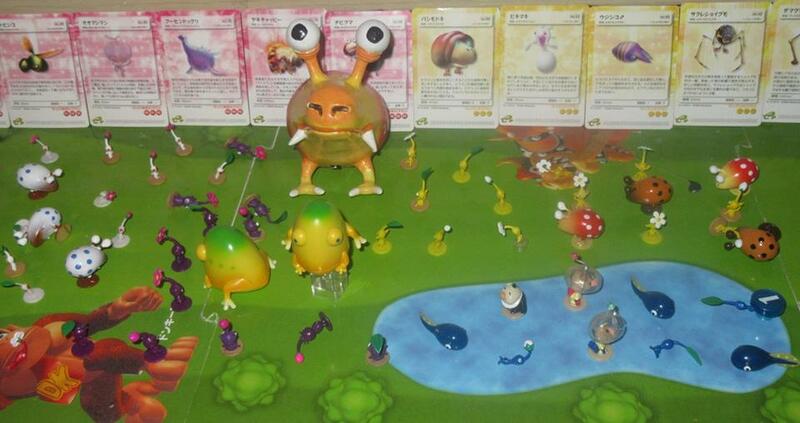 I've sold some Pikmin figures on eBay for $5 a piece, but the enemy figures can go for $30 or more, along with the Captains. 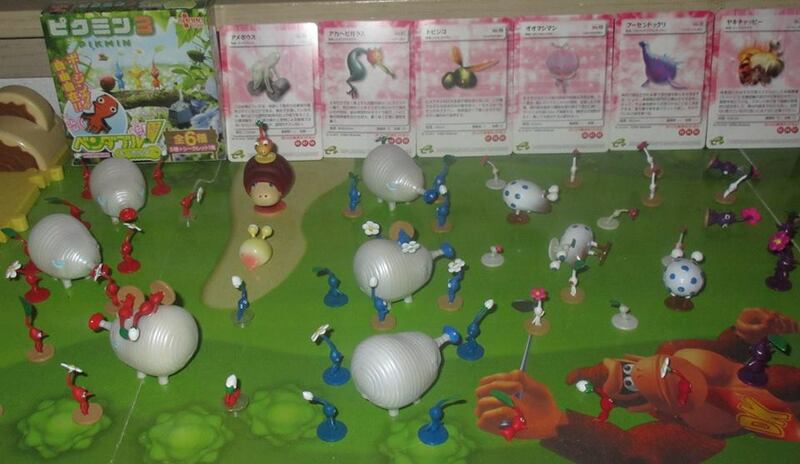 I would value my Pikmin collection around $750. JT: I think the coolest thing about collecting is that it's a way to have tangible items of intangible things. While I rarely purchase items anymore, it's a really great feeling to play an amazing game and be able to buy something that reminds you of it every time you look at it. If you are interested in checking out more of Jeff's content, his YouTube account is WiseWarrior3! 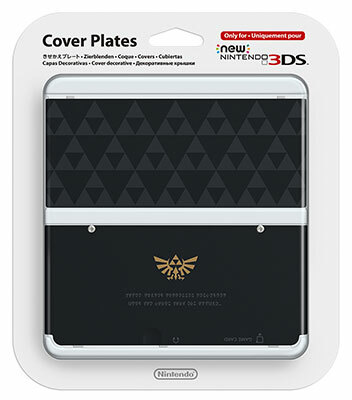 If you own a regular New 3DS System, these Legend of Zelda themed Face plates are available to purchased to customize your system! The lineup is as follows! Dairy Delivery -Super Mario Bros. Available everywhere Hot Wheels are sold this October! 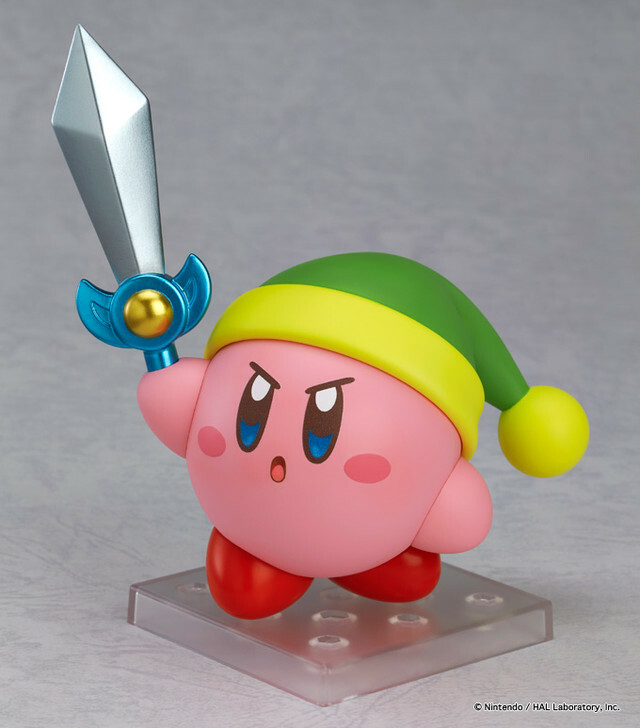 Here's hoping Kirby has multiple faceplates and excellent articulation! 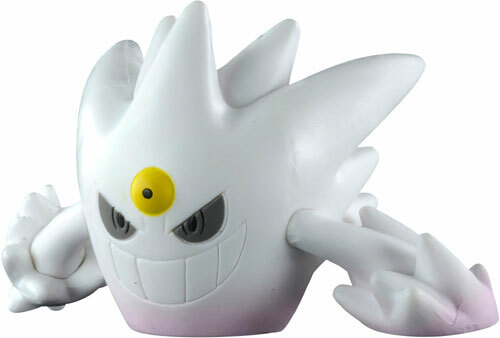 N is set to release 11-15 and comes with Reshiram! 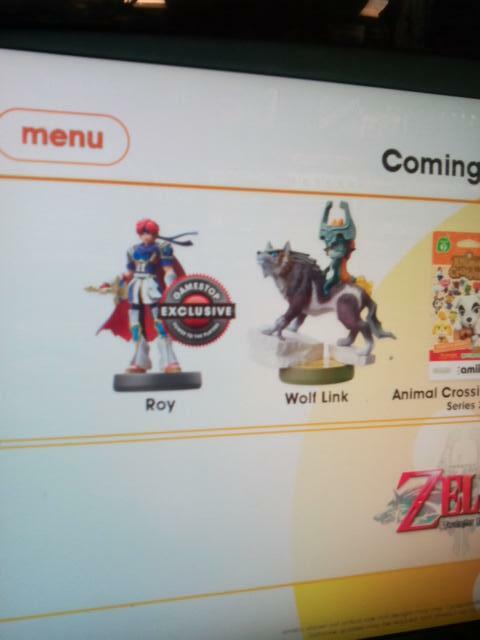 No release dates yet for any of these other than N but its super exciting to see the variety on the way! They look fantastic! More details to come in the future! 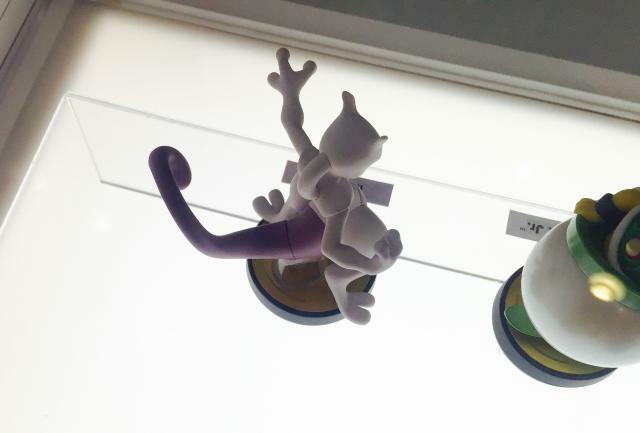 We're looking forward to the eventual James and Meowth figure to come too! No release date yet but stay tuned! 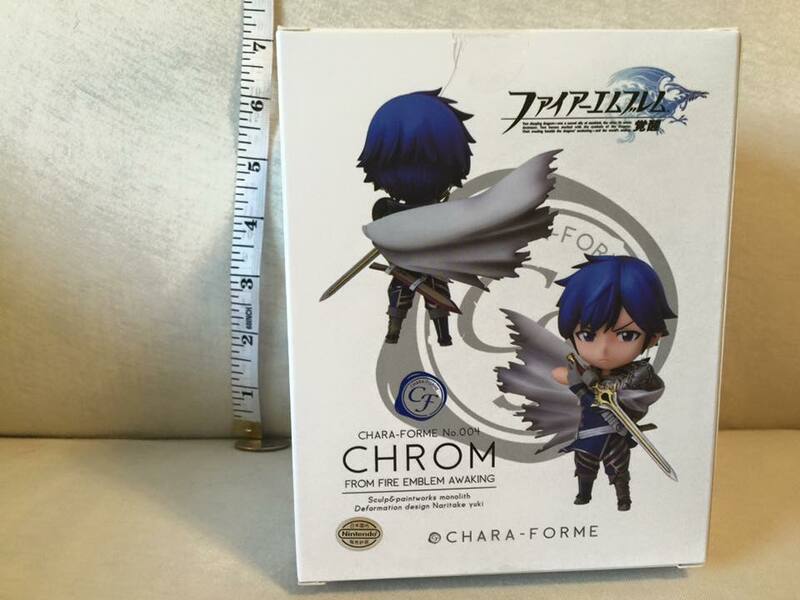 The Chara-Forme line figures is proud to present Fire Emblem Awakening's Chrom! 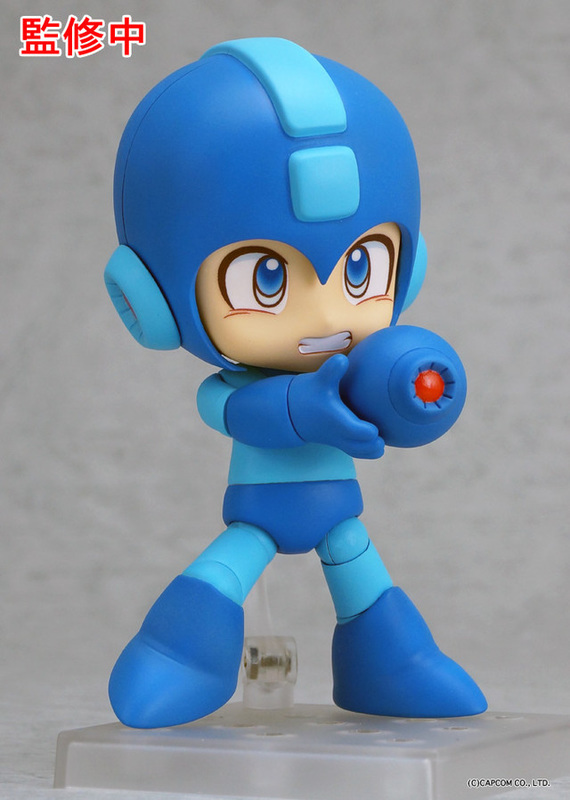 Sculpted by Monolith, this chibi figure is reminiscent of a Nendoroid figure. 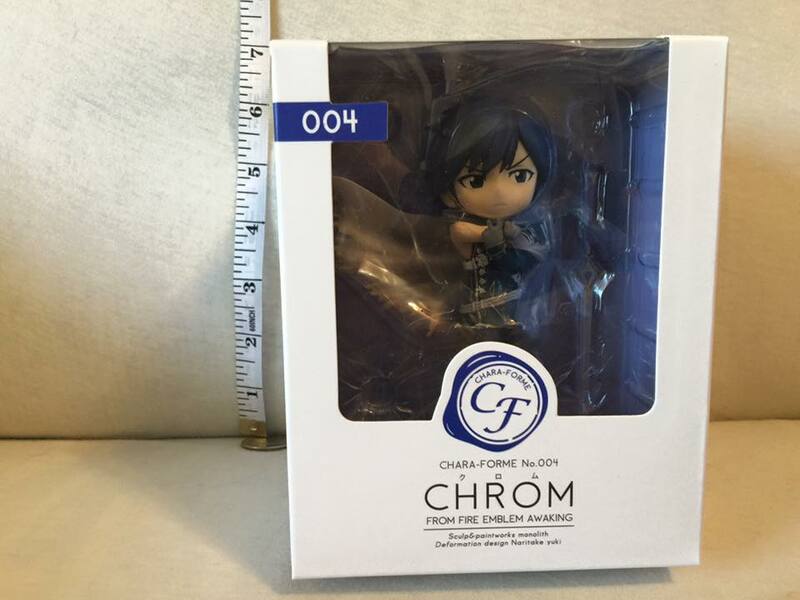 Chrom come with a detachable Falchion sword as well as a removable base. 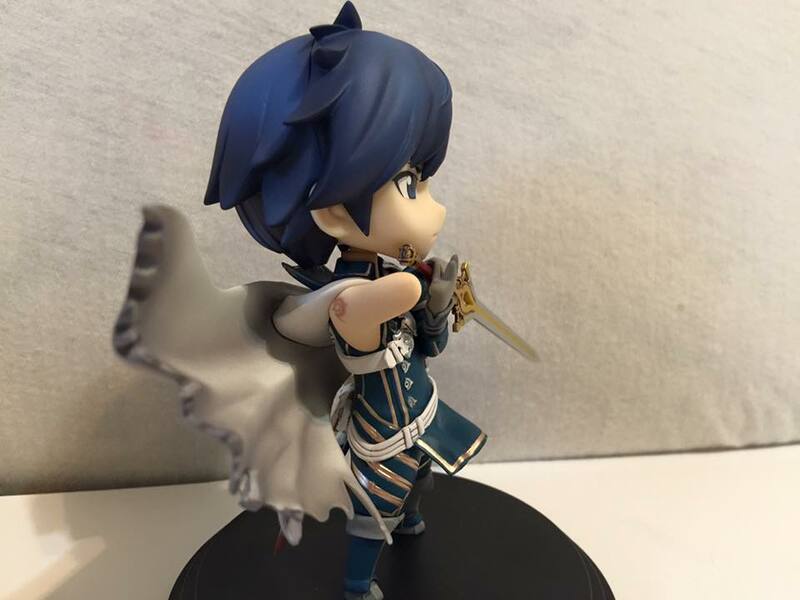 Chrom's articulation is limited to only his head which has be turned in any direction. 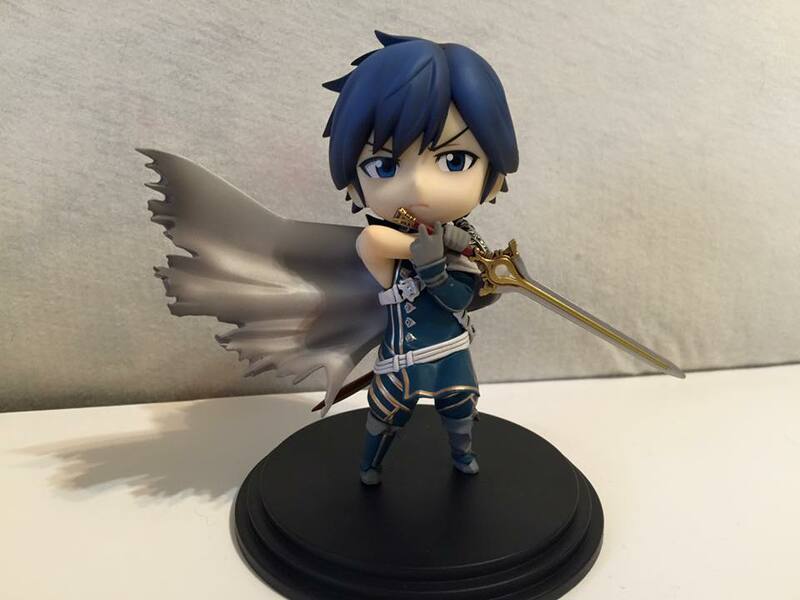 While there there are not any other current Fire Emblem Awakening figures of this size, Chrom looks great amongst other Nendoroid figures. 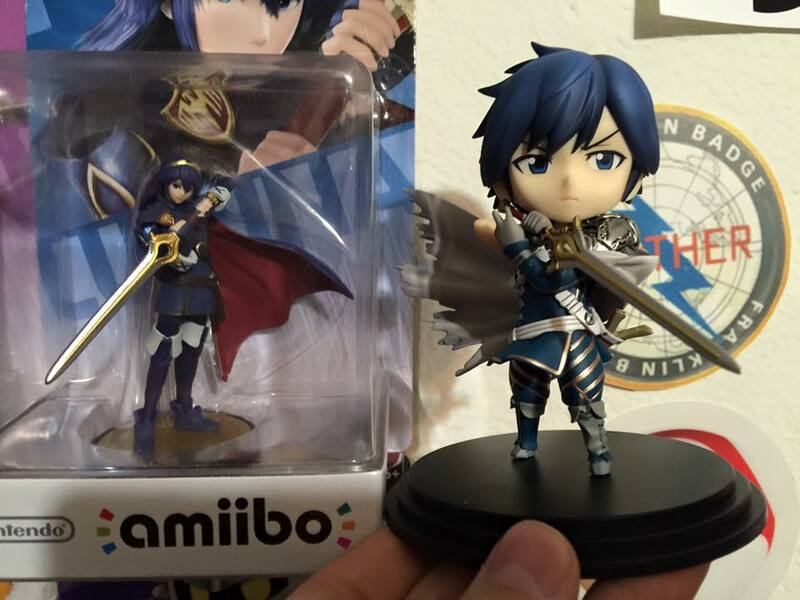 He dwarves his daughter Lucina here but its nice that they both finally have figures! 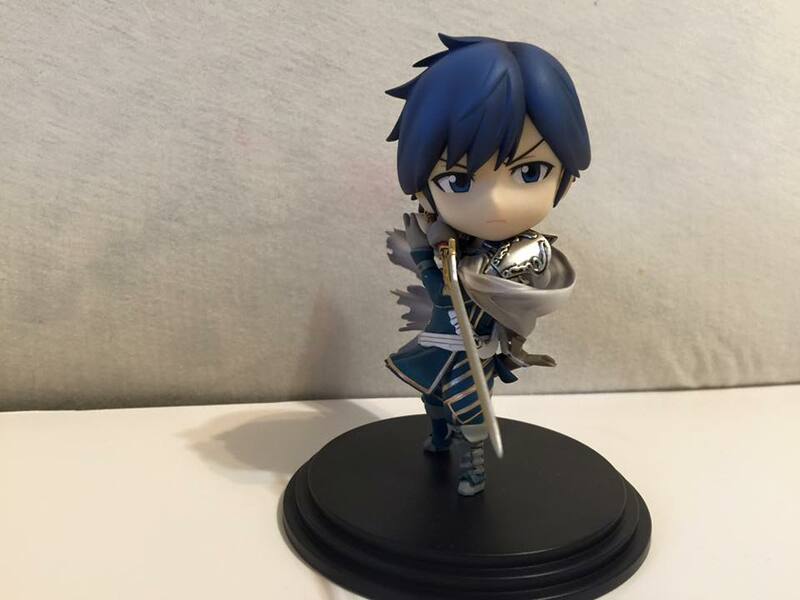 Chrom is ready to lead the charge against enemy forces! 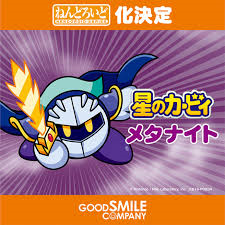 Here's hoping he can be among playable characters in Smash Bros. someday! 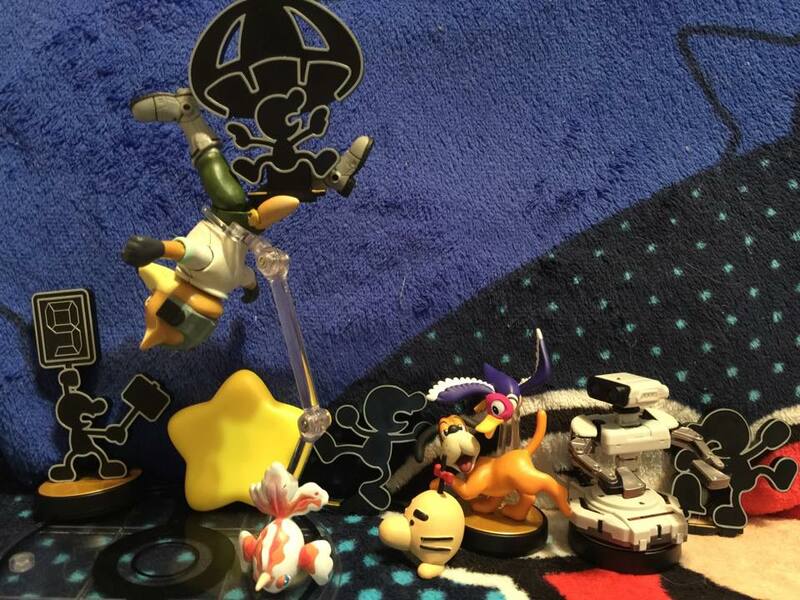 Wishful Smash Bros. thinking with these shots here! 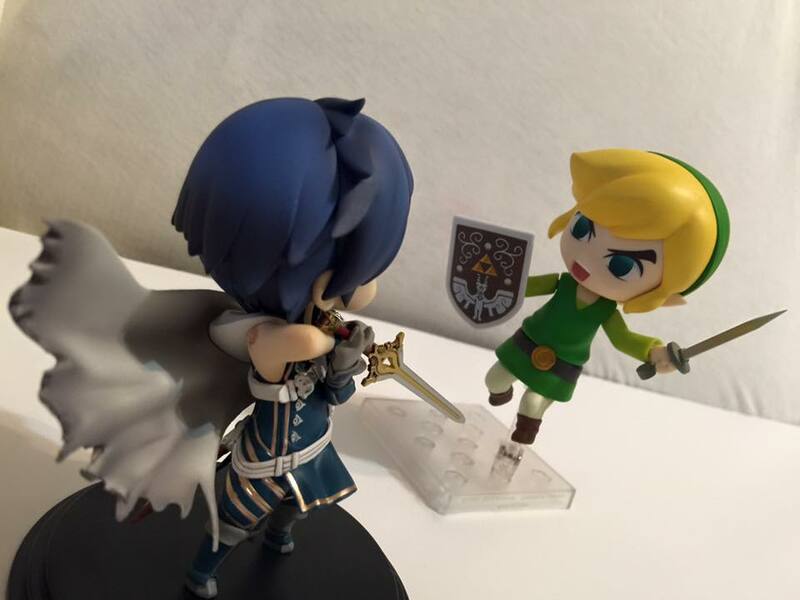 A good ol fashioned Sword fight against Toon Link! 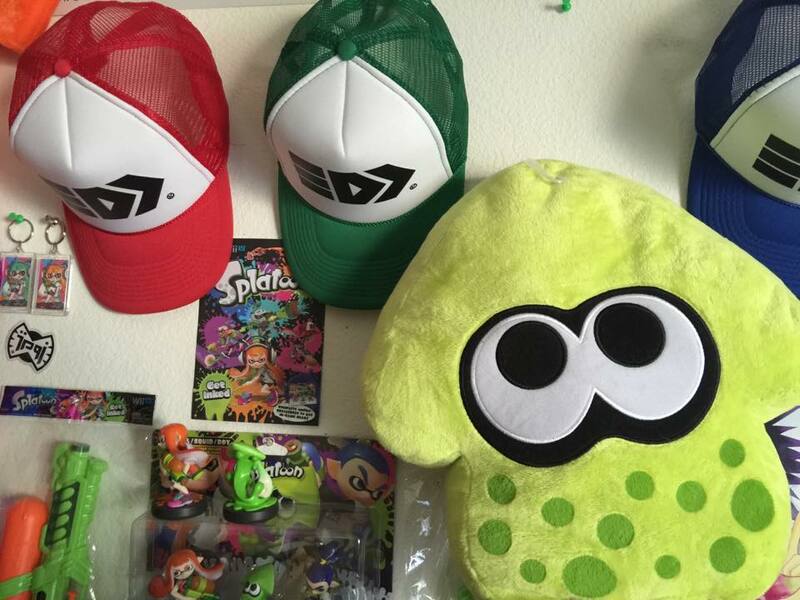 Welcome to the Collectors Spotlight where we share the spotlight on amazing fans who collect gaming memorabilia and show their passion for the series they love! 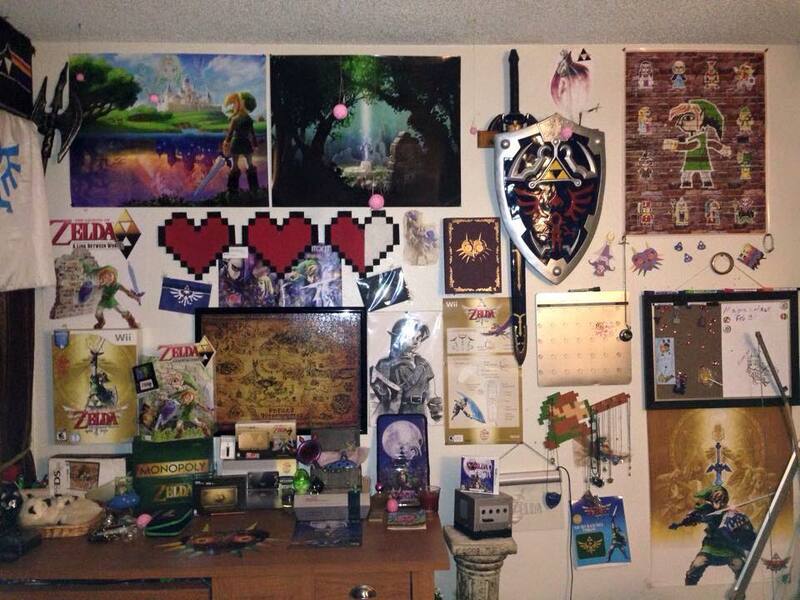 This section came about due to my love of gaming merch and the fondness of others who share the same passion I do! 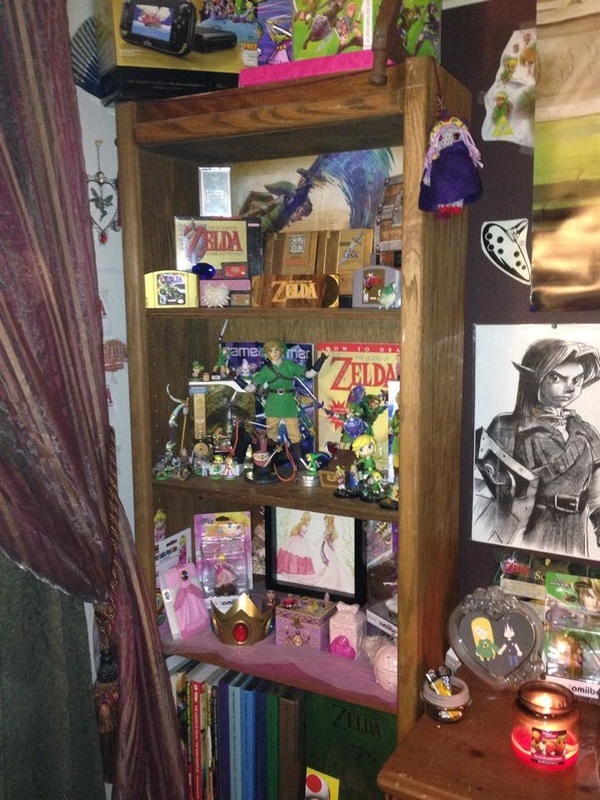 Today we share the Spotlight on Rhiannon Winkler of Fourswordsgreen and her amazing collection of Legend of Zelda and Princess Peach goods! 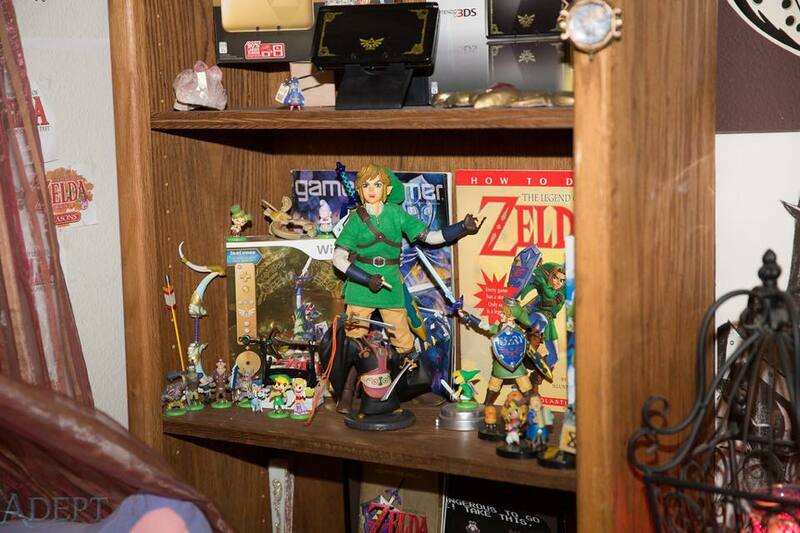 Rhiannon started collecting when she was about 11 and is 19 now! The first item she added to her collection was a green Zelda jacket that she got for Christmas and still has to this day! 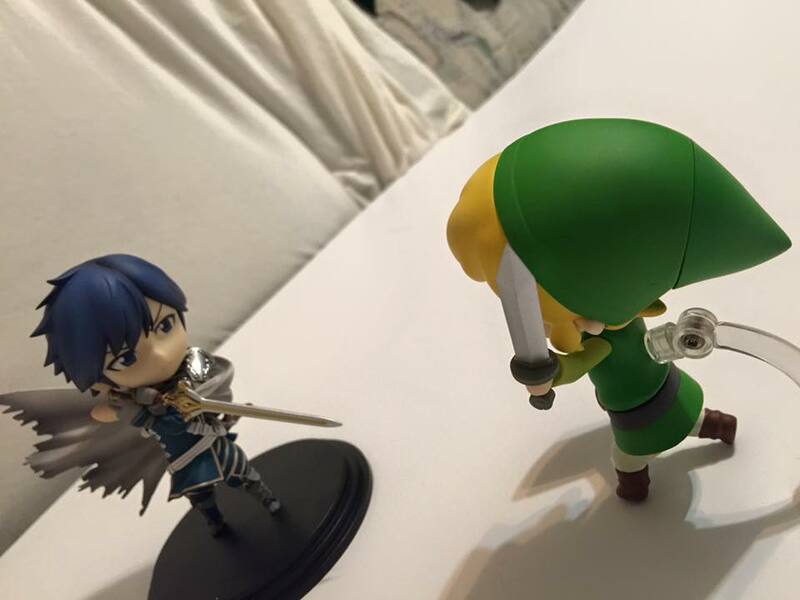 It's always tough for a collector to chose their favorite item in their collection but she feels that would have to be her Ocarina of Time adult Link plushie as it was the second thing ever added to the collection and she loves him to pieces! Rhiannon looks forward to adding more figures to the collection such as the ones previously missed out on. 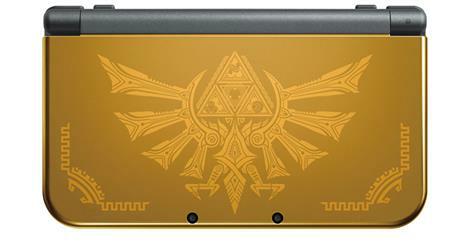 The thing that would just top everything for her would be if Shigeru Miyamoto himself signed her Majoras Mask 3DS. She even met Eiji Aonuma at the Legend of Zelda 25th anniversary concert and was so awestruck that she shook his hand for a minute straight because he complemented her dress. What an honor that is! 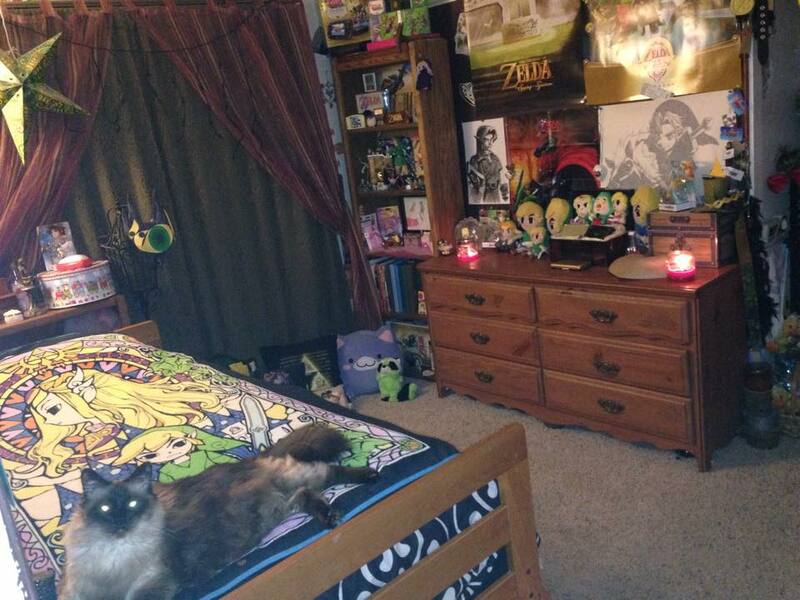 The Wind Waker Throw blanket is her favorite bed decoration due to its amazing beautiful design and style! We couldn't agree more! Rhiannon has The Legend of Zelda: Triforce Heroes for the 3DS preordered which is awesome as its shaping up to be an amazing game! 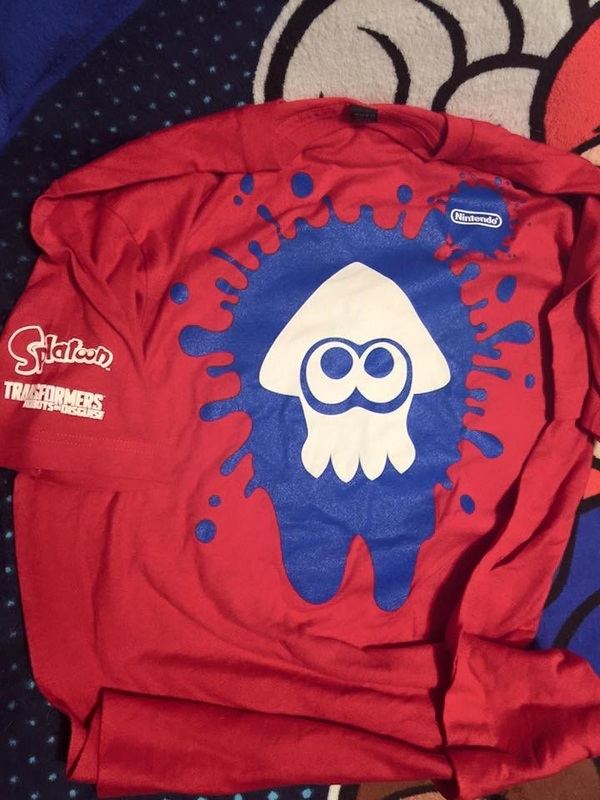 Here's hoping it gets some amazing merch to go along with it that fans can cherish for years to come! 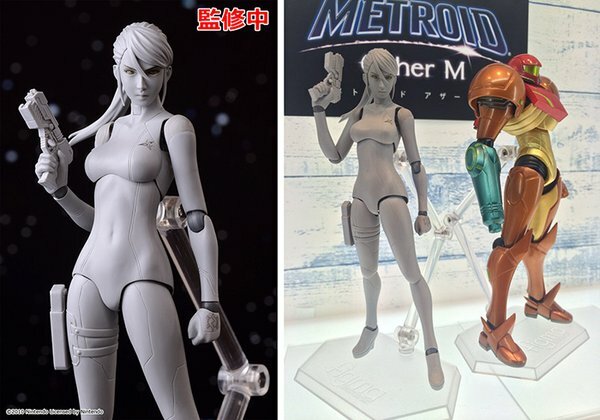 These 2 figures are newly available for preorder on amiami.com and release in July and August respectively! New!! 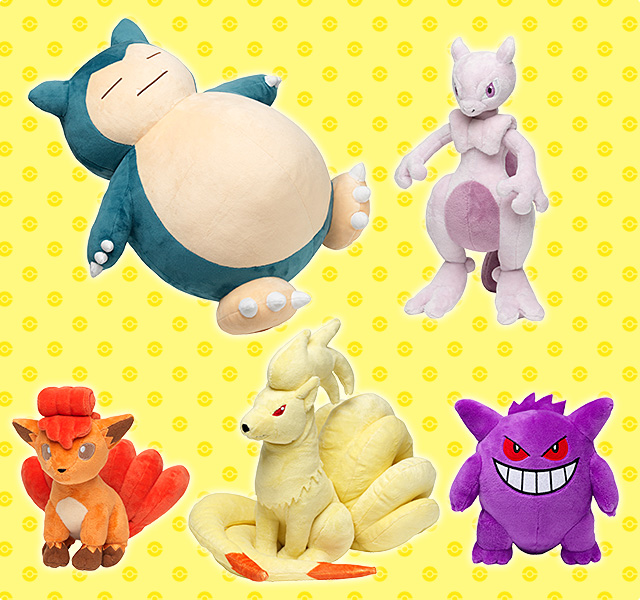 Pokémon Center Snorlax Mewtwo Vulpix Ninetales and Gengar plush Released! 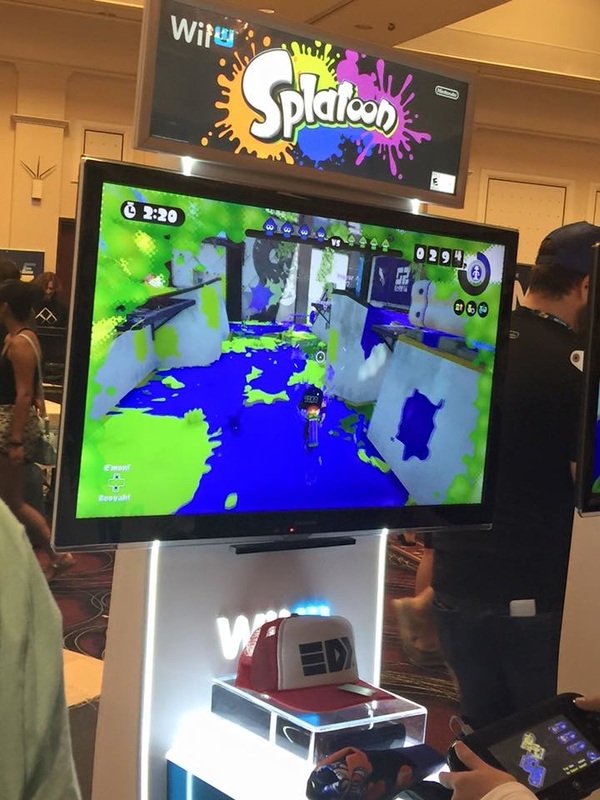 Today and tomorrow at the Evo Fighting game Championships in Las Vegas Nevada, if you go to Nintendo's Splatoon booth and play a 4v4 Turf War and Win 2/3 of your matches, you and your team will each receive one free Splatoon Trucker hat in either Red,Blue, Green, or Pink. Your winning team of 4 will also each receive a raffle ticket. Good Luck everyone! 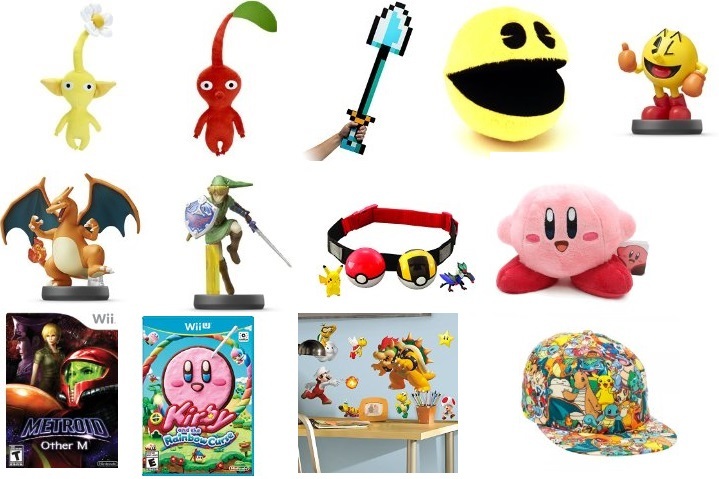 Today is Amazon Prime day on Amazon.com which for Amazon Prime members is featuring discounts on tons of games, Amiibo and other gaming merch! Best of luck in saving some money today! 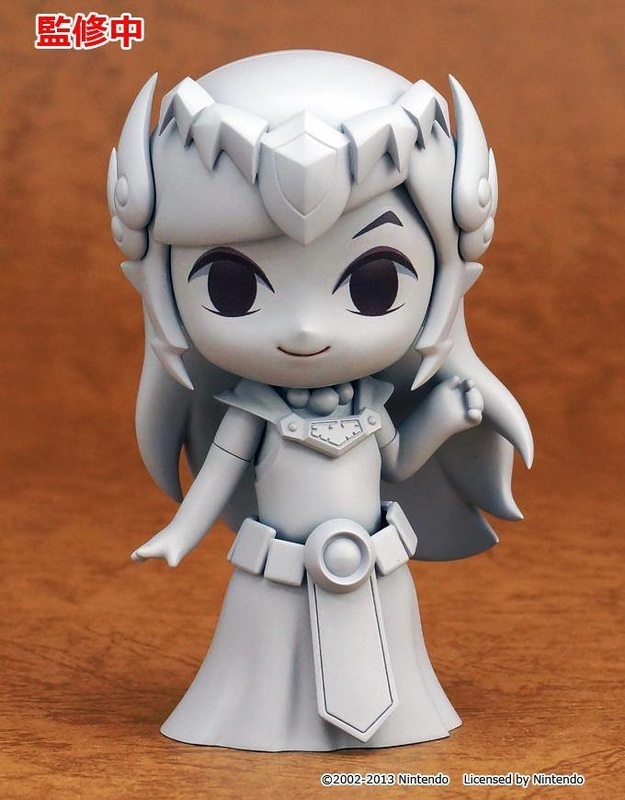 After yesterdays Amazon Amiibo news delay due to respecting Satoru Iwata's passing, Amazon USA has today revealed that the Palutena Amiibo will be exclusive to their site available for preorder at a set time on 7-24-15. 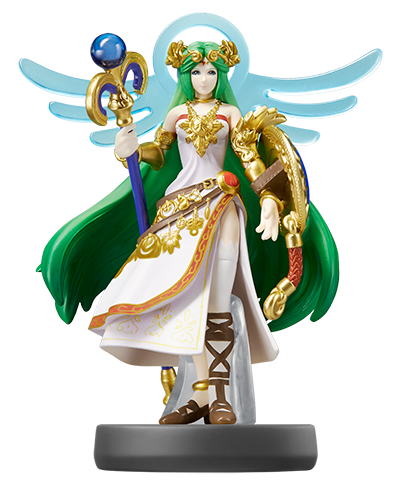 Additionally Amazon is reporting that will have more Palutena Amiibos than any other previously released Amiibo. 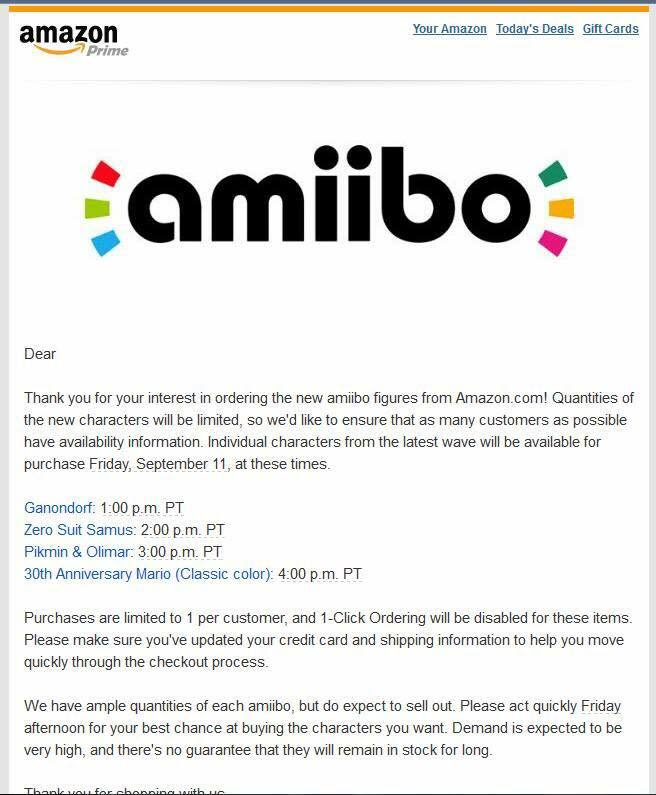 This preorder process will mimic that of the set times that Amazon used on 5-29-15 to preorder nonexclusive Wave 4 Amiibos. Dark Pit has also been given news by Best Buy that each store should receive around 100 of the store exclusive at each store which is great news! This past weekend at San Diego Comiccon, fan lines up at their favorite booths for a chance for free and exclusive merch! 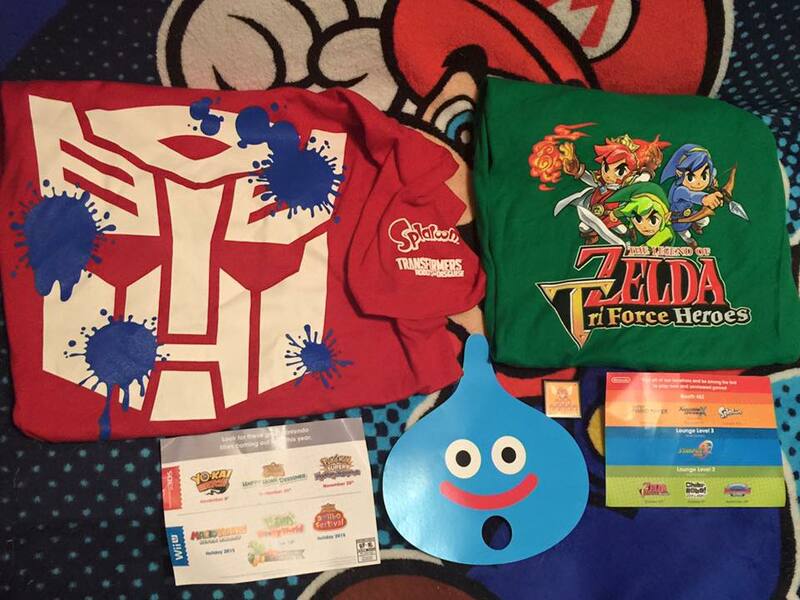 Starting from the top Left we have the Super Mario Bros. 30th Anniversary t-shirt given out for free by Nintendo. 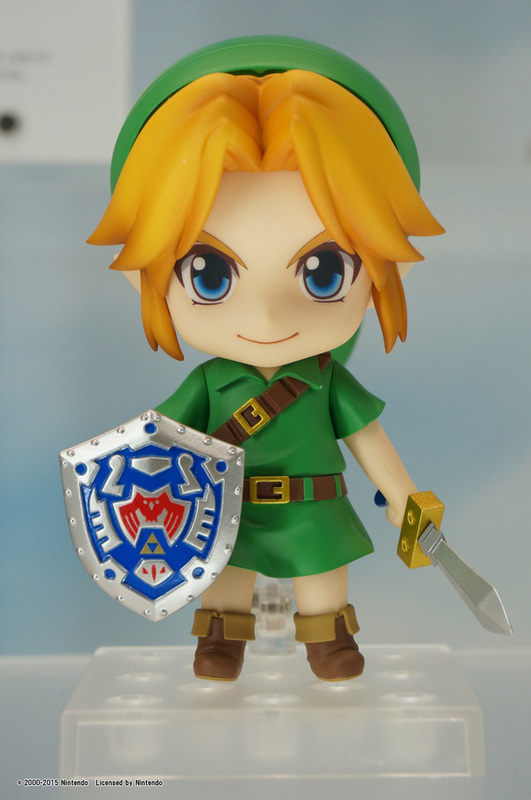 Fans were eager to line up for their chance to buy 1/1000 Entertainment Earth booth Exclusive Jakks Pacific 20" Link figures from the Legend of Zelda: Skyward Sword. 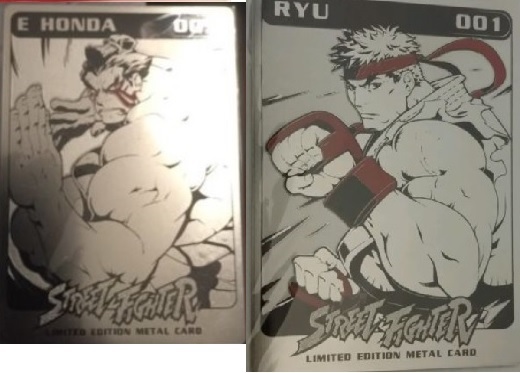 Capcom brought exclusives to sell including the Hardcover book of The Life and Death of Charlie Nash which is an awesome addition for Street Fighter fans collections since he will be returning in Street Fighter V! 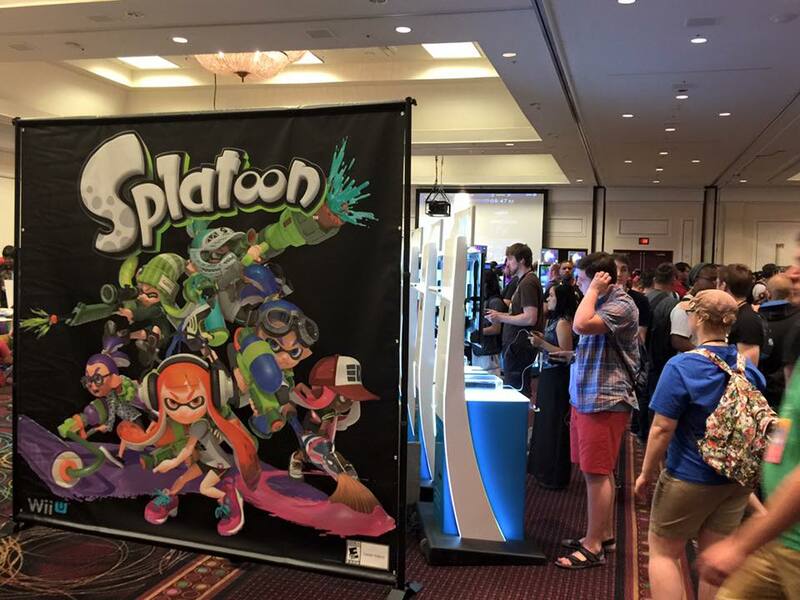 If you made it to the Nintendo lounge, there were lines to meet Charles Martinet, the Voice of Super Mario, Luigi, Wario and Waluigi! He would sign either a Mario 30th anniversary flier for you which he had on hand if you were lucky enough to get there before his signing line capped! 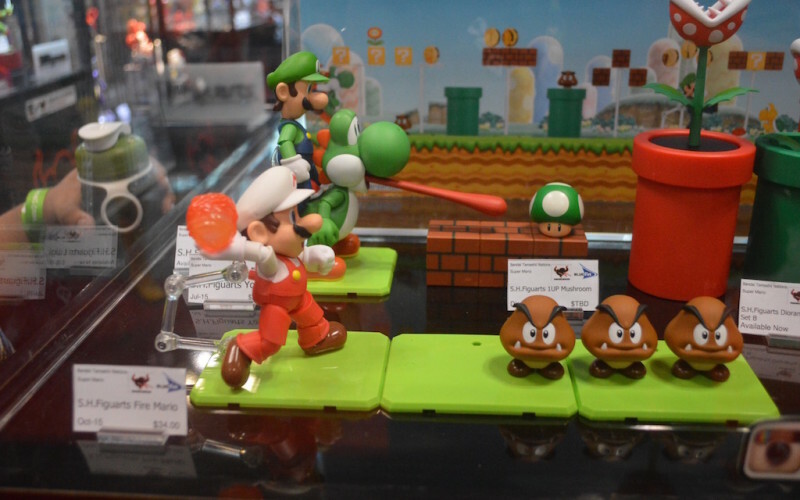 Bandai and Figurats at the Bluefin booth also had an exclusive 1up figure that was only available prior with the Yoshi Figurarts first release bonus as well as the first giveaway that was Japan exclusive. 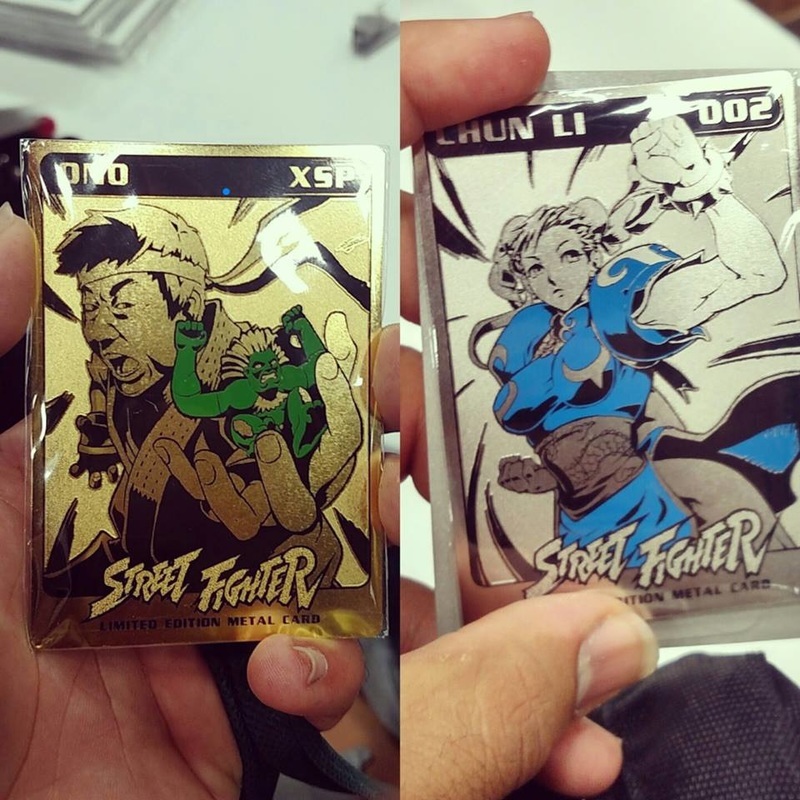 Udon Entertainment also had Promo giveaway Metal Street Fighter Cards from their autograph signing in a 50-50 pick draw to either get Ono with Blanka or one of Four Street Fighter characters includint Chun-Li, Ryu, Dhalsim, or E. Honda! 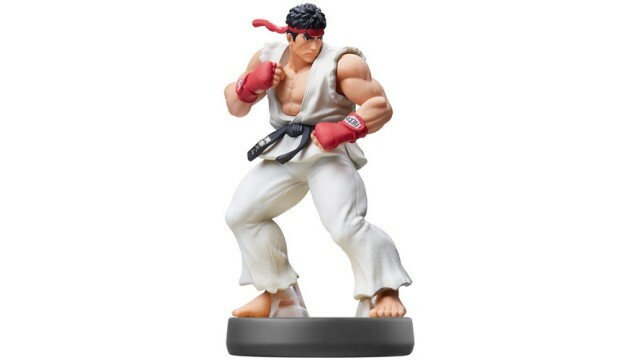 You could even get an Evil Ryu one for buying the Capcom Fighting Tribute book! 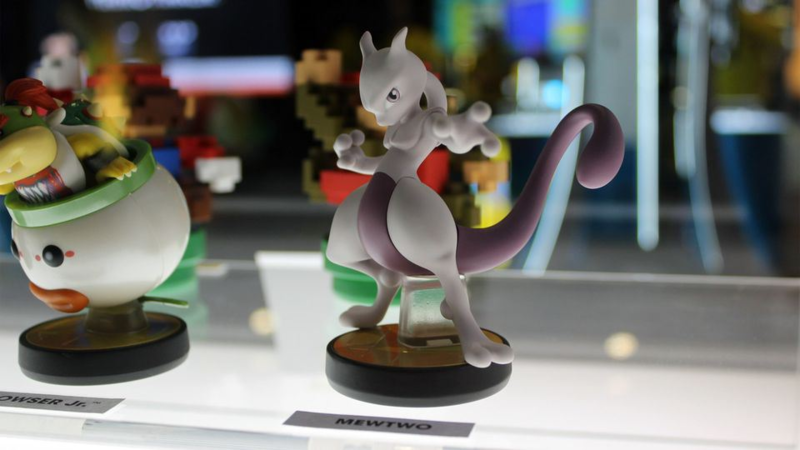 This past weekend at San Diego Comicon 2015, Nintendo showed off their impressive line of upcoming Amiibo for release in the USA as well as introducing the general public to Mewtwo's prototype Amiibo Figure! 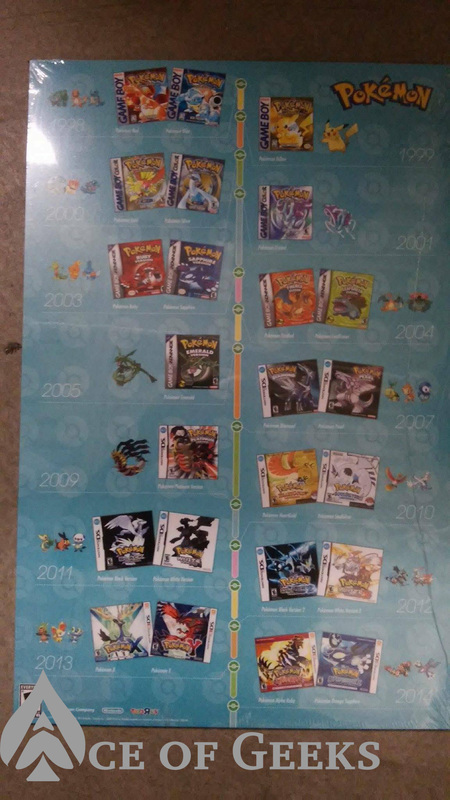 Which ones are you most excited to get? Discuss in the Forums!